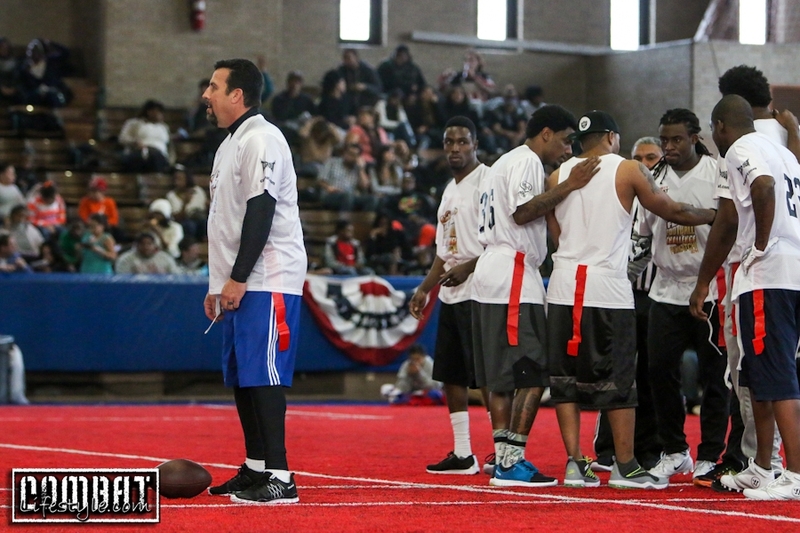 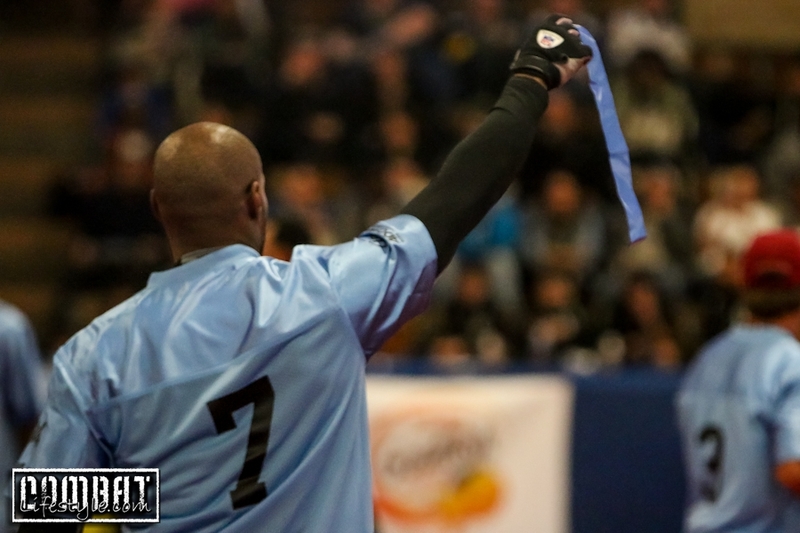 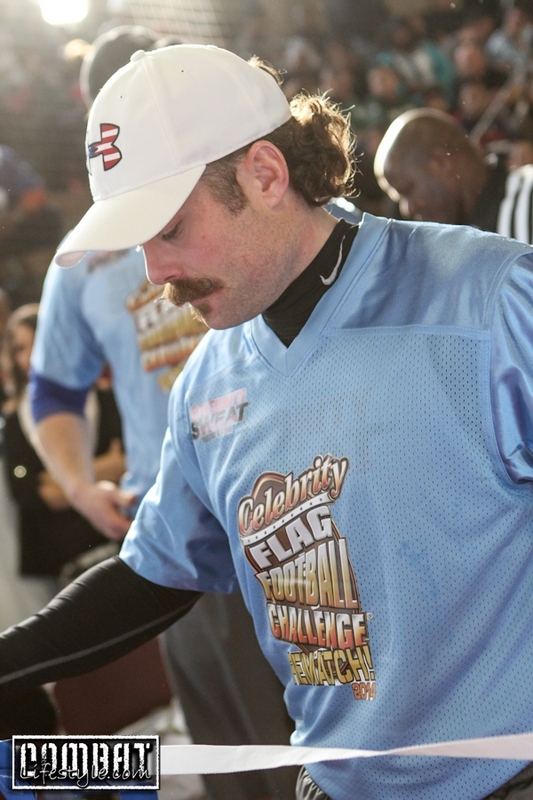 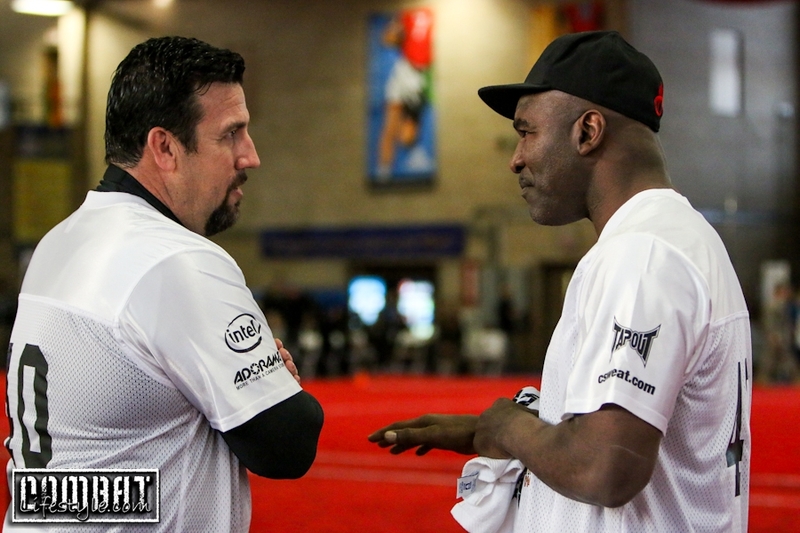 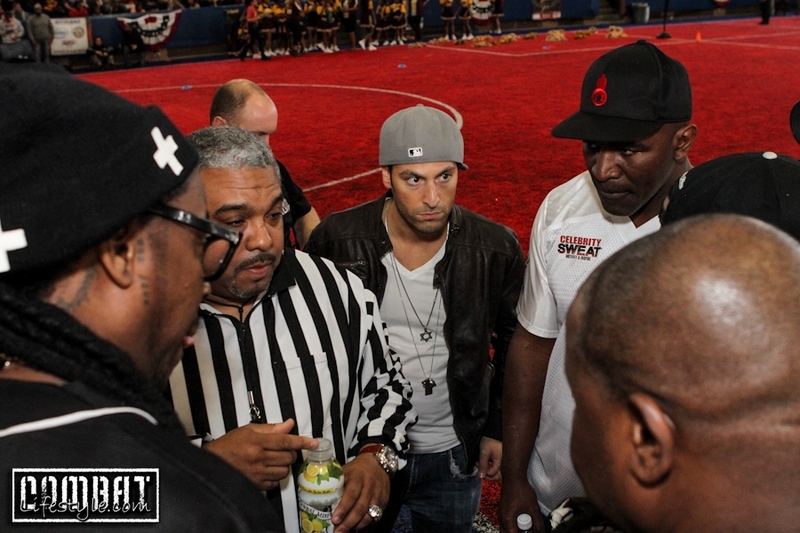 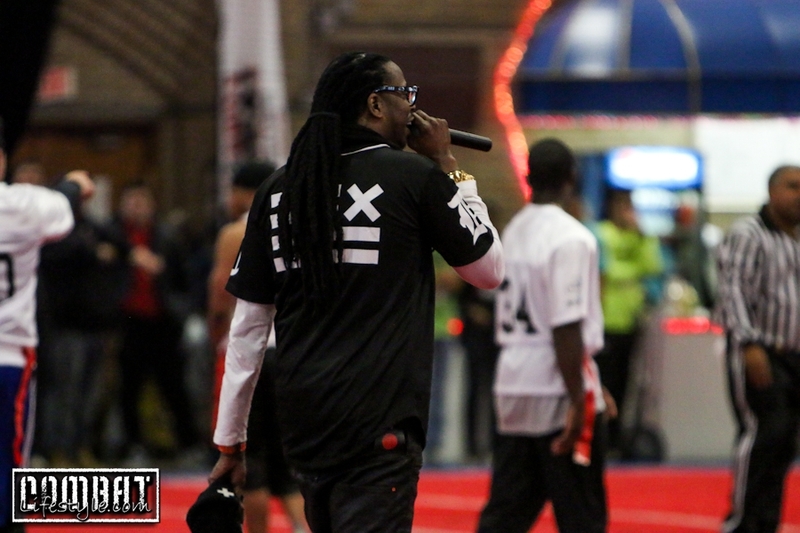 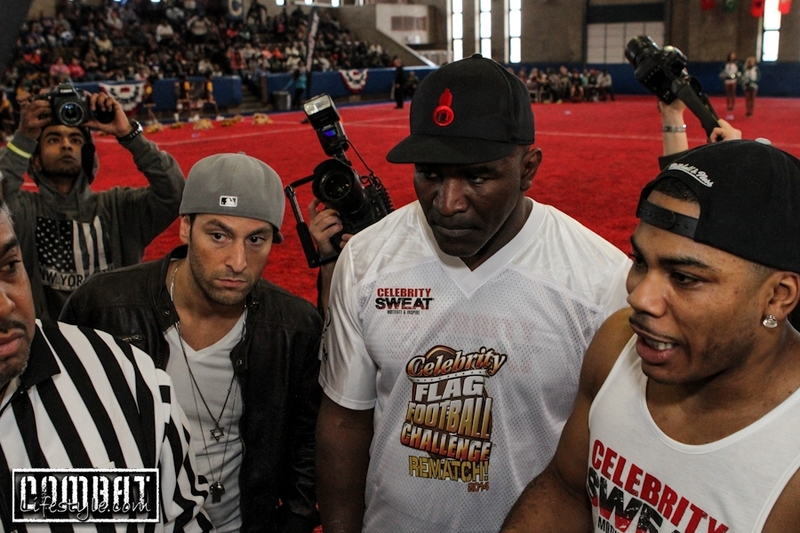 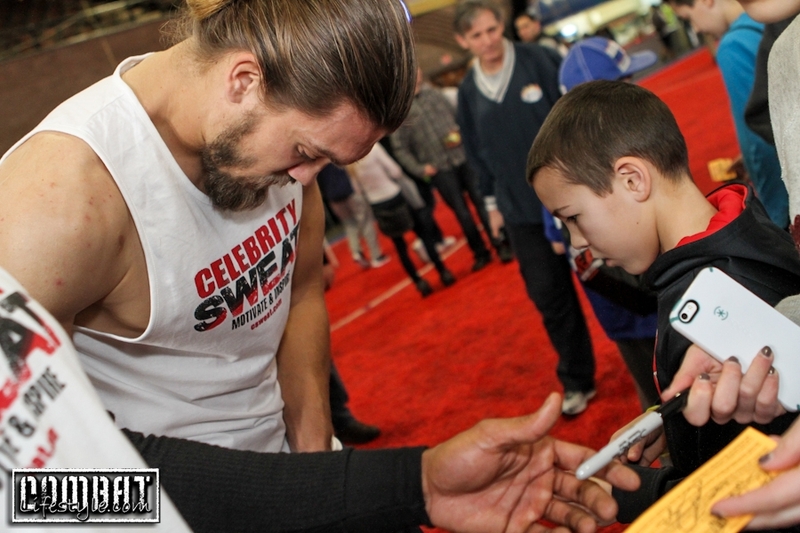 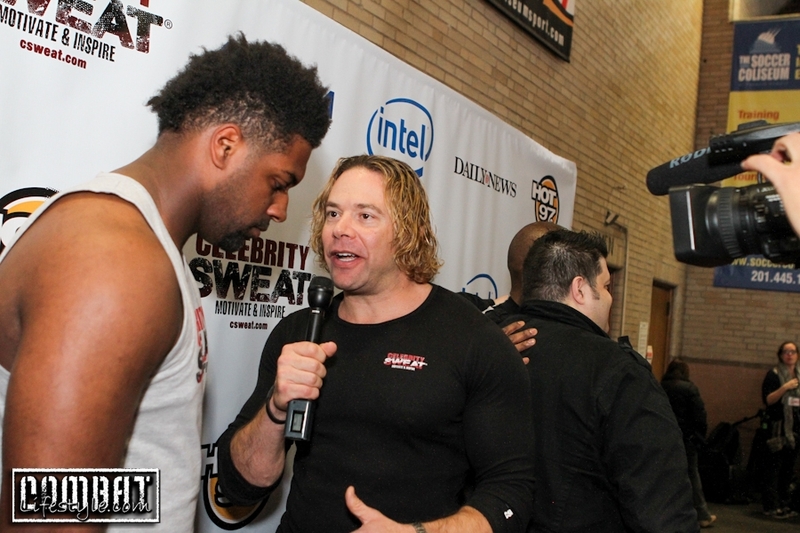 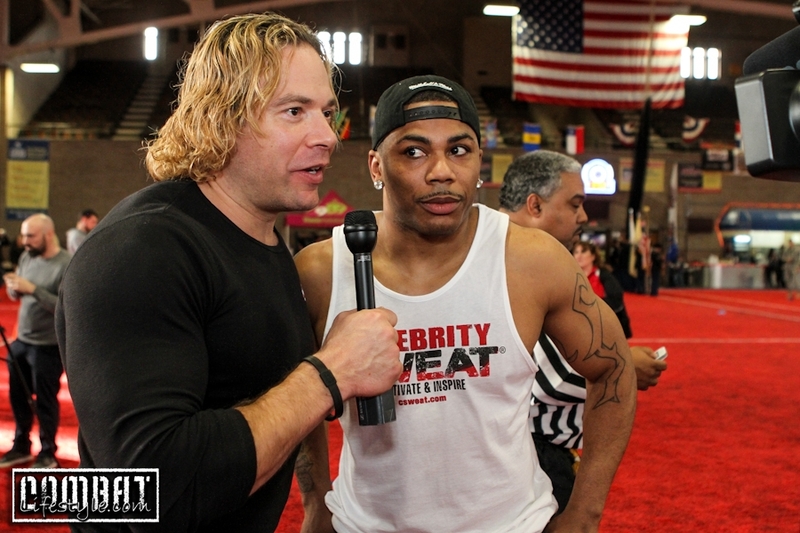 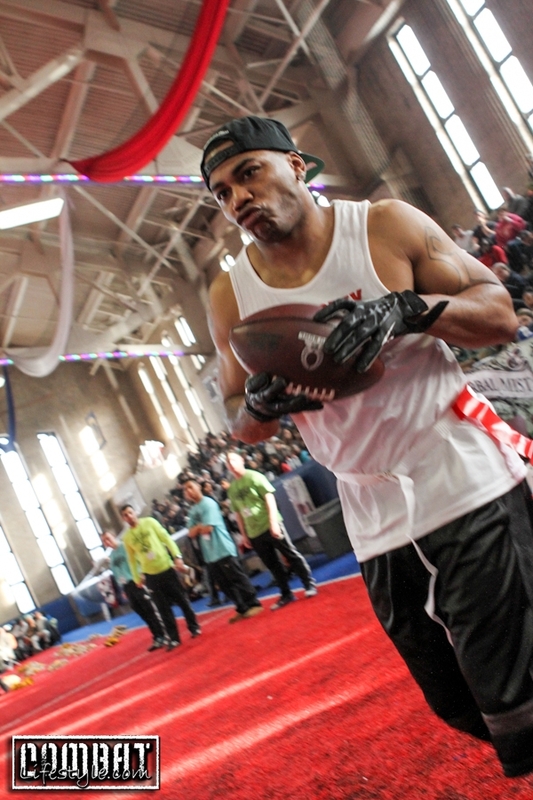 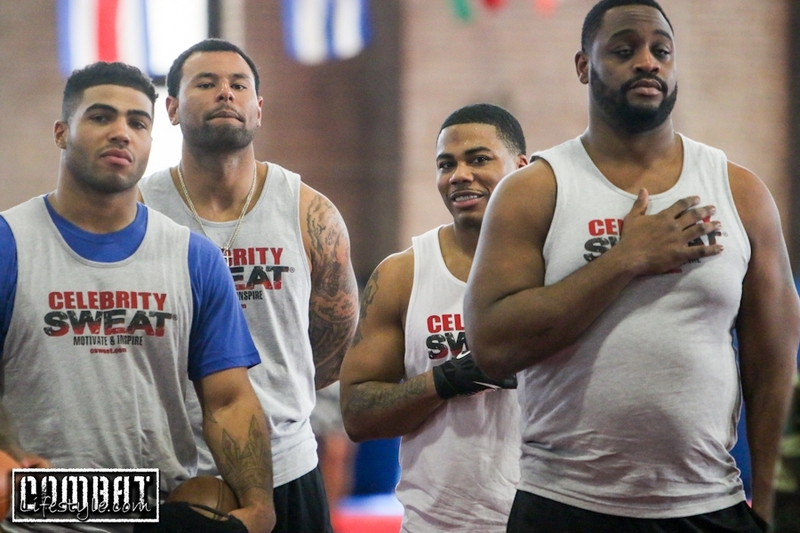 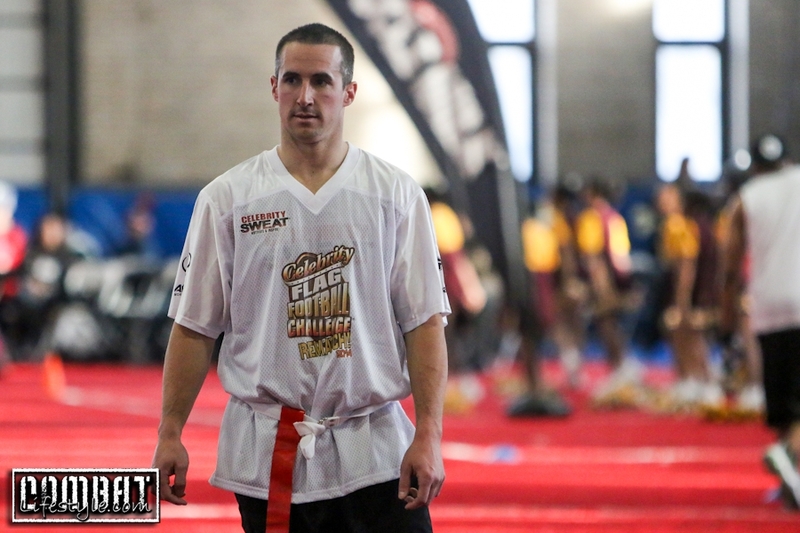 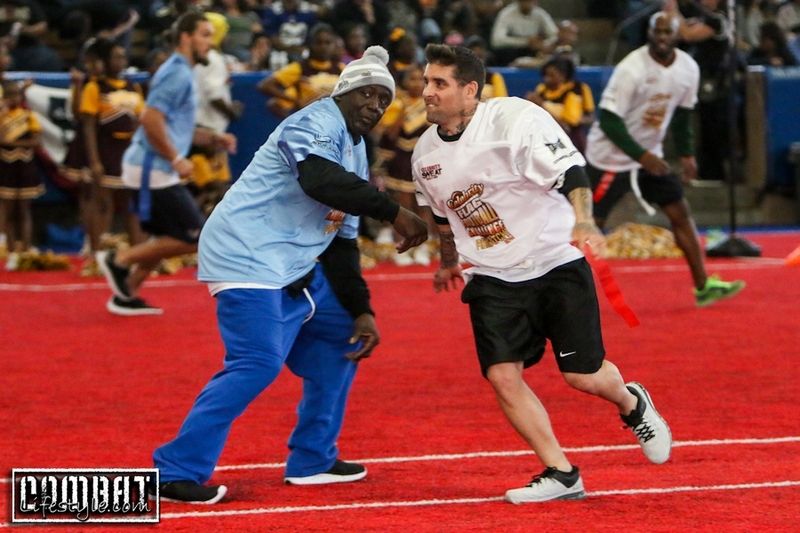 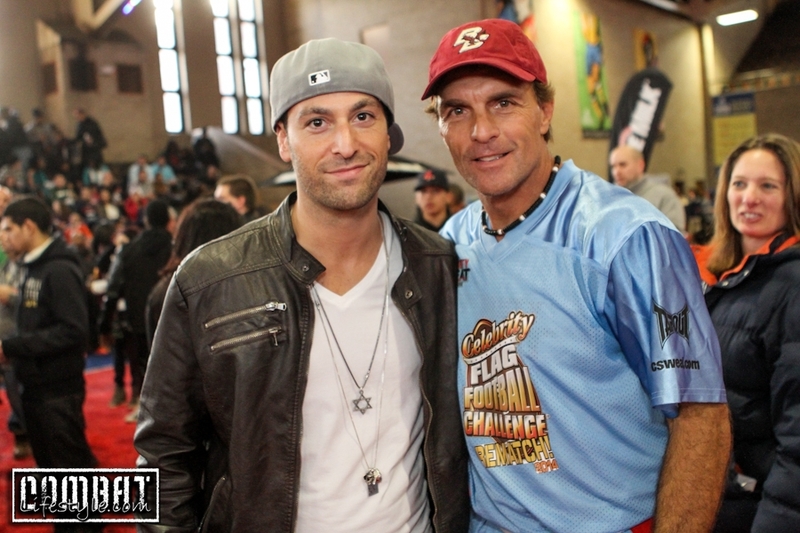 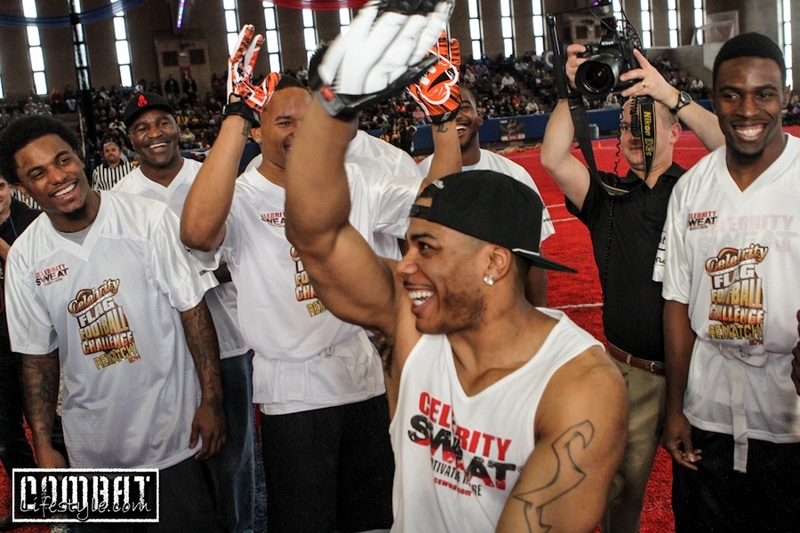 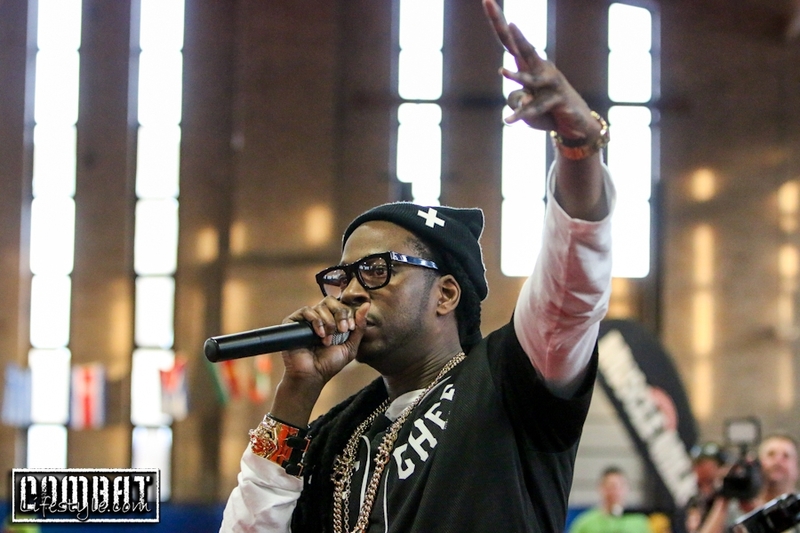 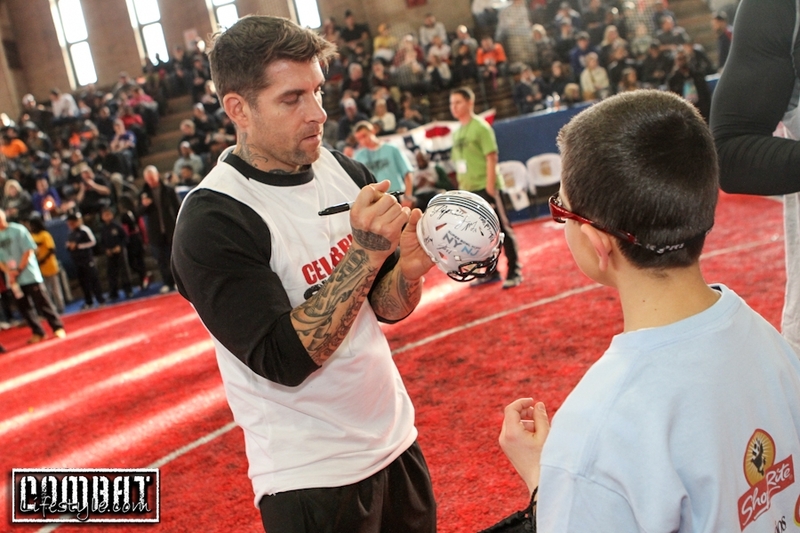 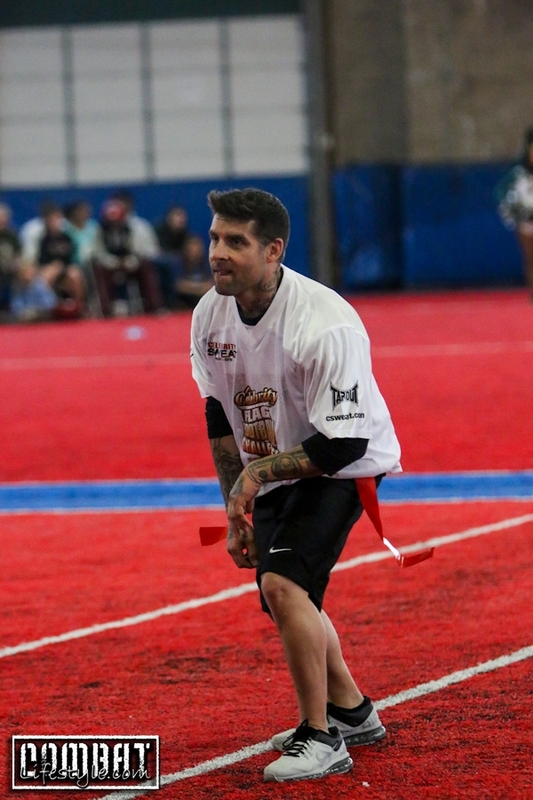 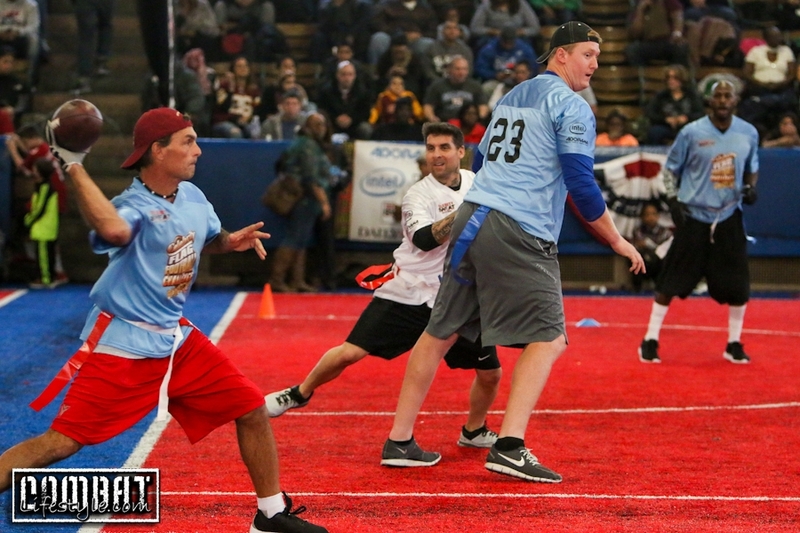 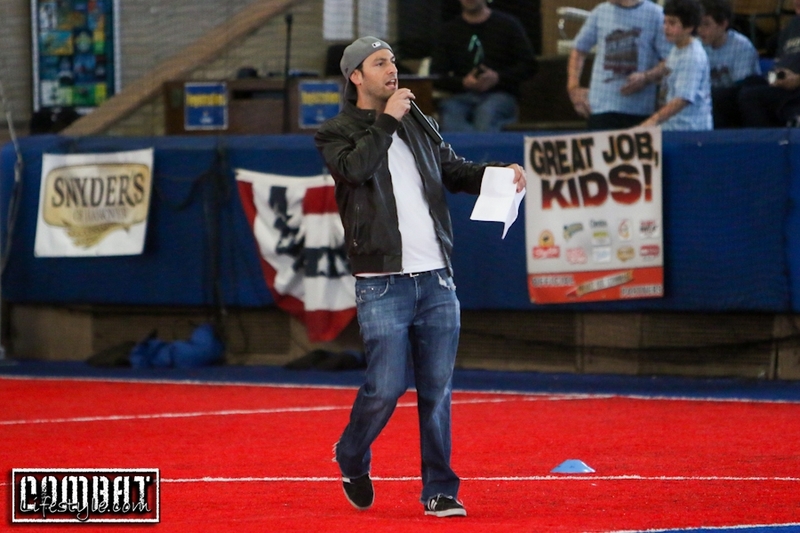 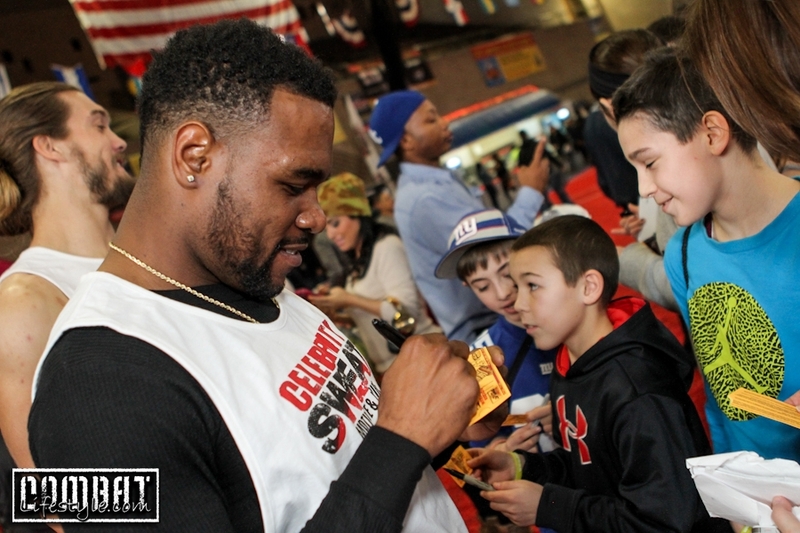 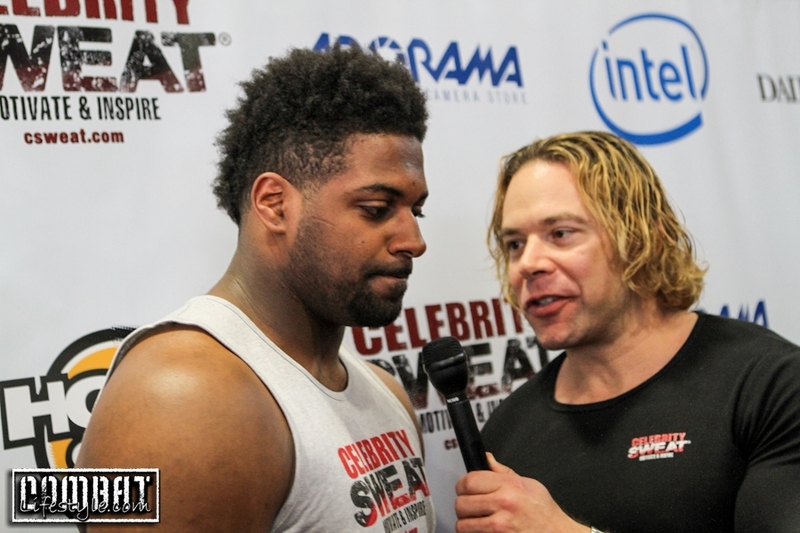 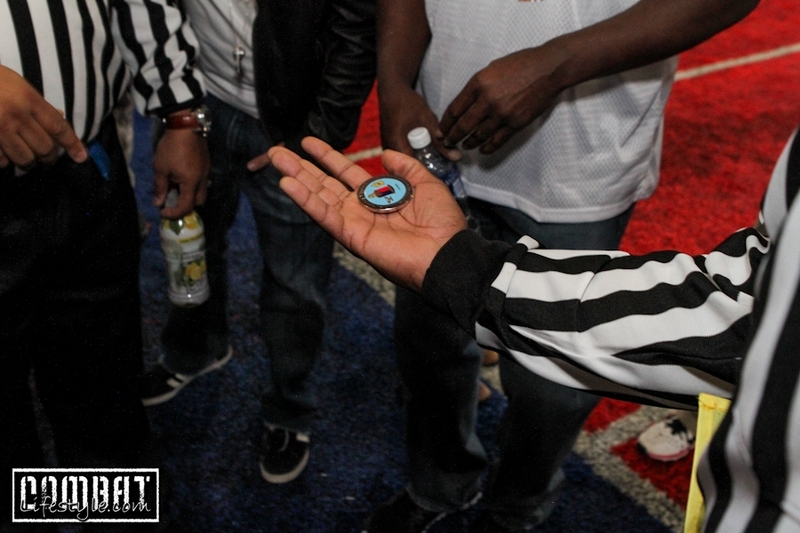 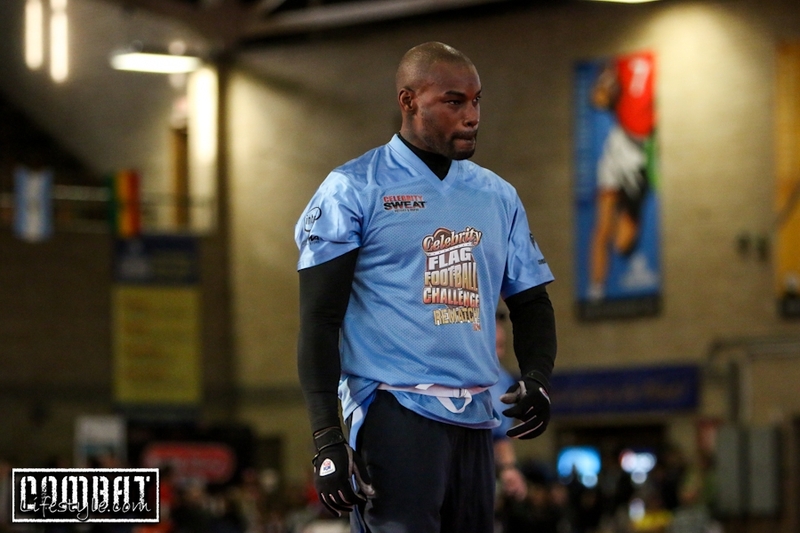 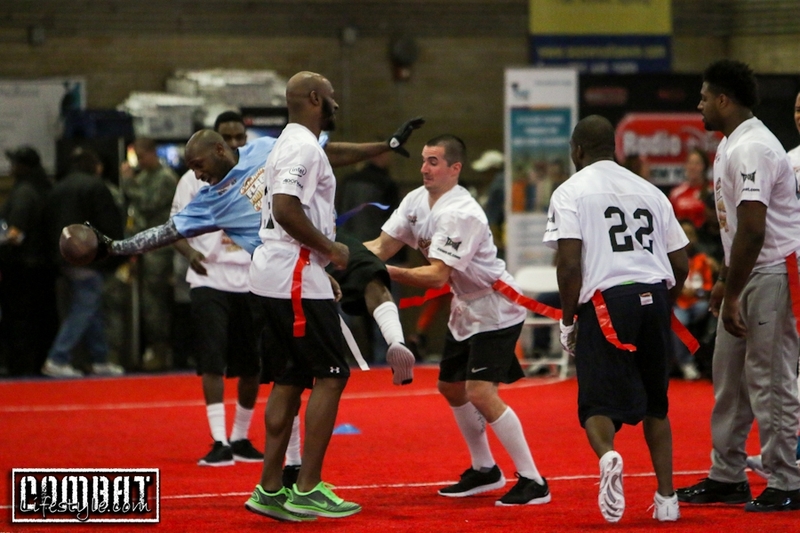 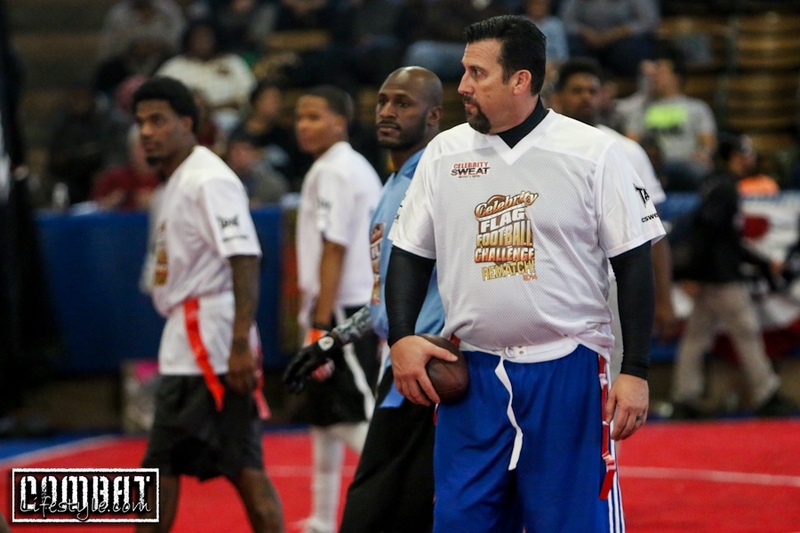 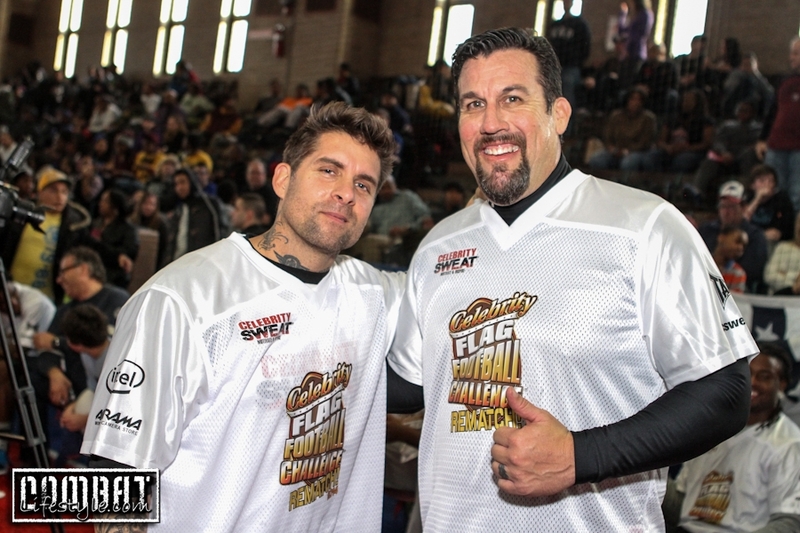 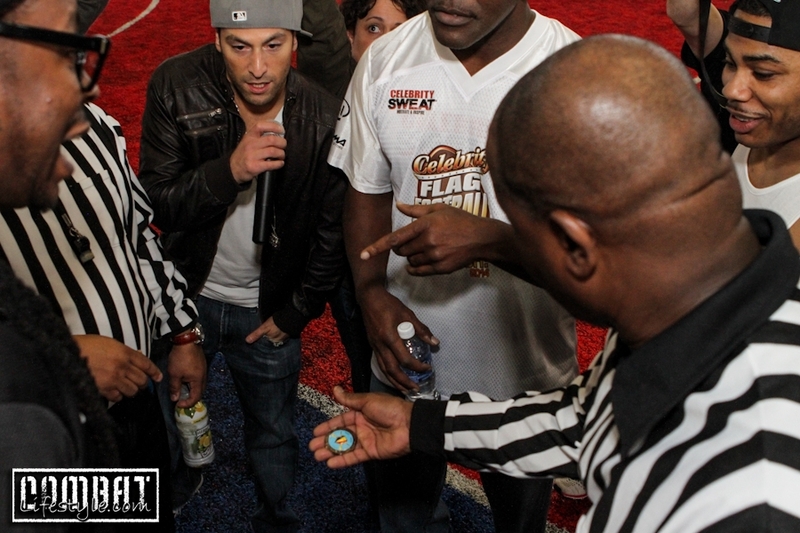 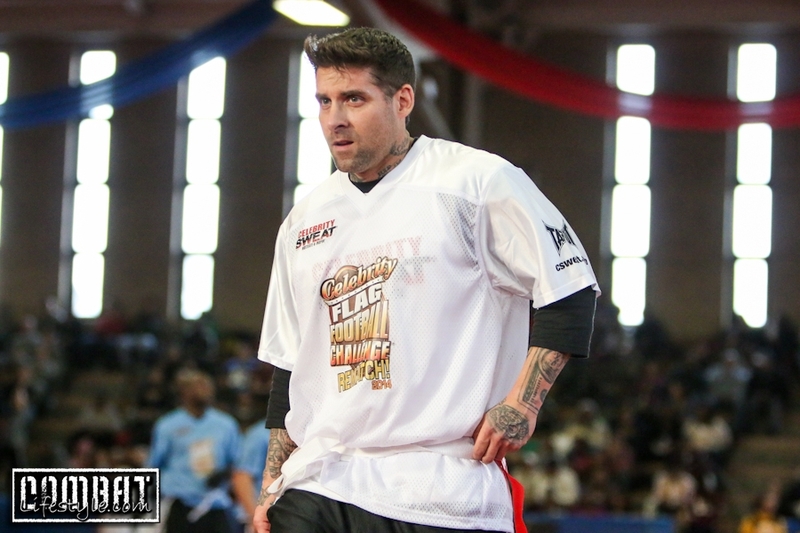 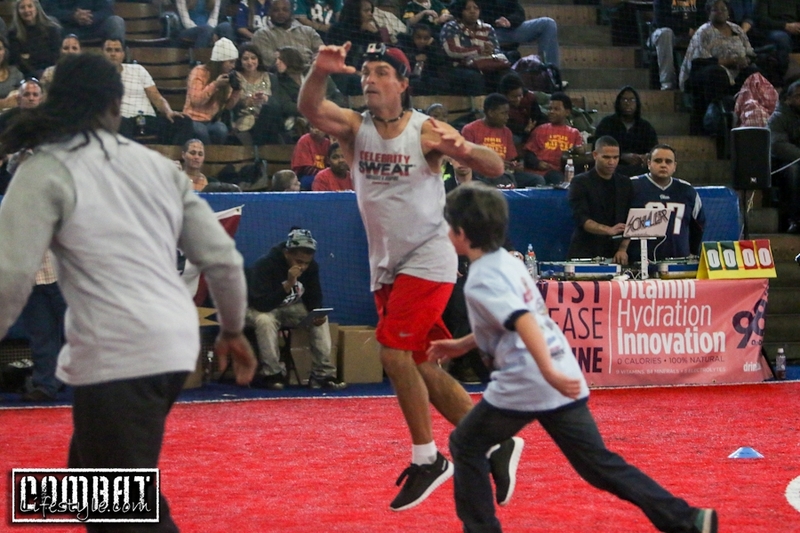 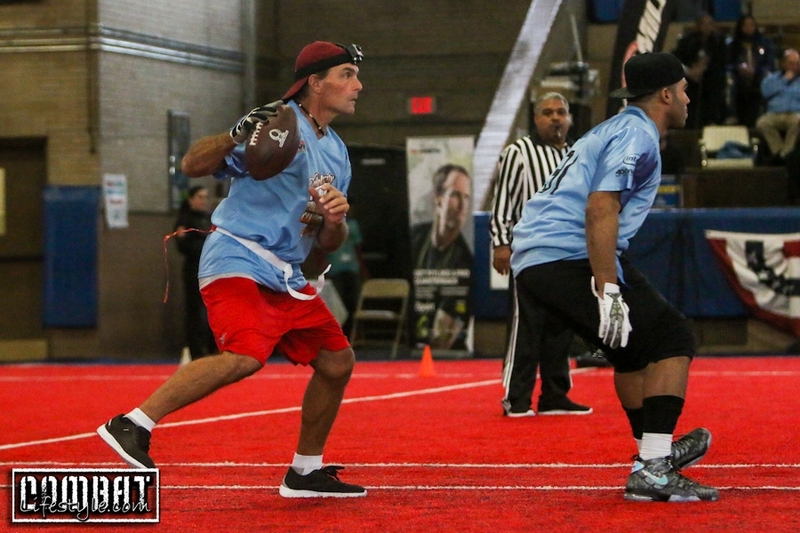 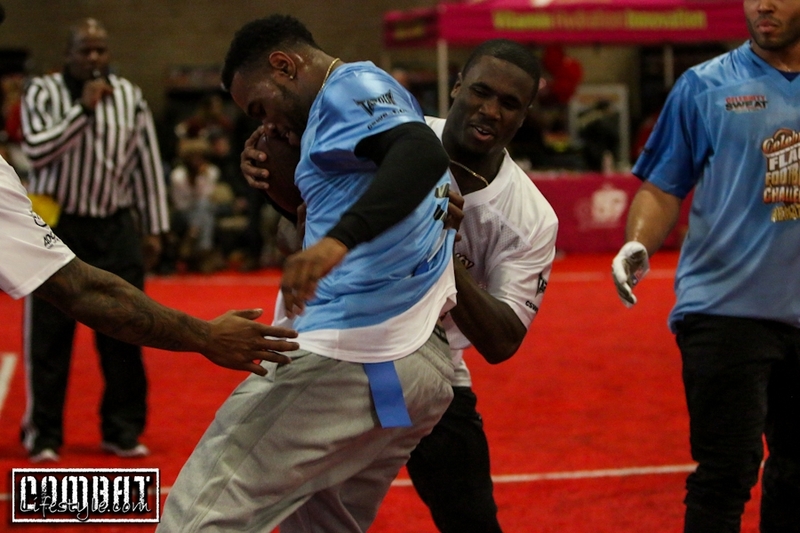 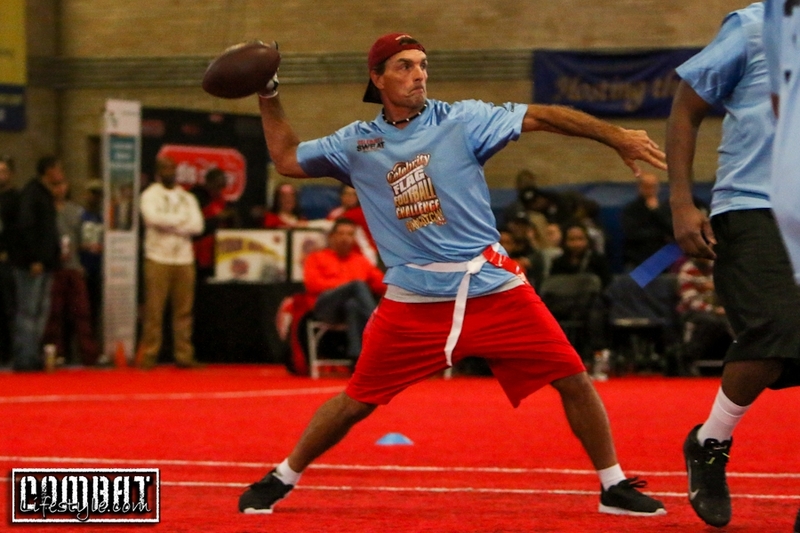 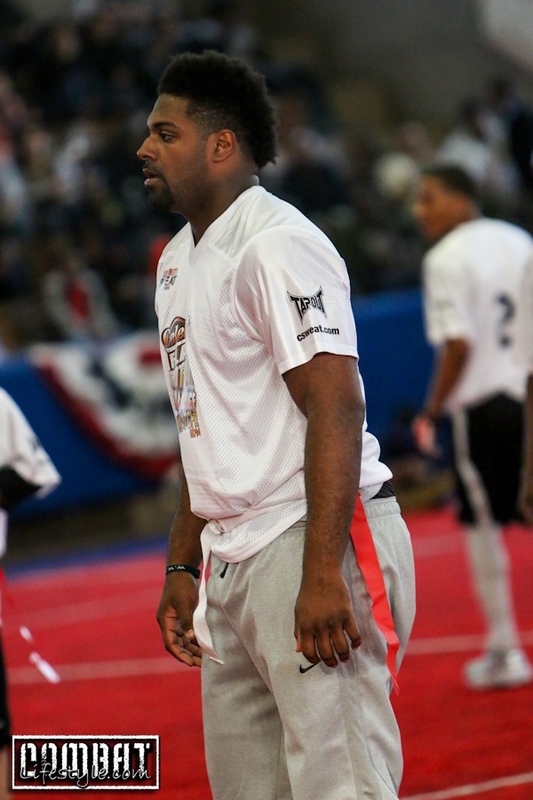 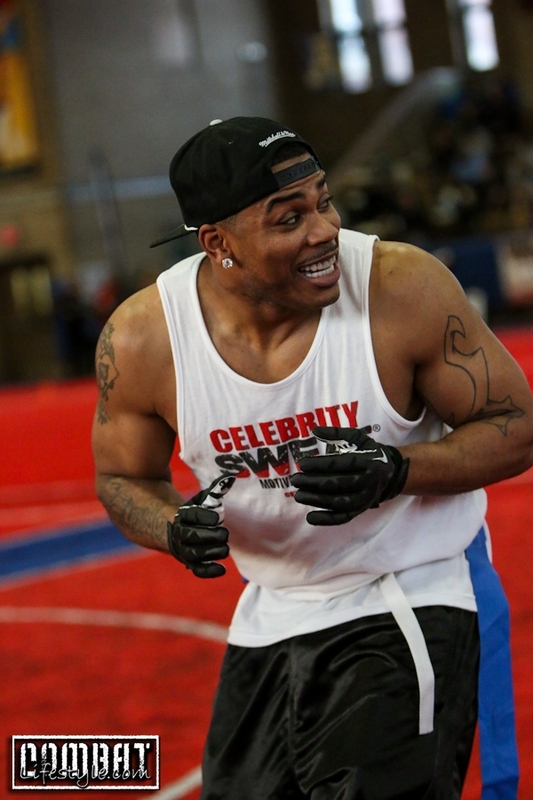 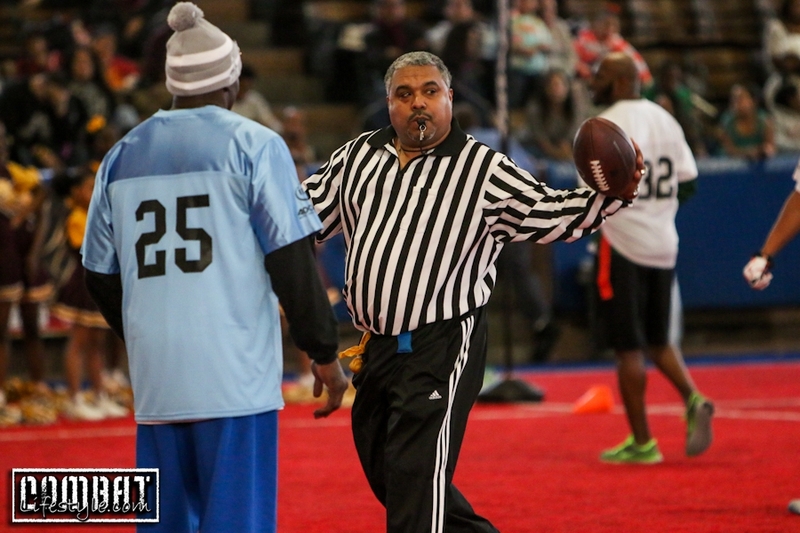 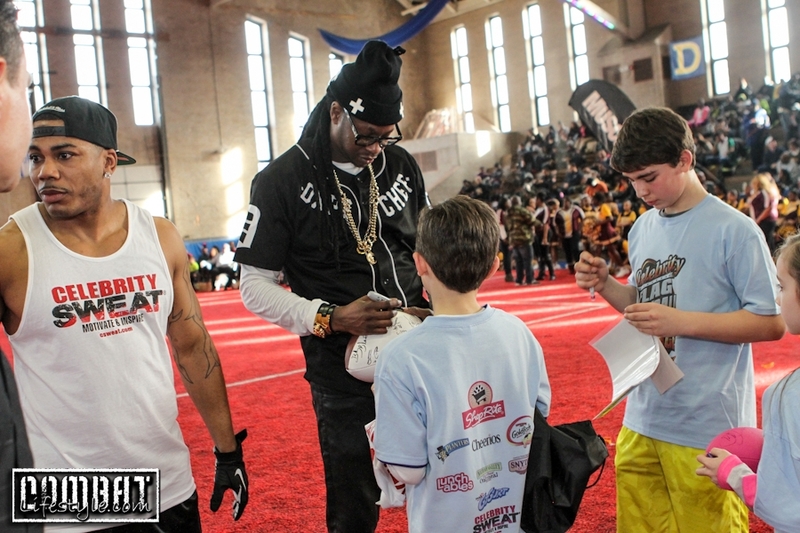 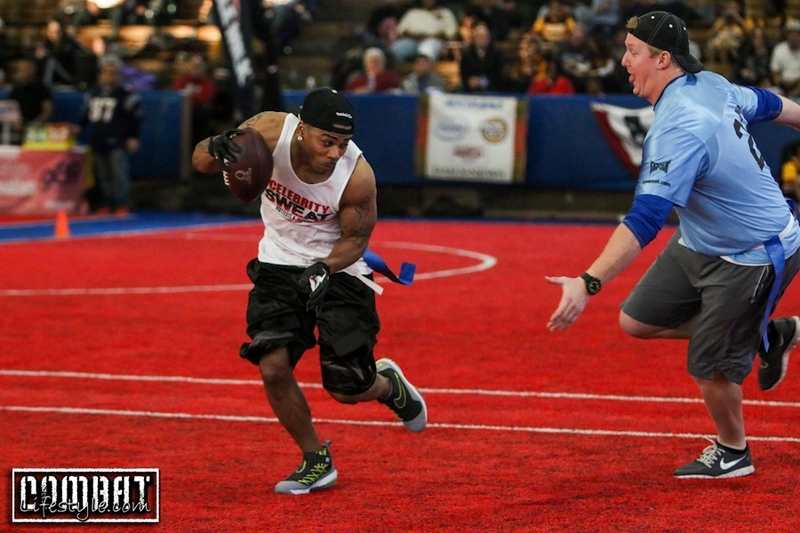 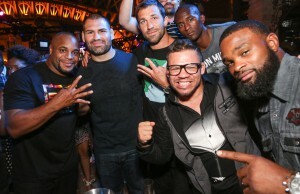 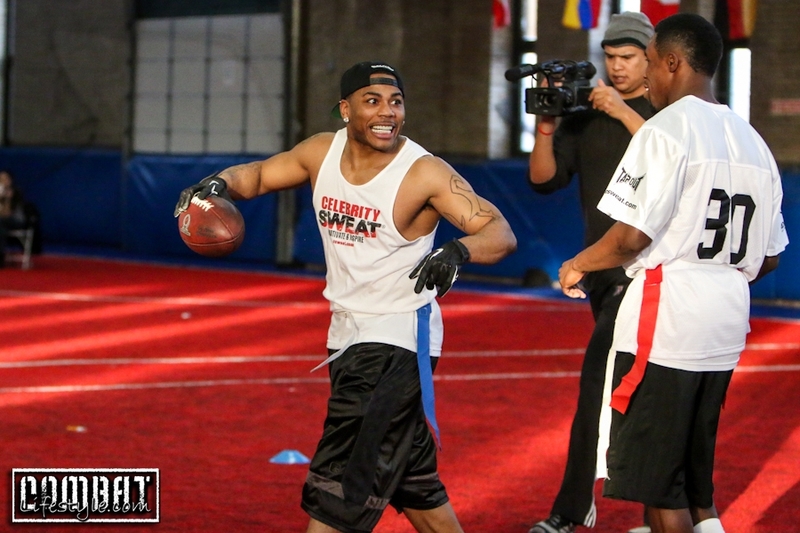 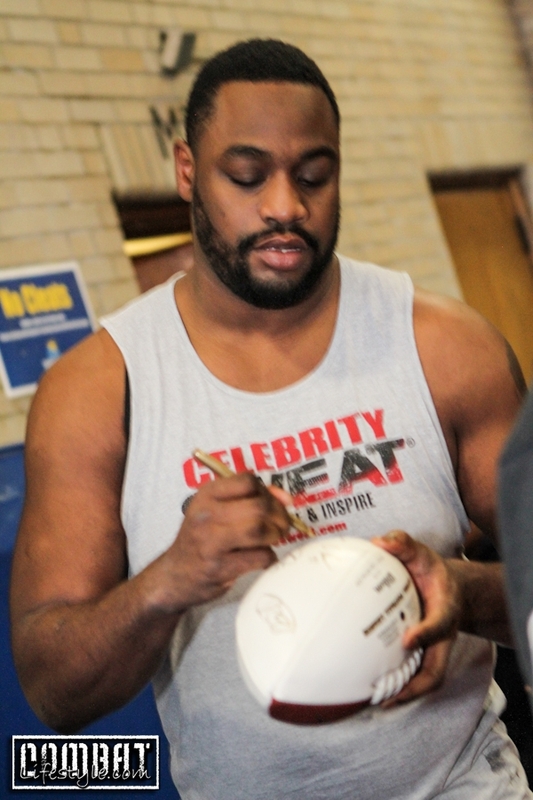 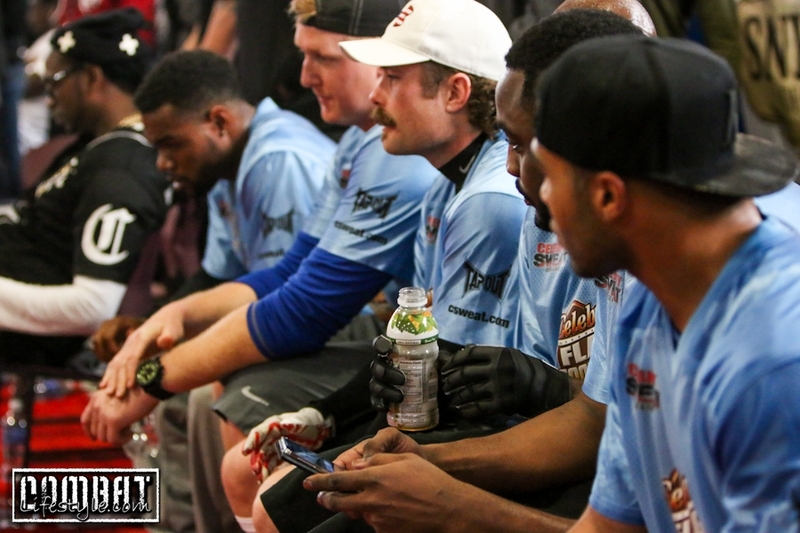 Superbowl Celebrity Football with 2 Chainz and Evander Holyfield, Nelly, Doug Flutie, our very own Punkass of Tapout & Big John McCarthy, and so many more!! 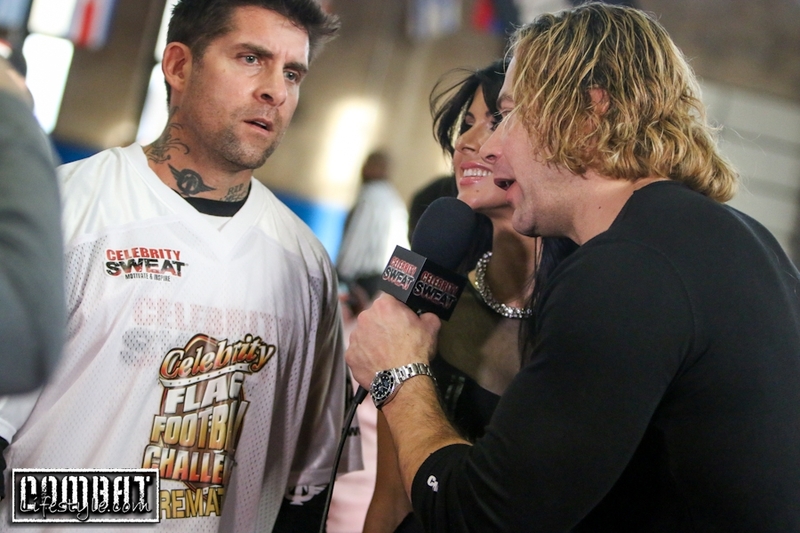 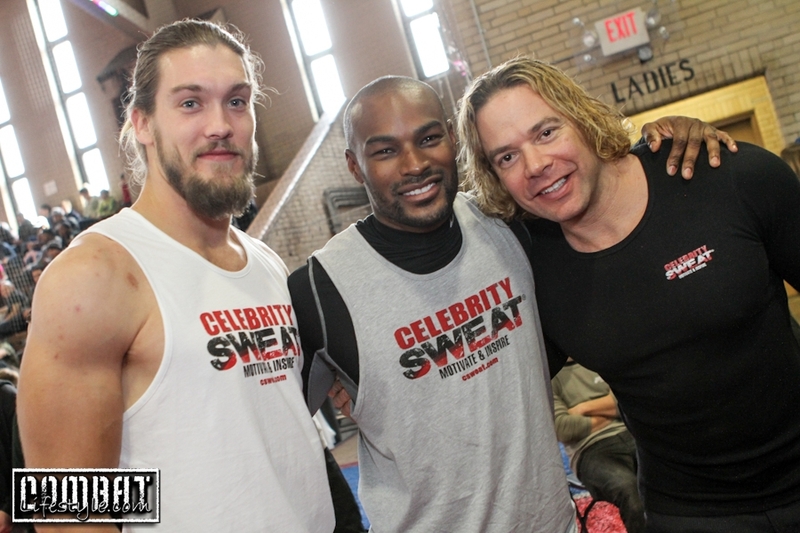 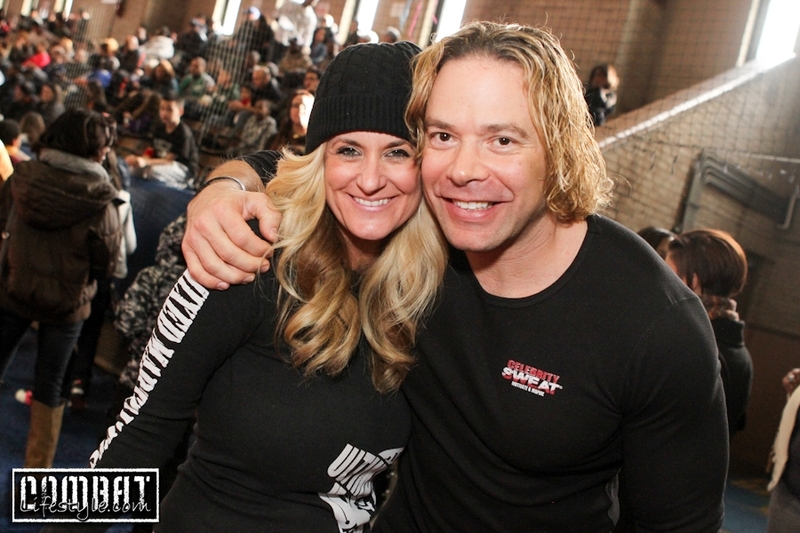 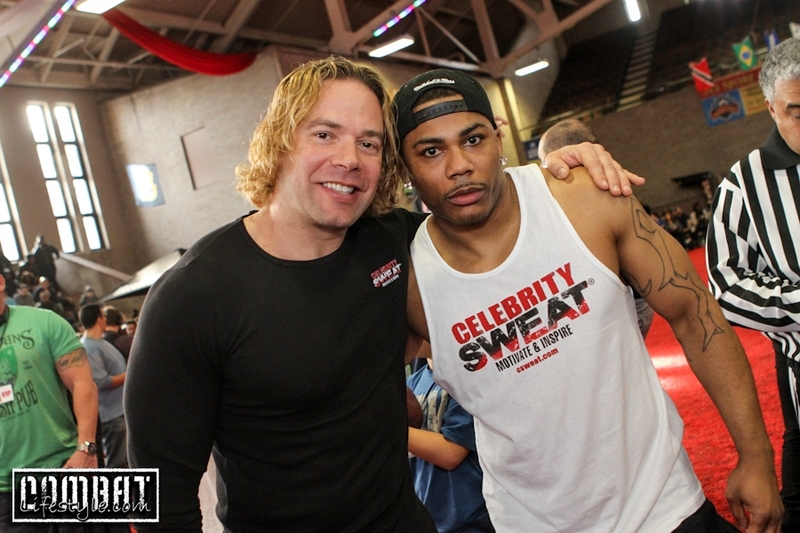 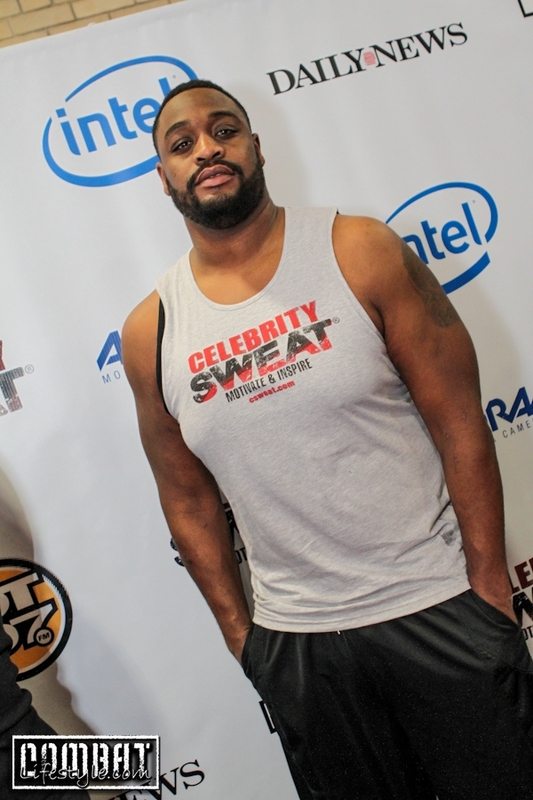 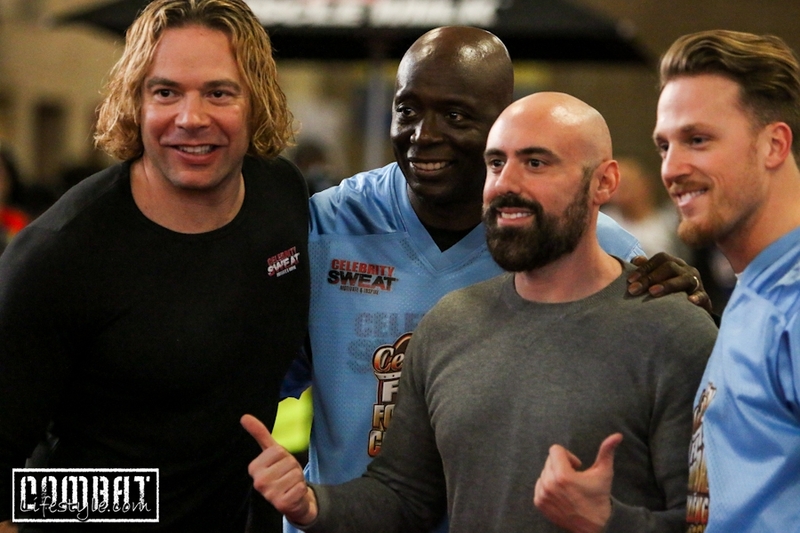 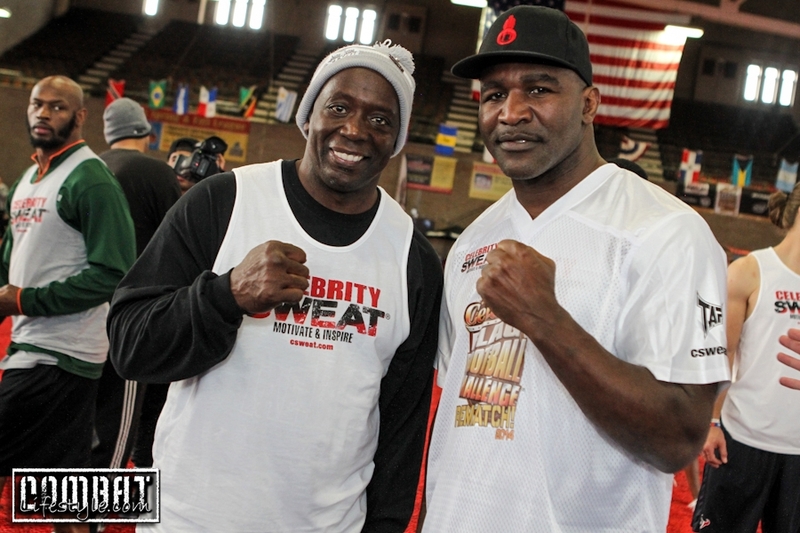 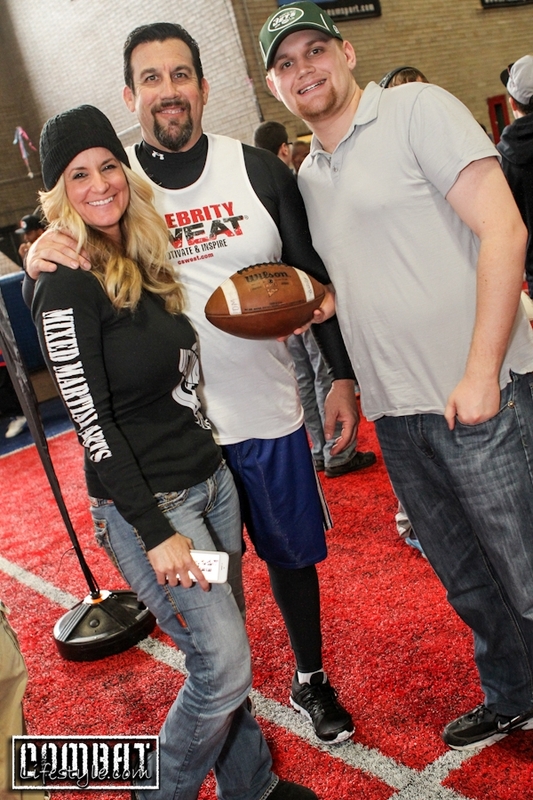 Saturday, before heading to the UFC Fights we joined Punkass to go to the Celebrity Sweat charity event on Superbowl Weekend. 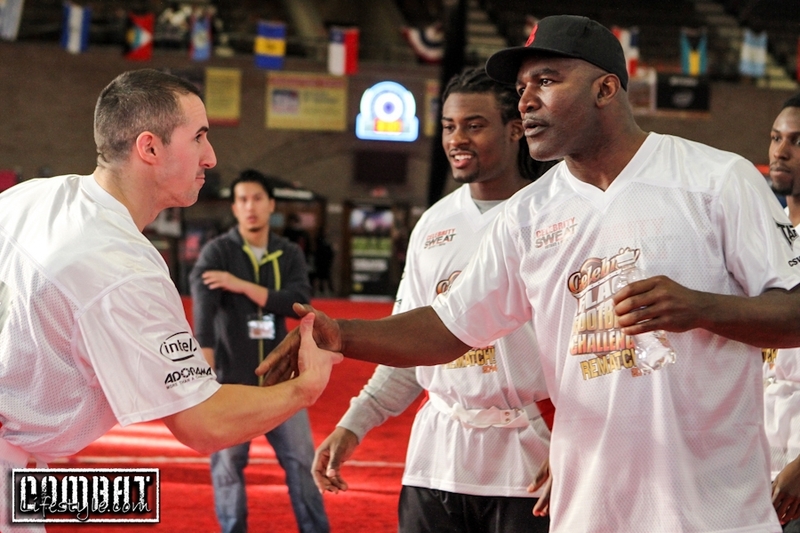 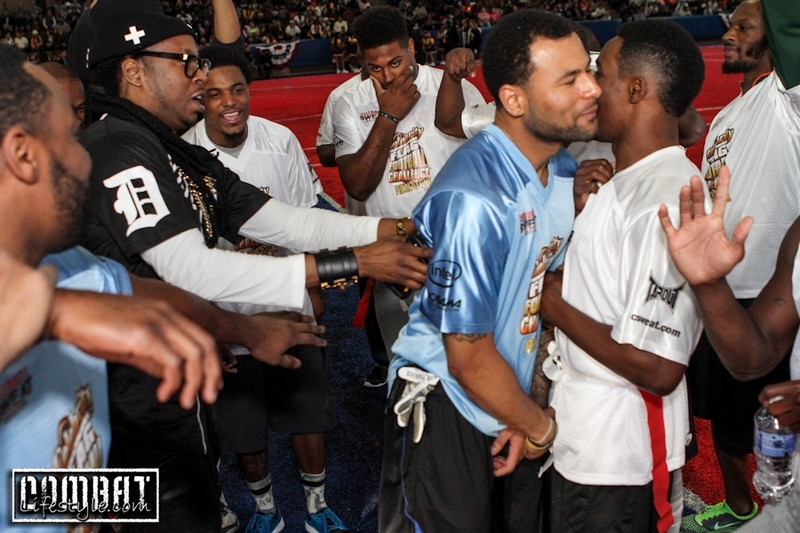 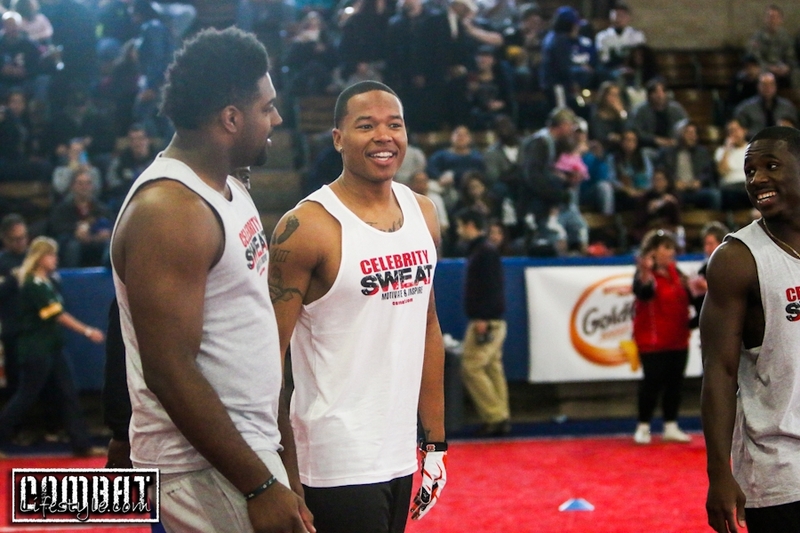 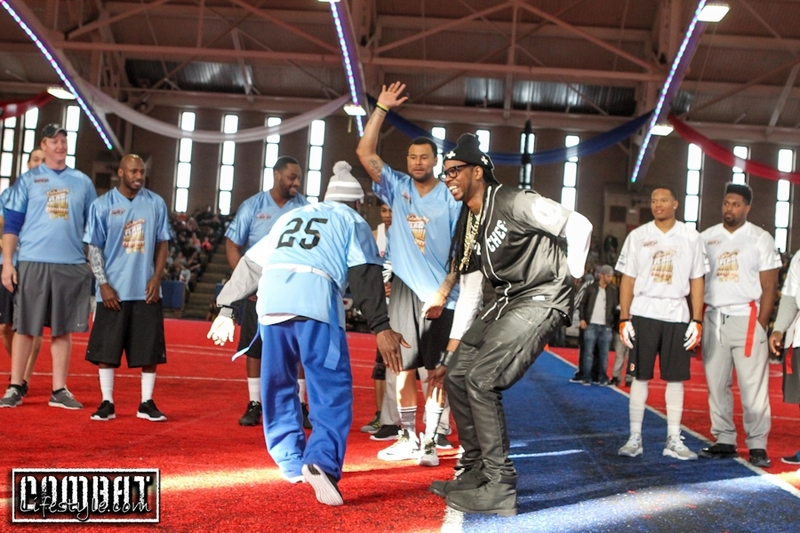 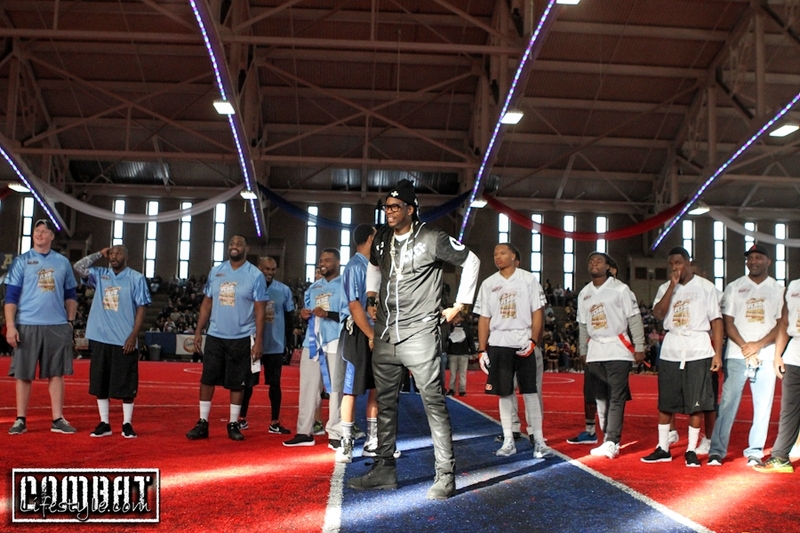 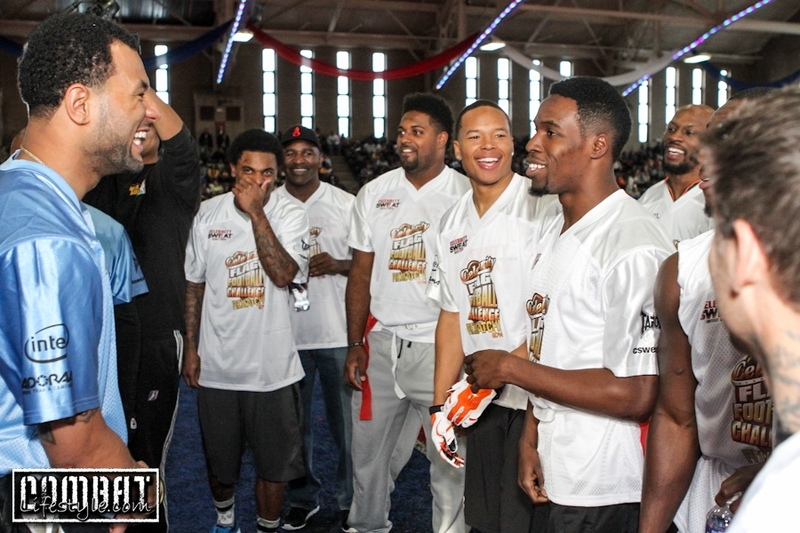 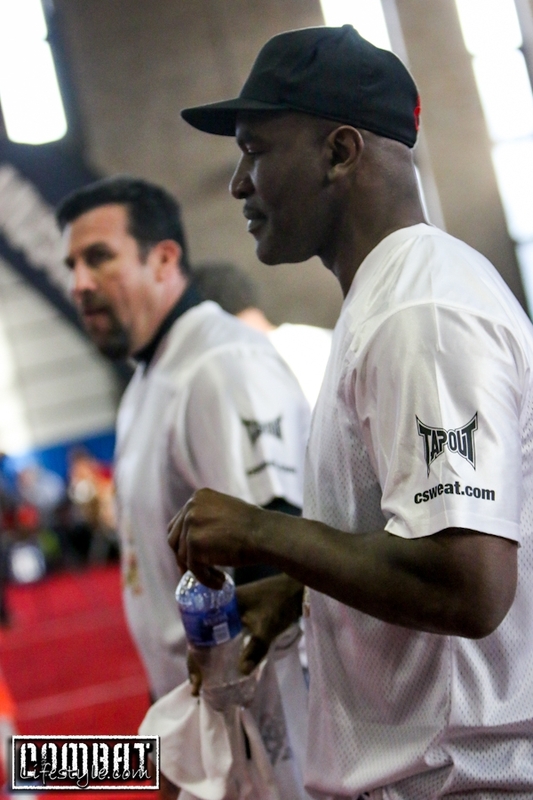 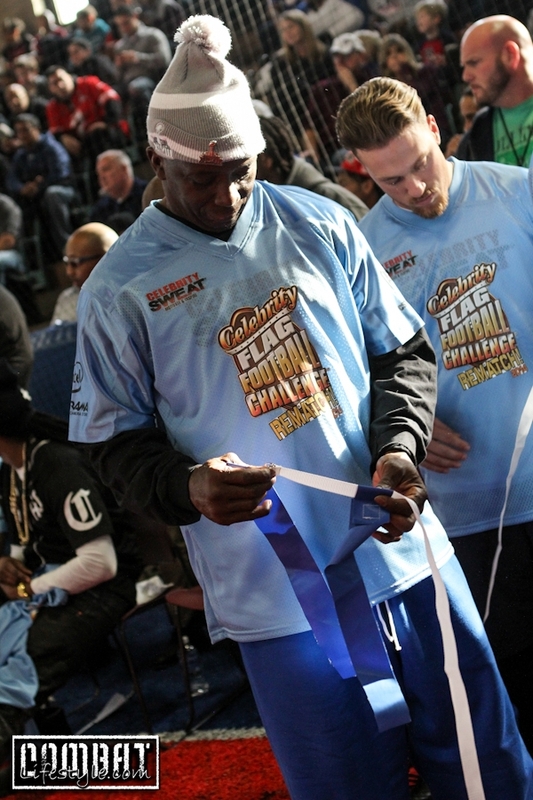 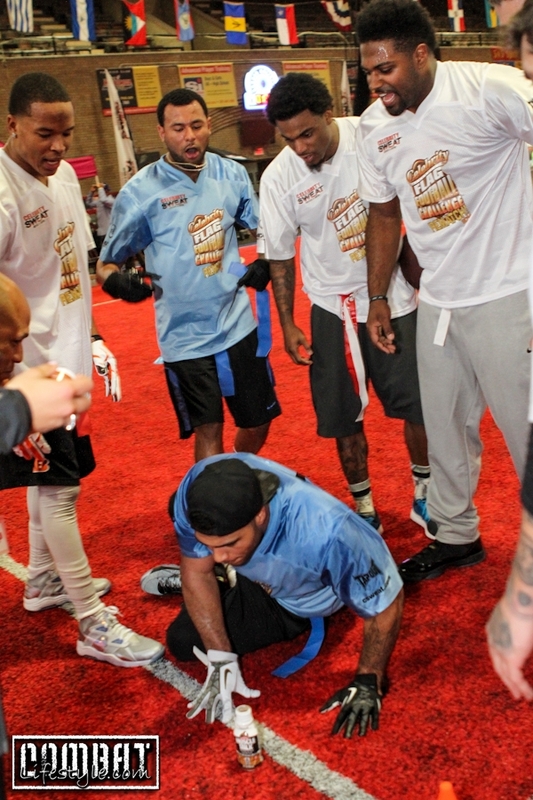 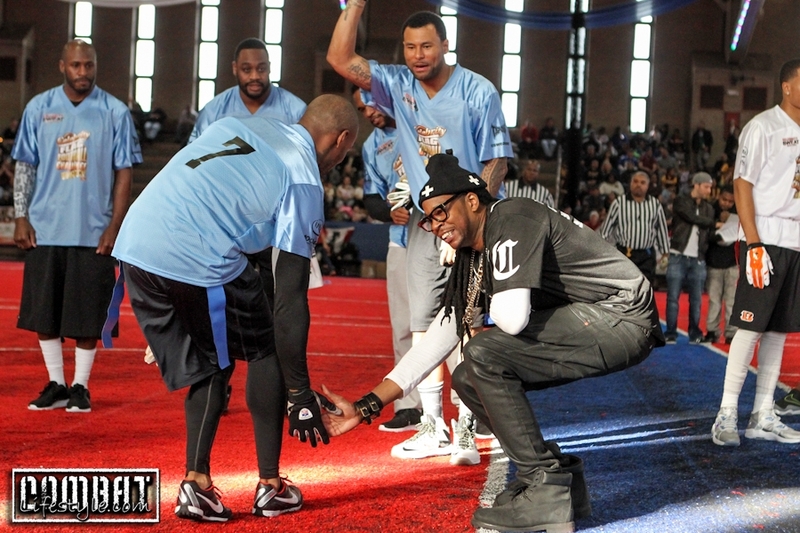 Tons of NFL players and various other celebrities joined coaches 2 Chainz and Evander Holyfield on the field. 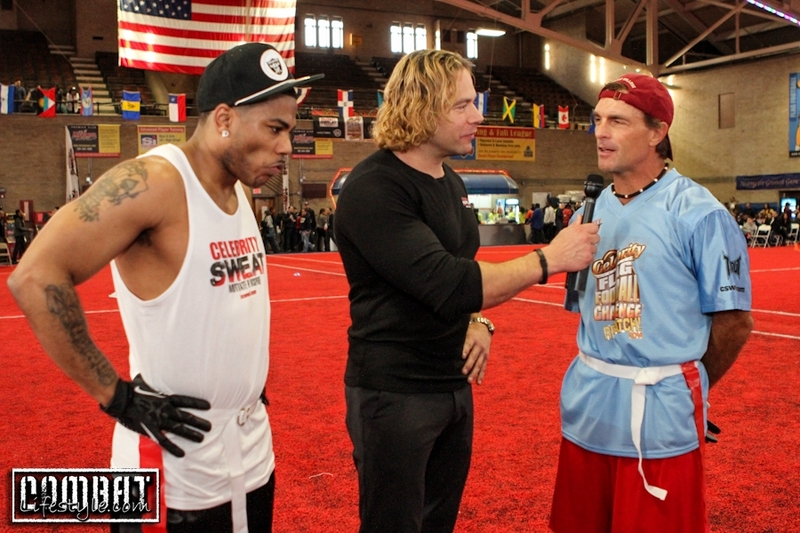 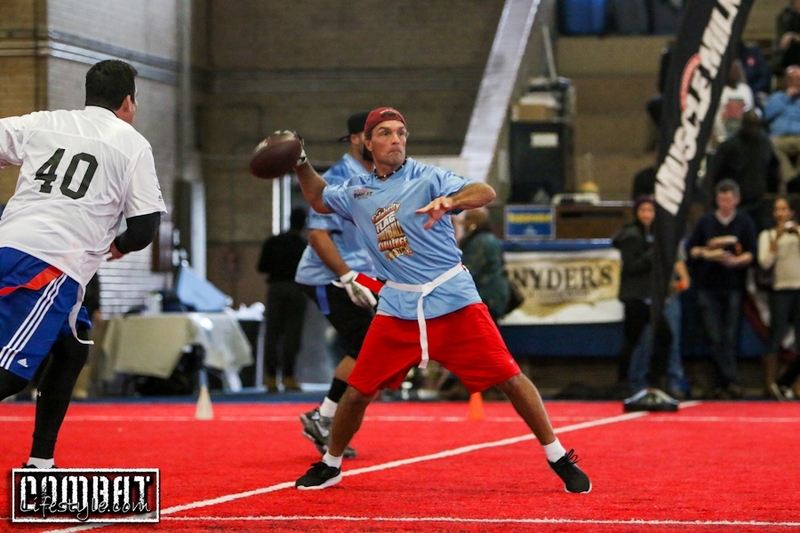 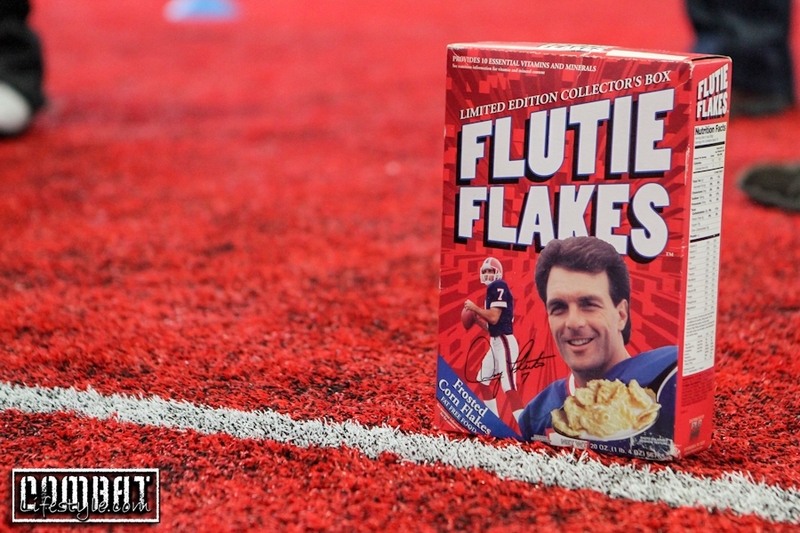 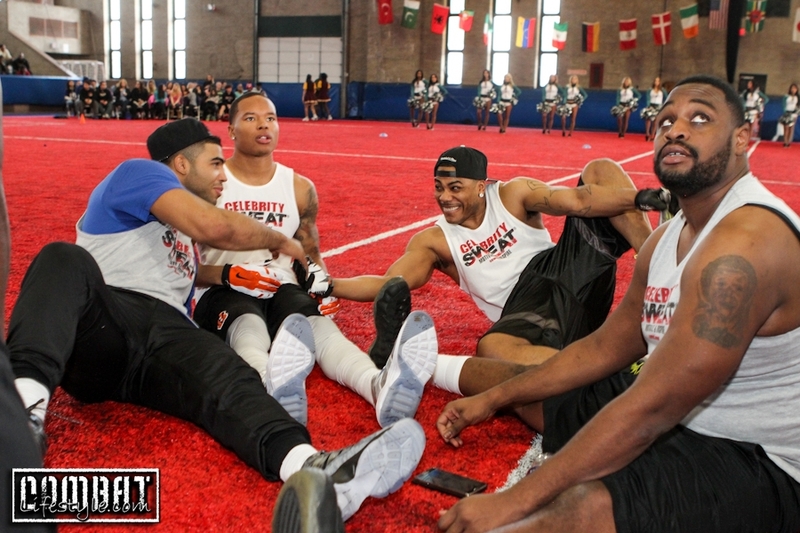 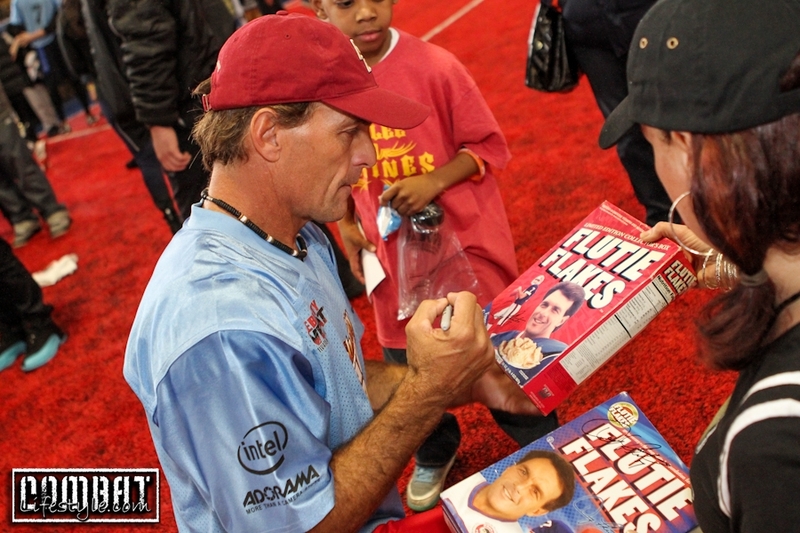 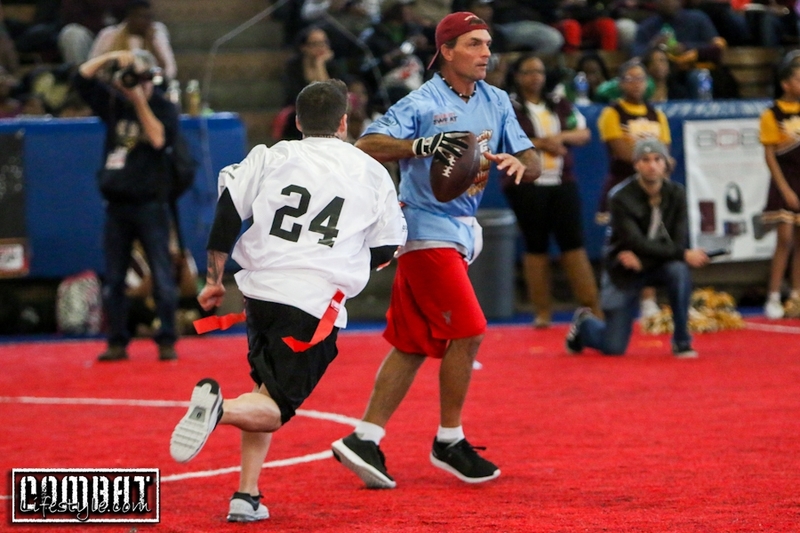 The team quarterbacks were Nelly (yup of “take off all your clothes” fame and more) and Doug Flutie (Heisman Trophy winner & decorated football star). 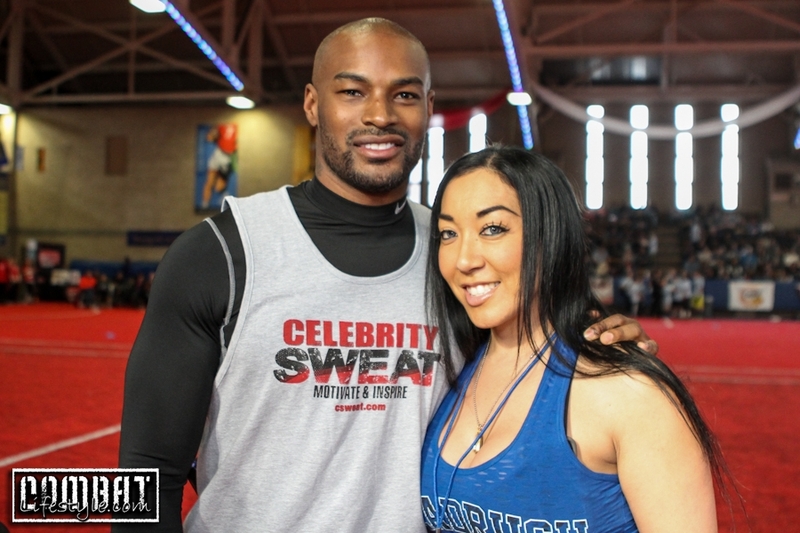 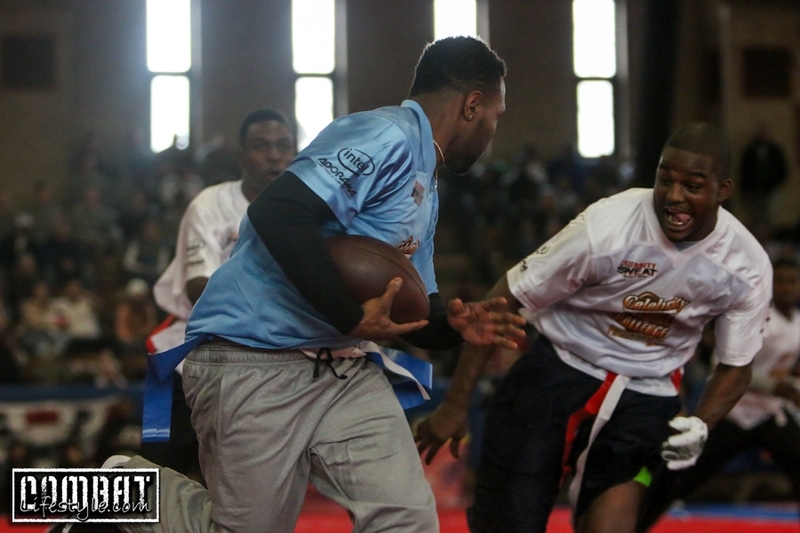 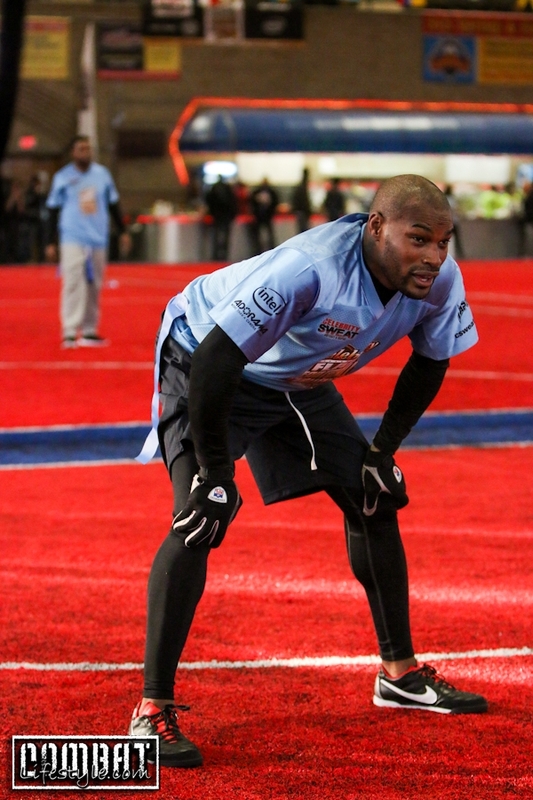 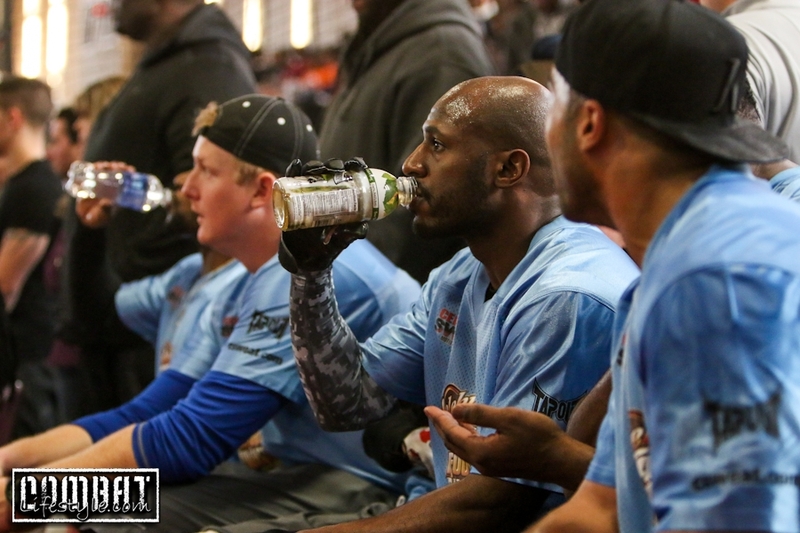 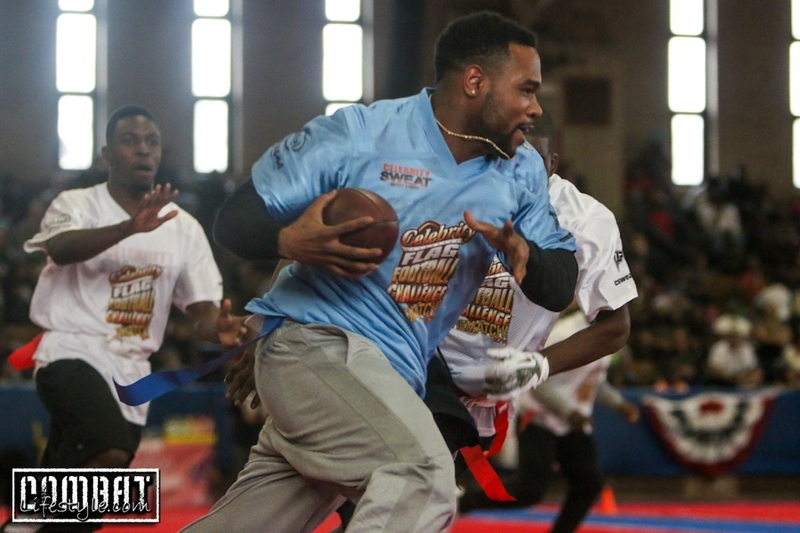 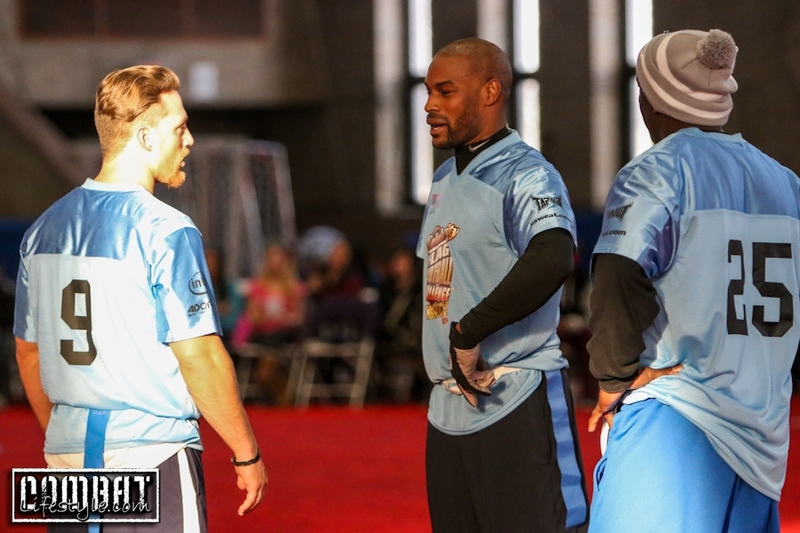 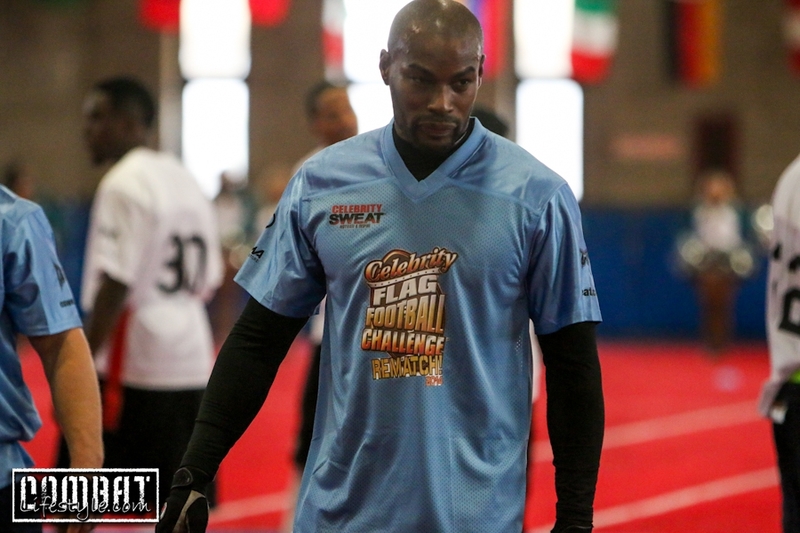 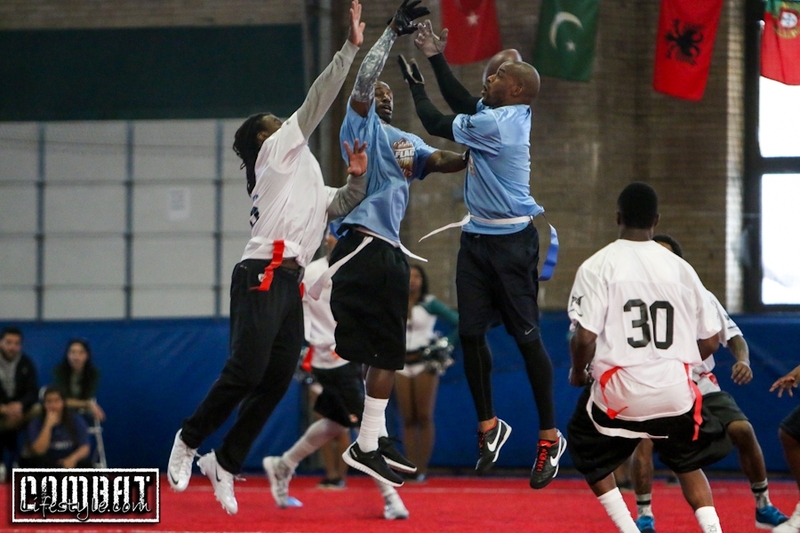 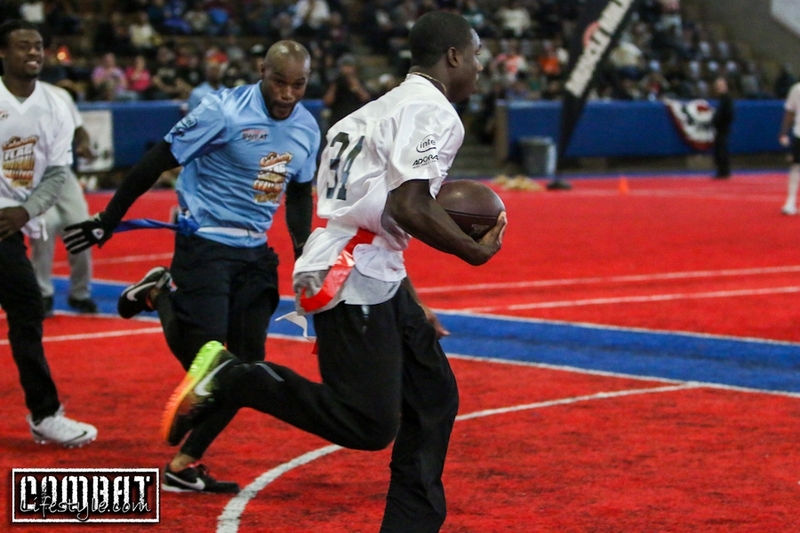 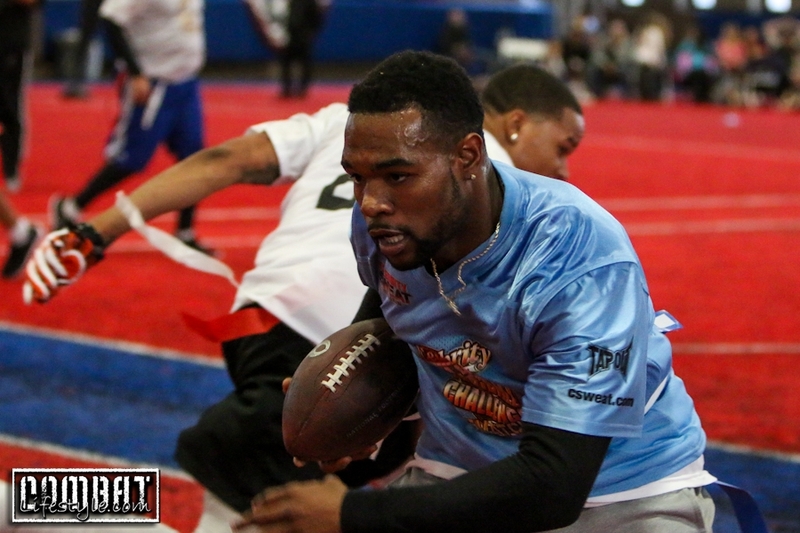 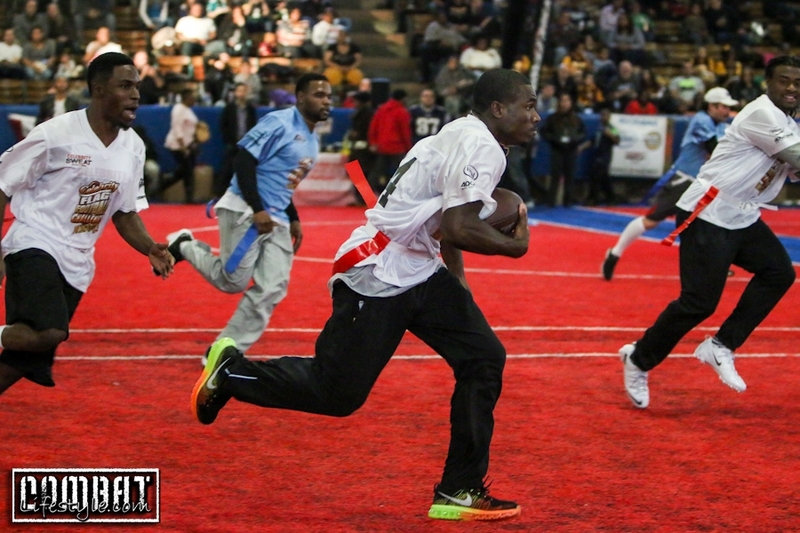 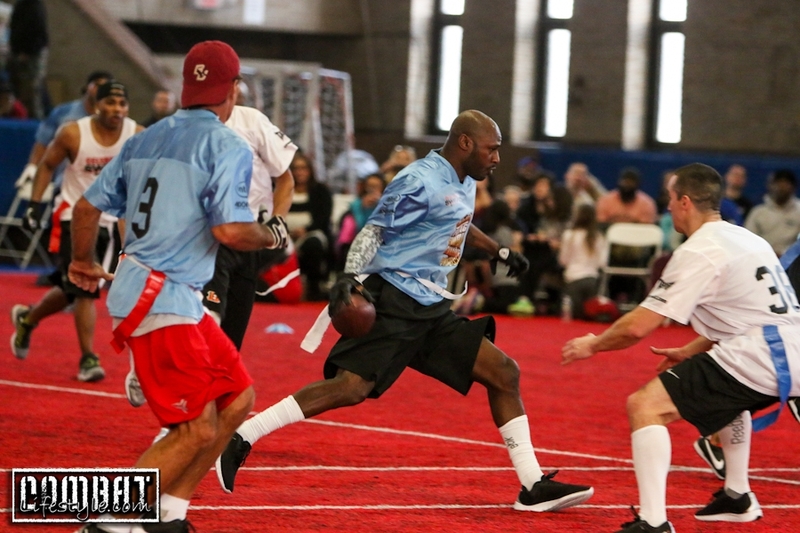 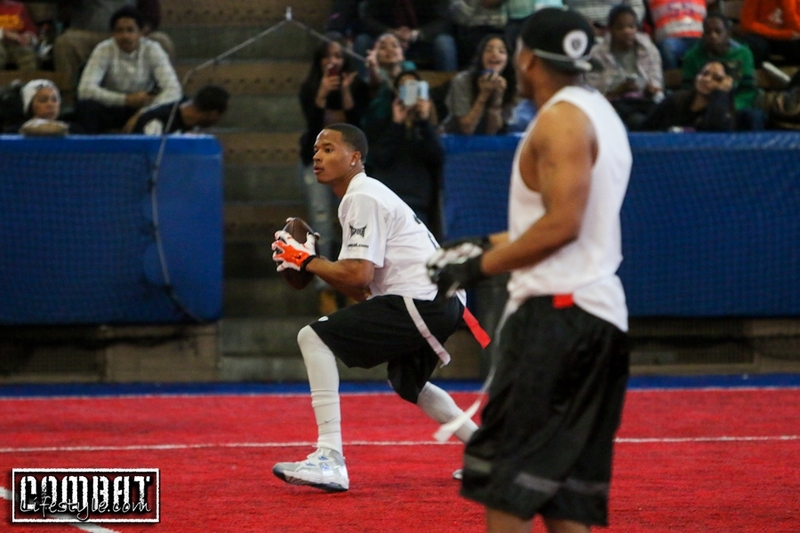 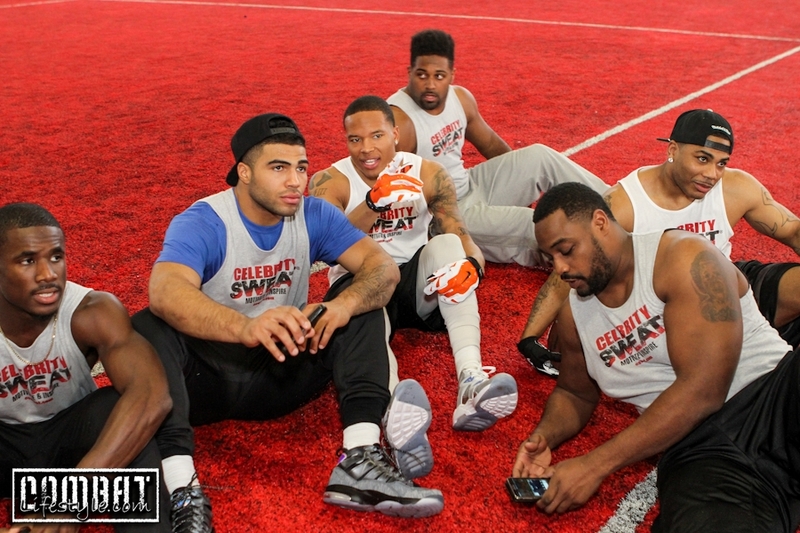 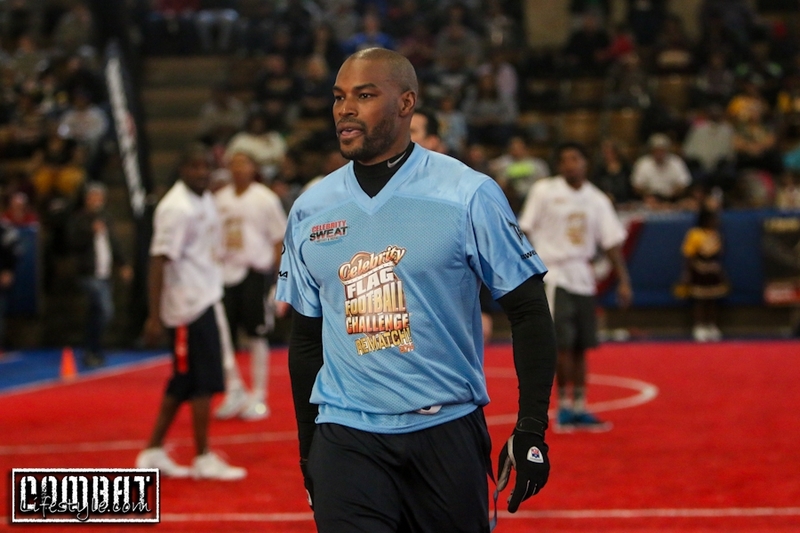 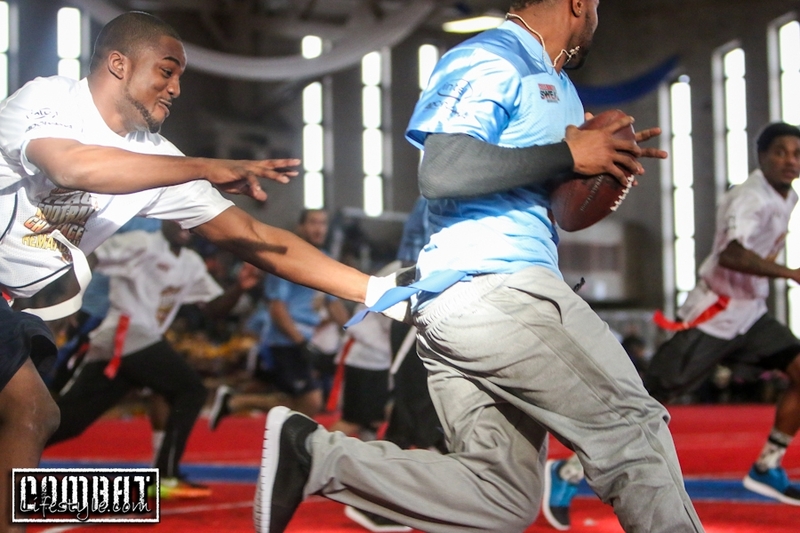 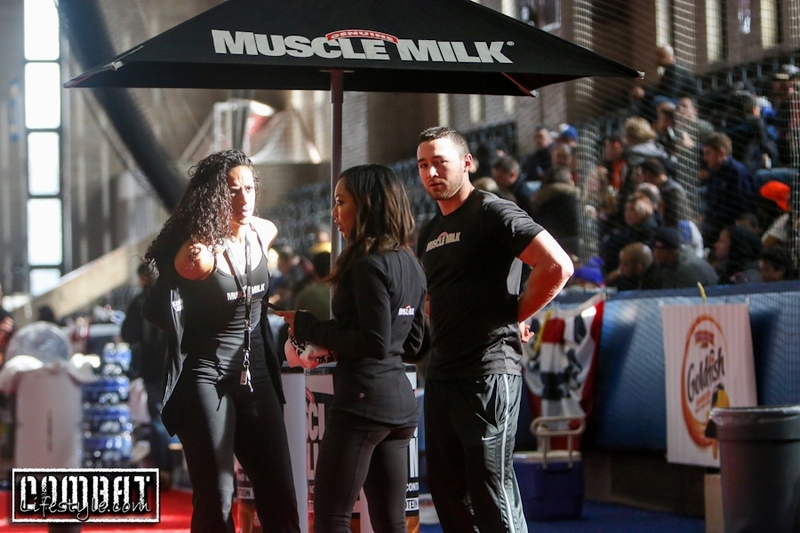 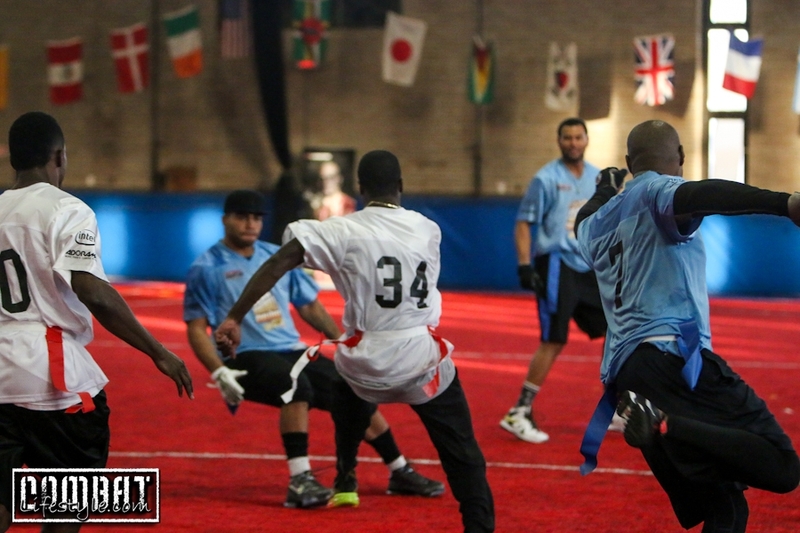 The teams were stacked with athletes, players & even model Tyson Beckford who as you can see from the pics was no slouch on the field.. 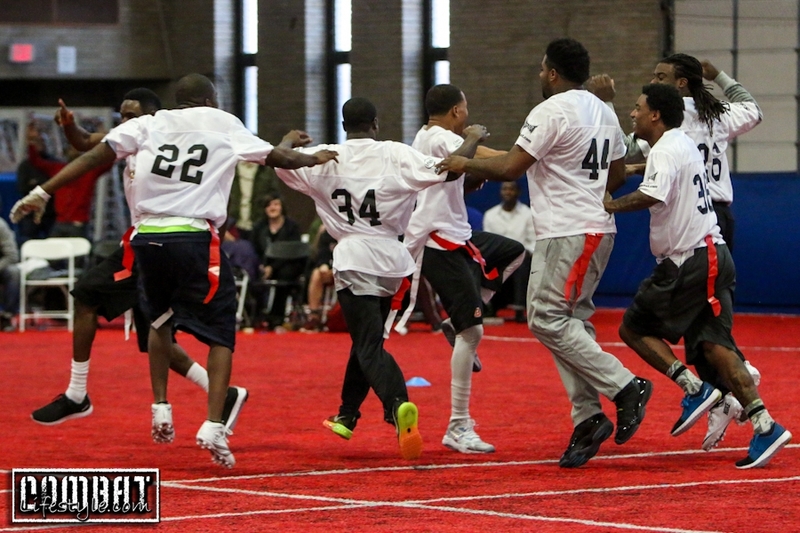 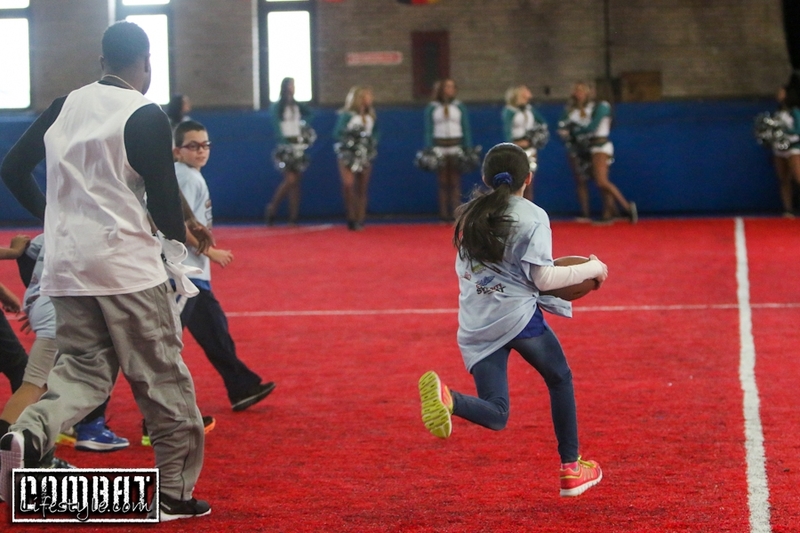 The festivities started off with a pregame scrimmage where the kids got involved. 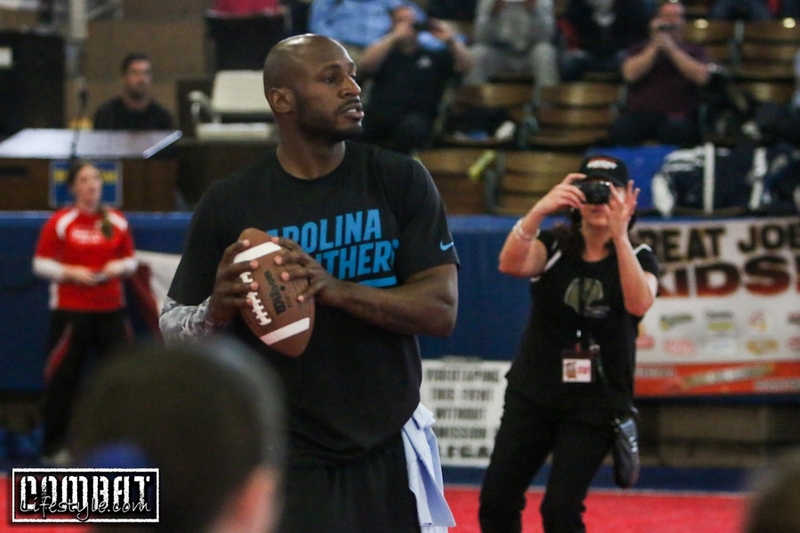 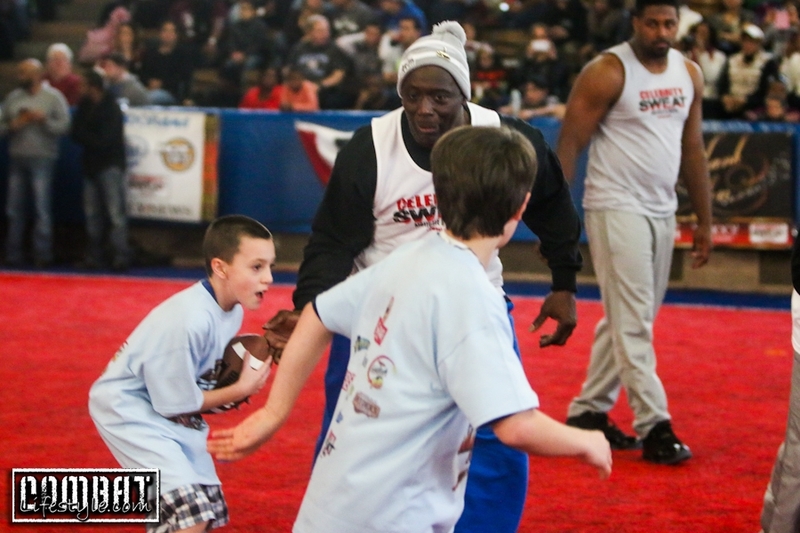 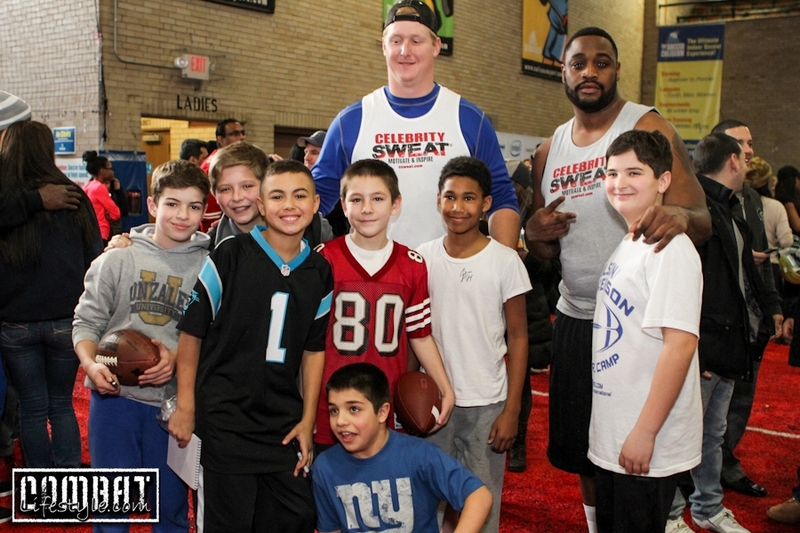 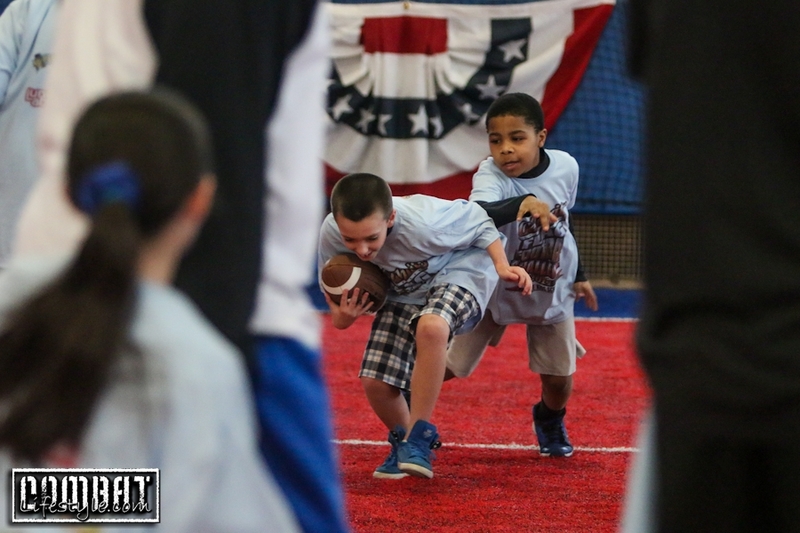 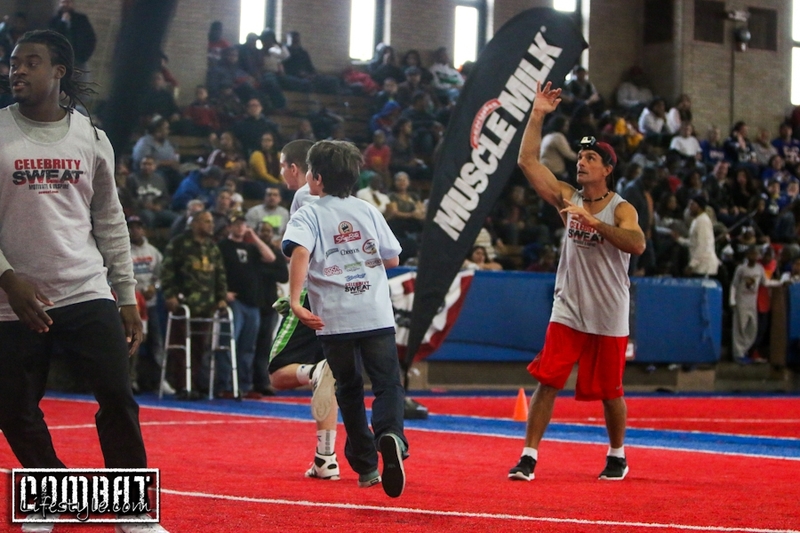 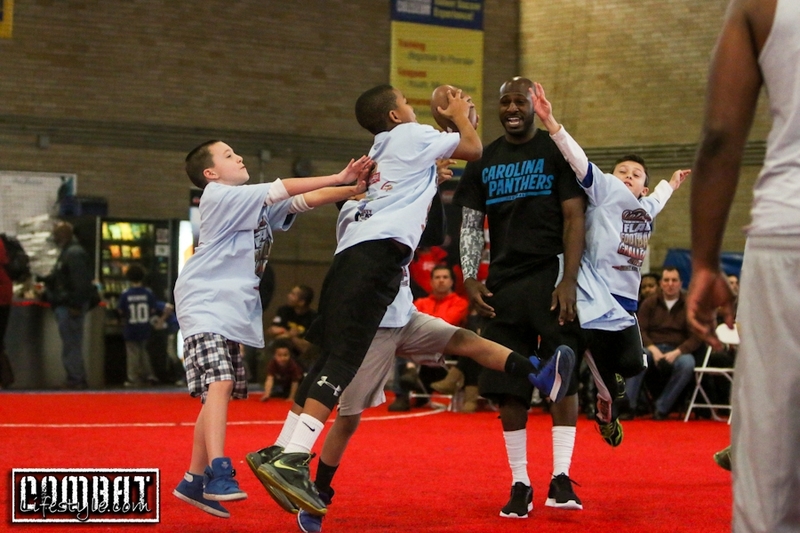 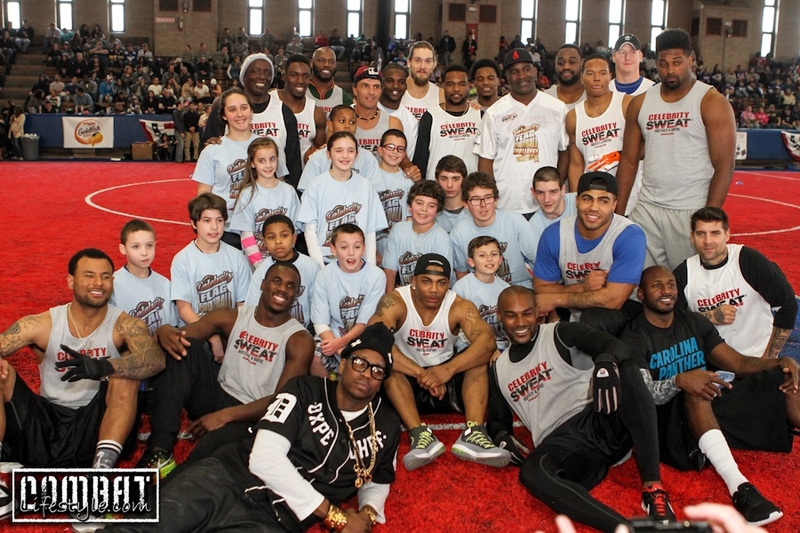 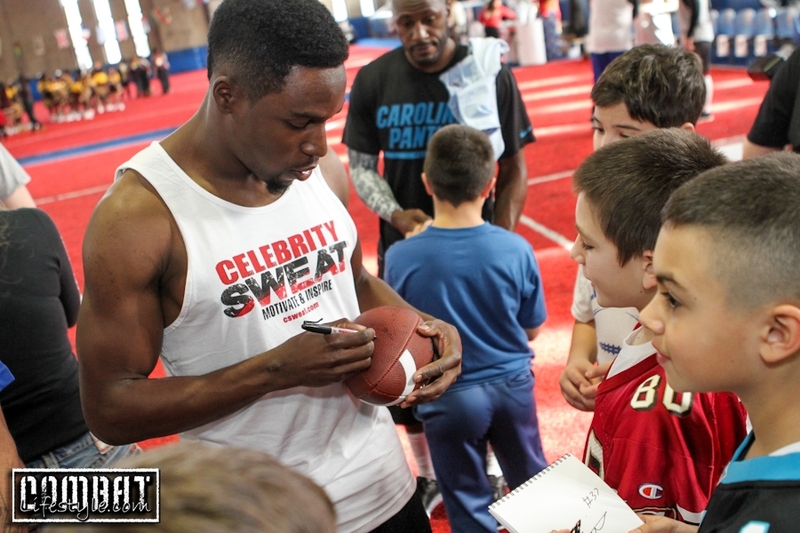 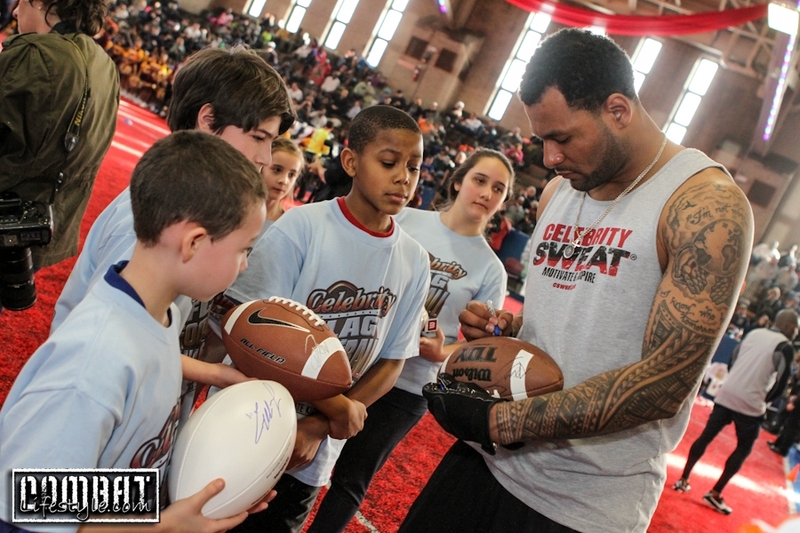 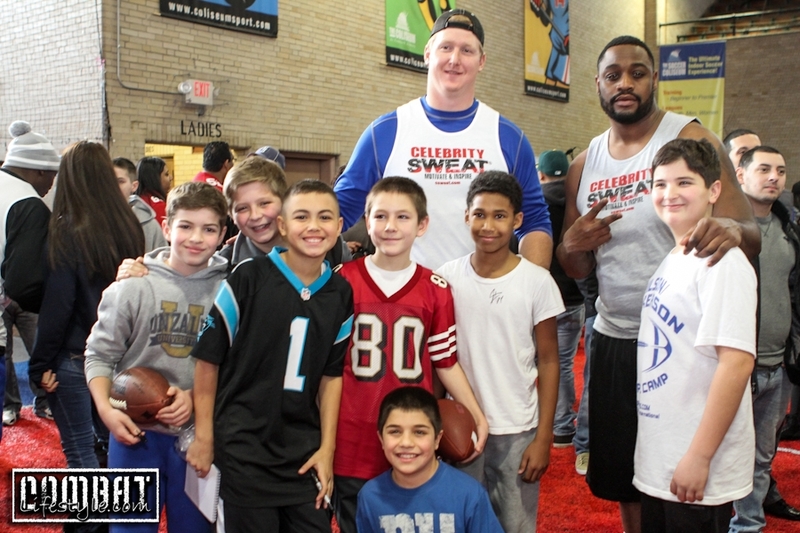 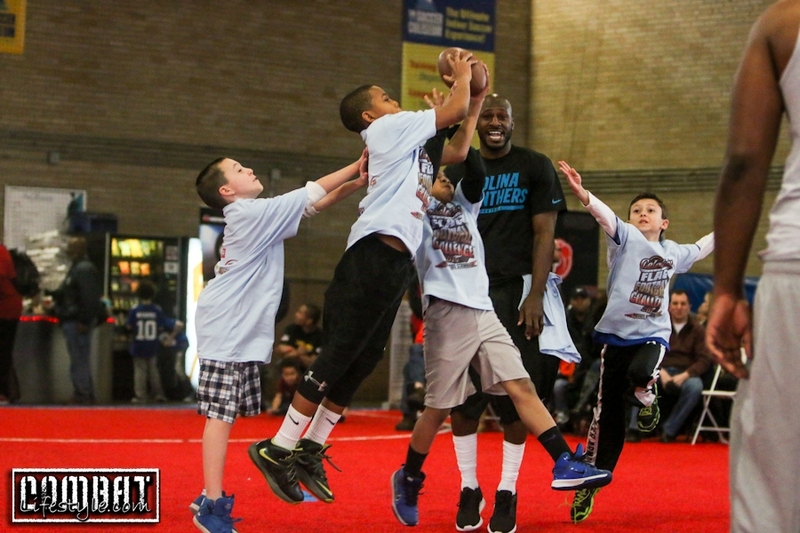 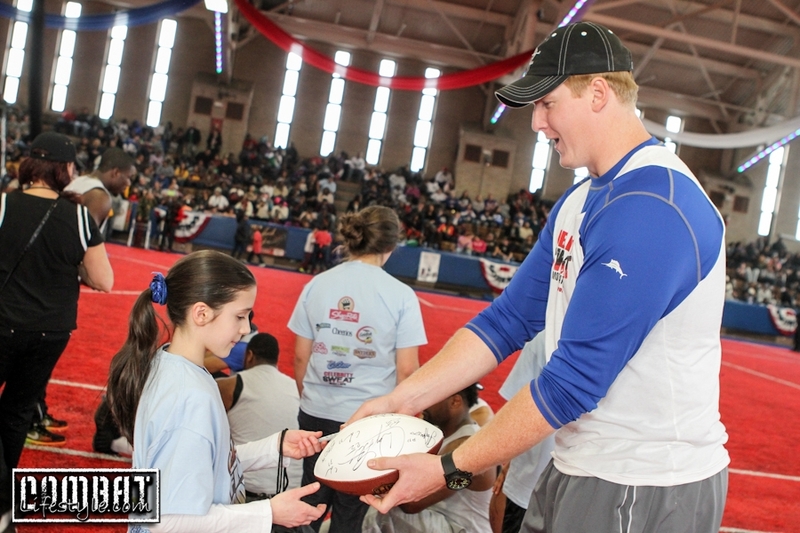 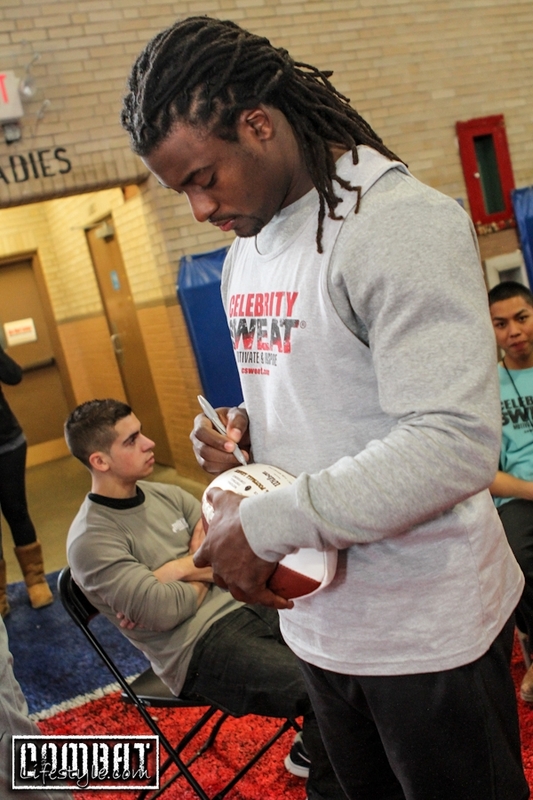 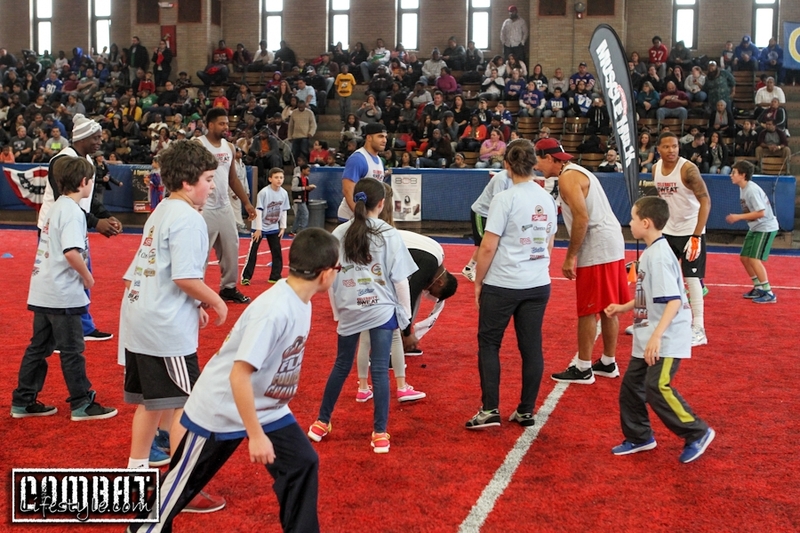 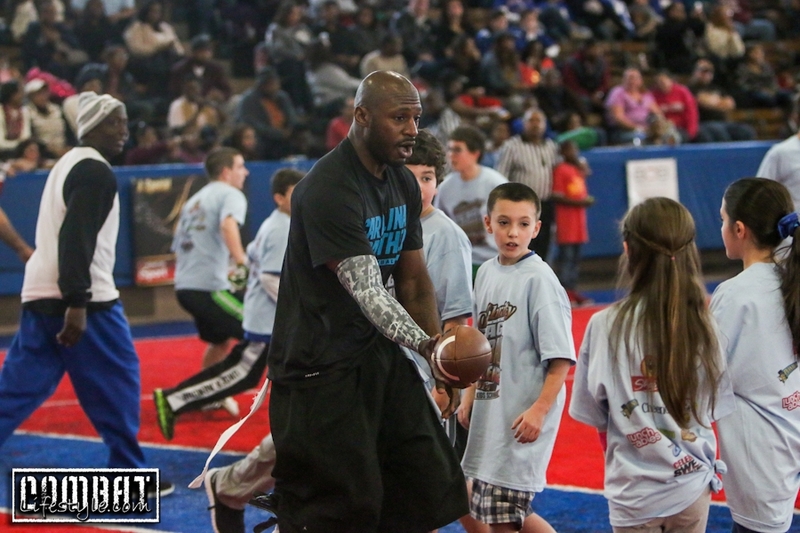 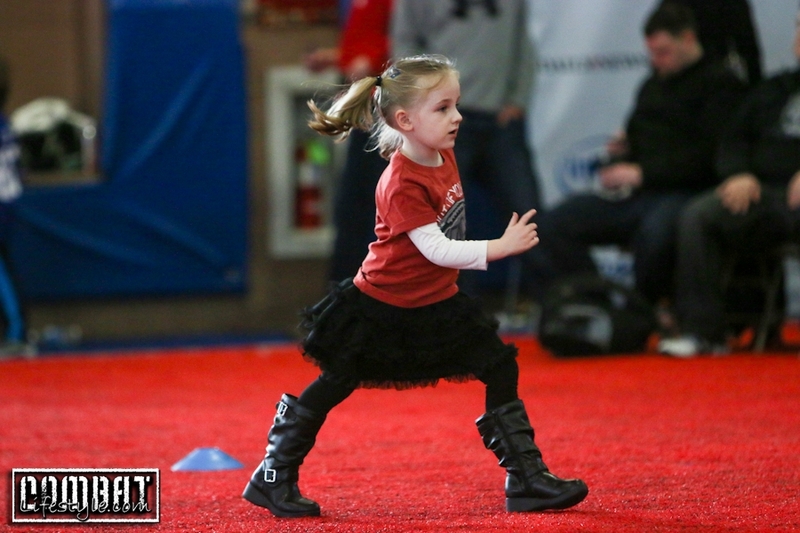 It was great to see these huge ball athletes playing with these tiny kids. 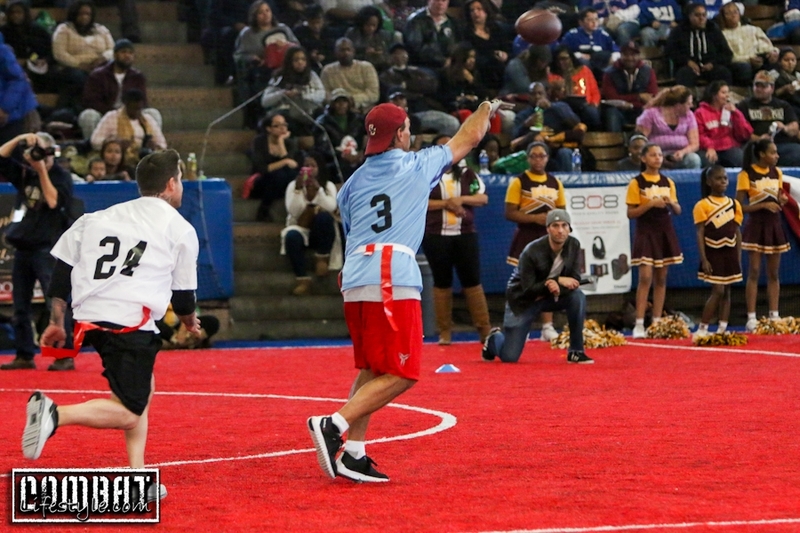 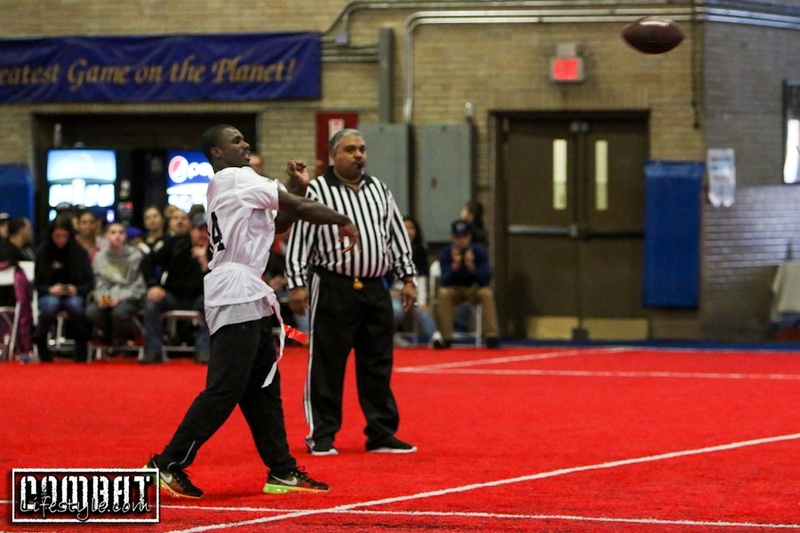 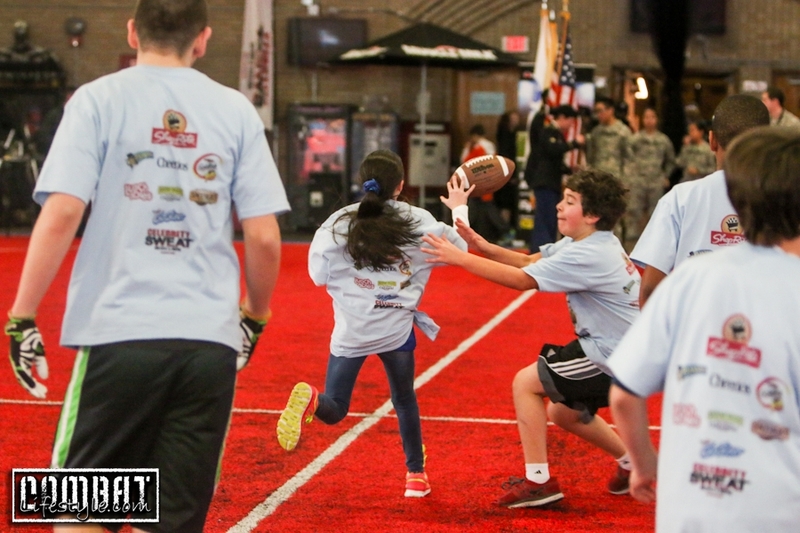 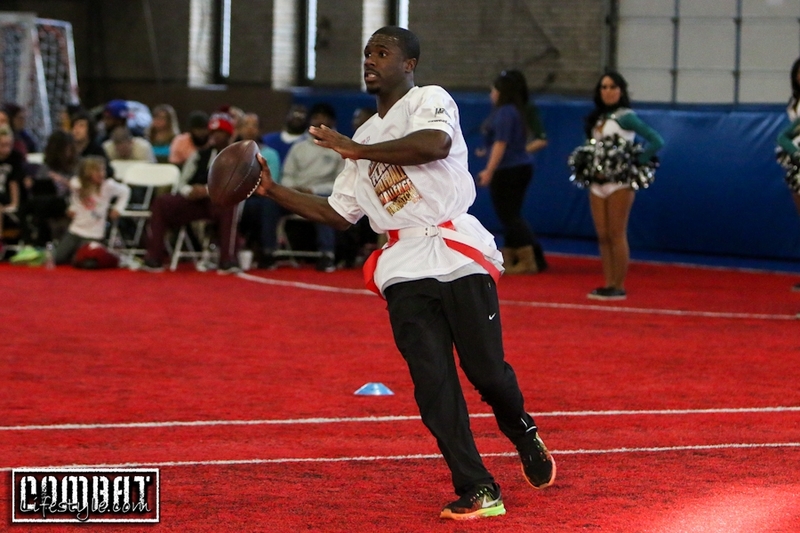 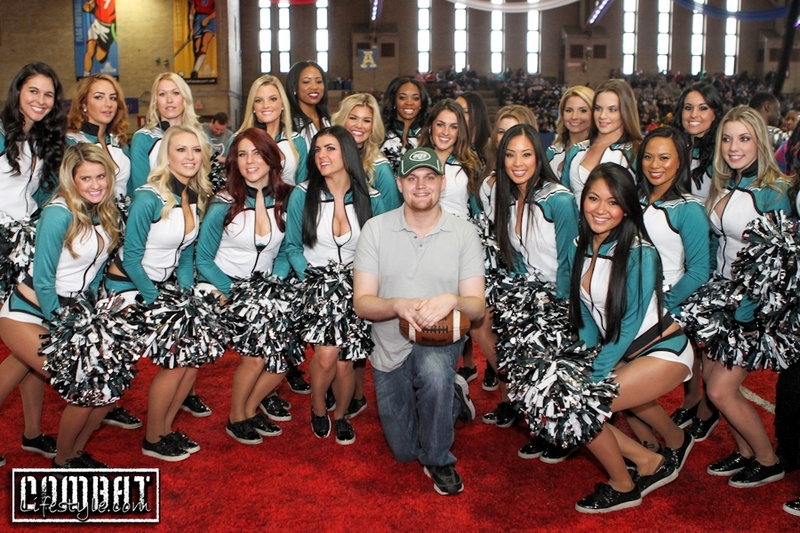 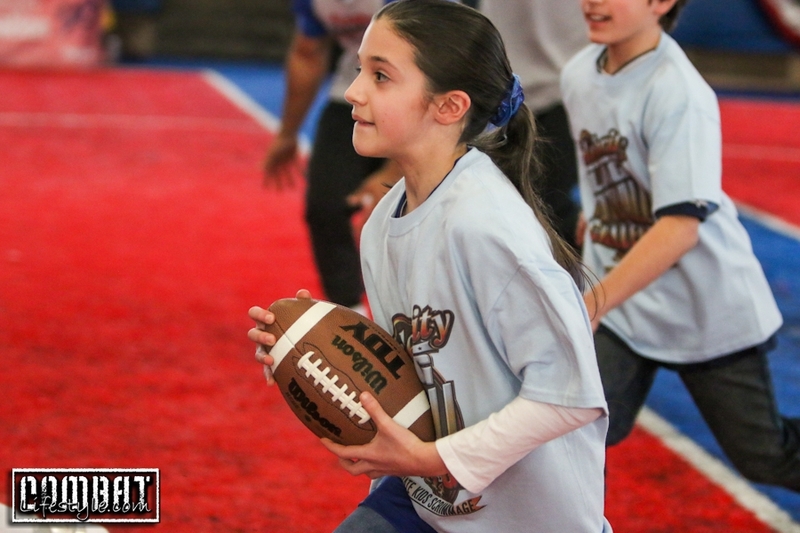 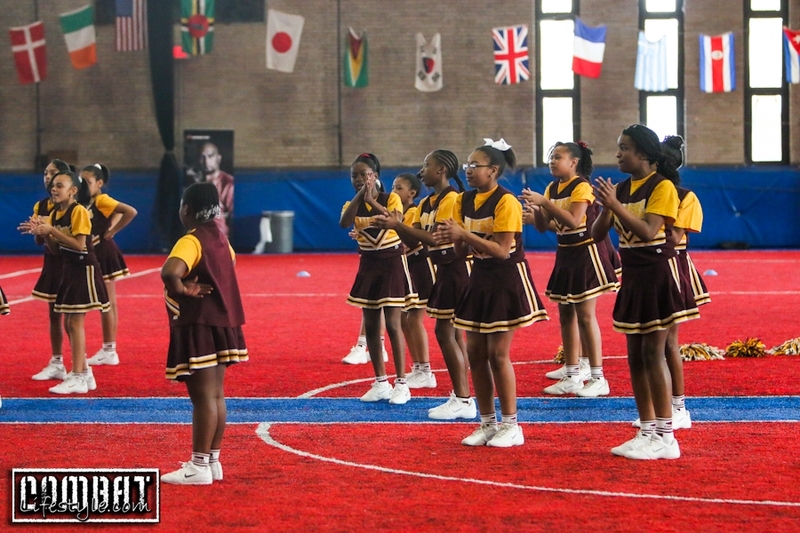 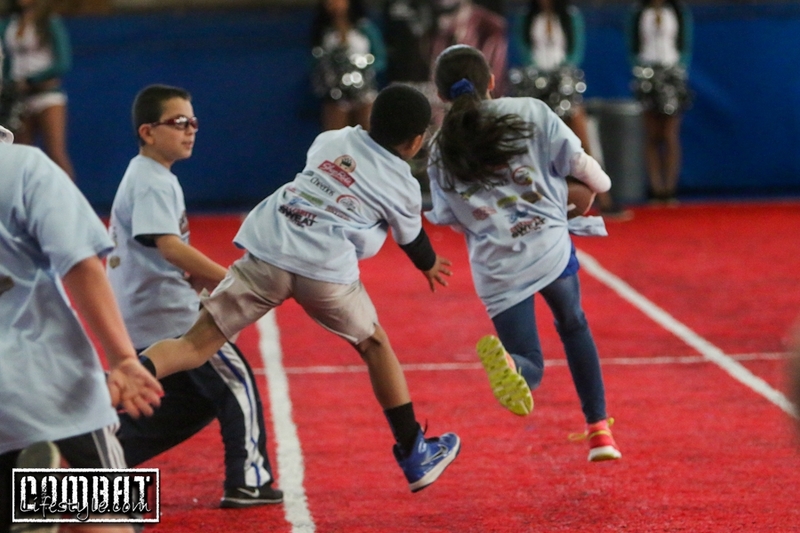 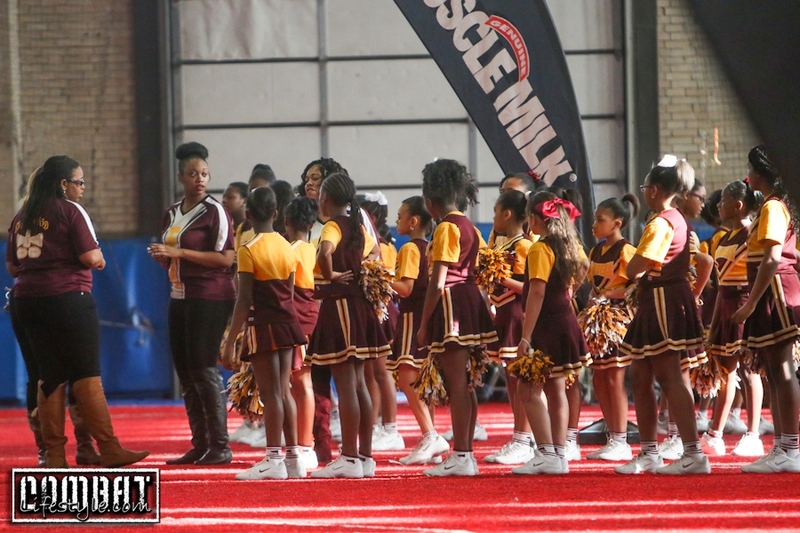 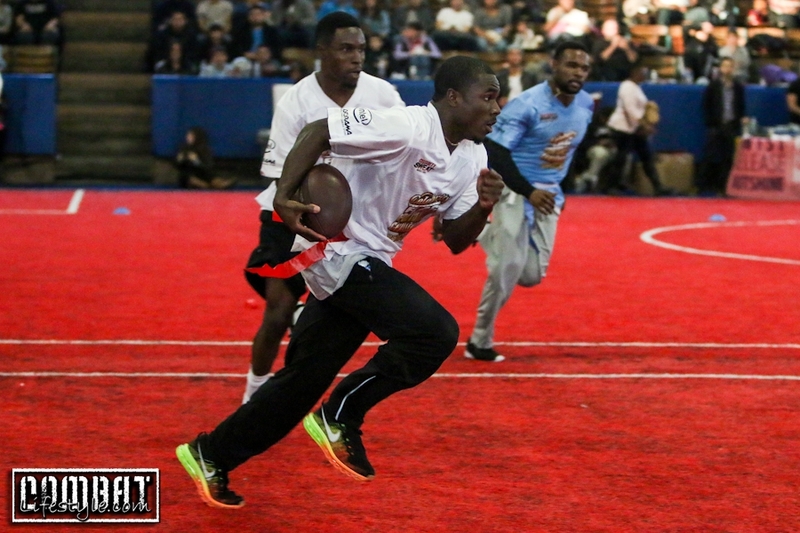 After about 30 minutes of that, the real game of flag football began cheered on by none other than the Philadelphia Eagles cheerleaders as well as the Englewood Recreational Cheerleading squad! 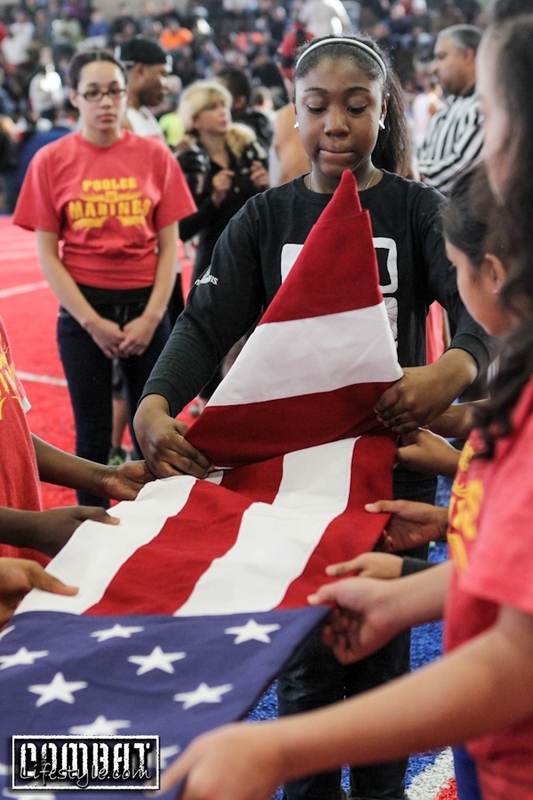 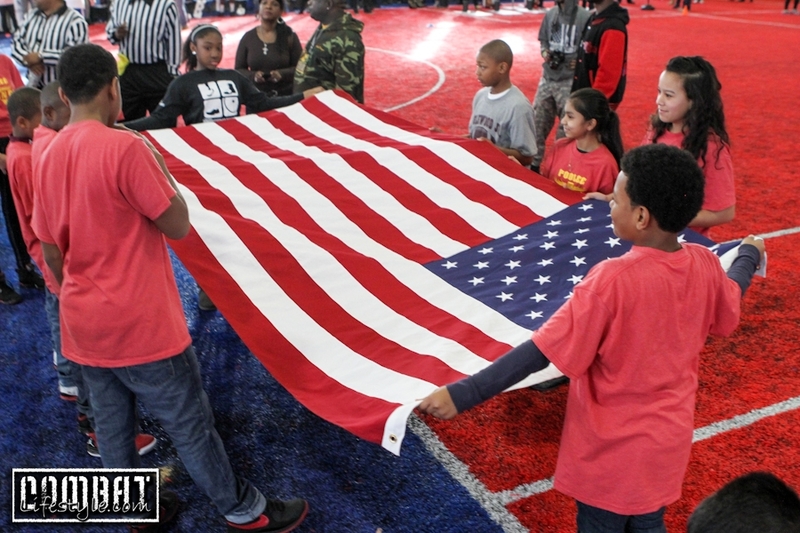 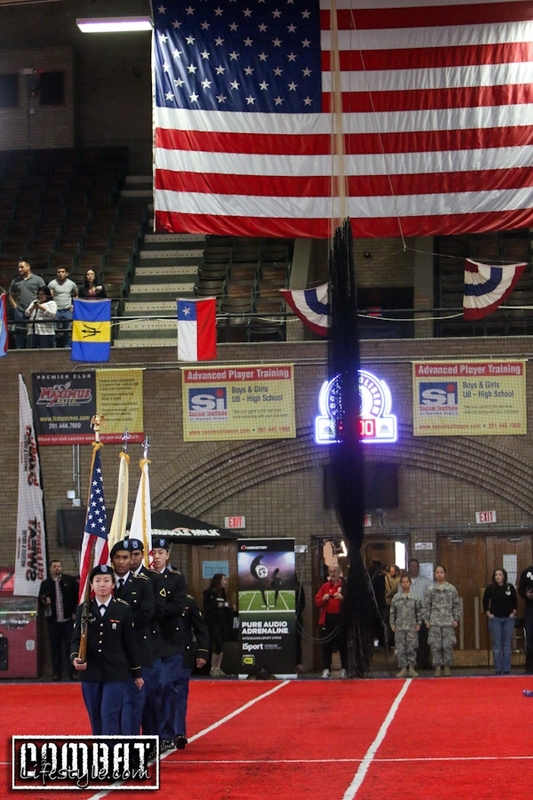 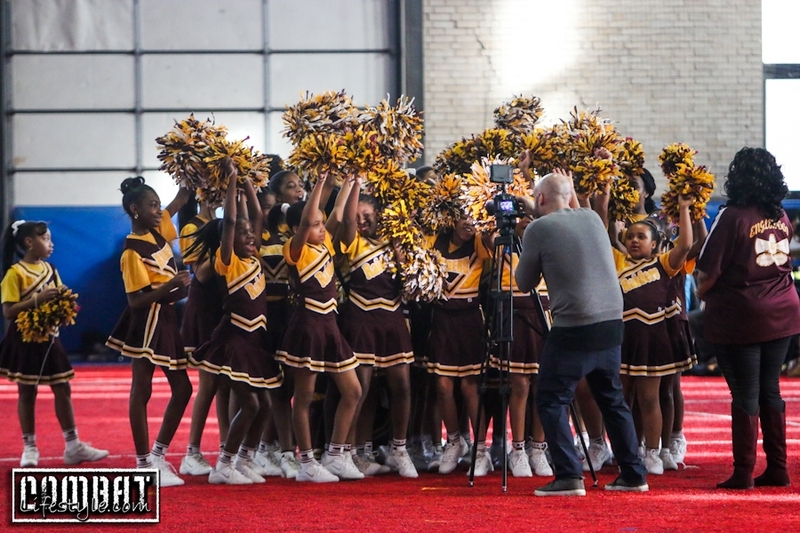 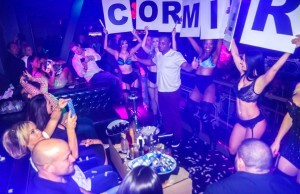 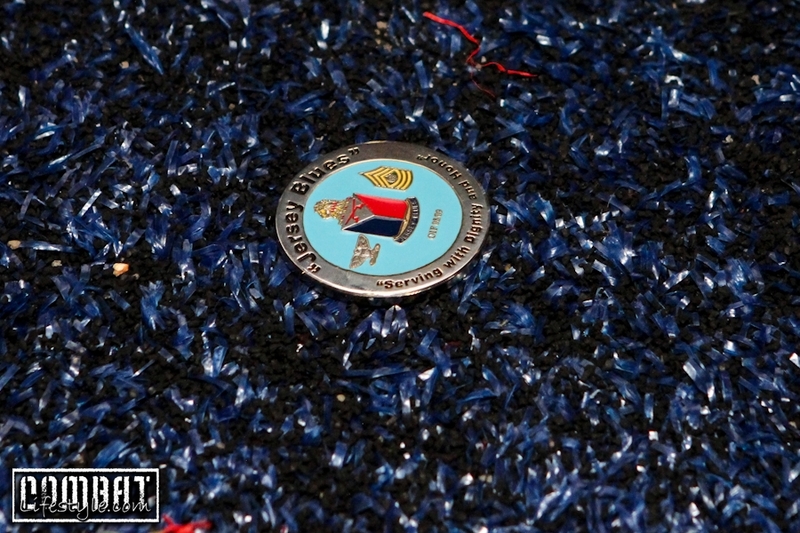 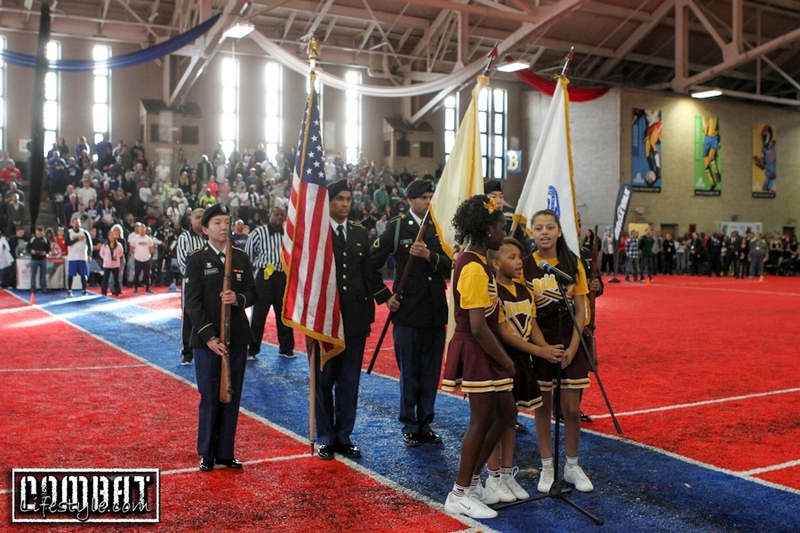 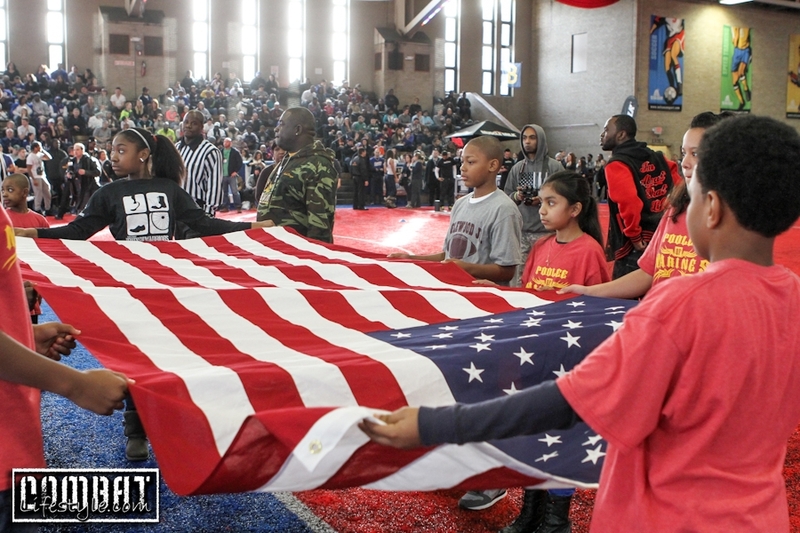 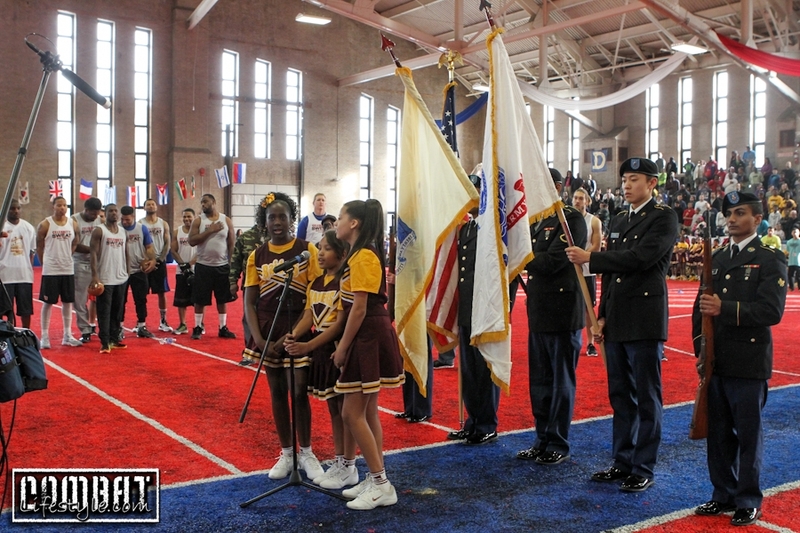 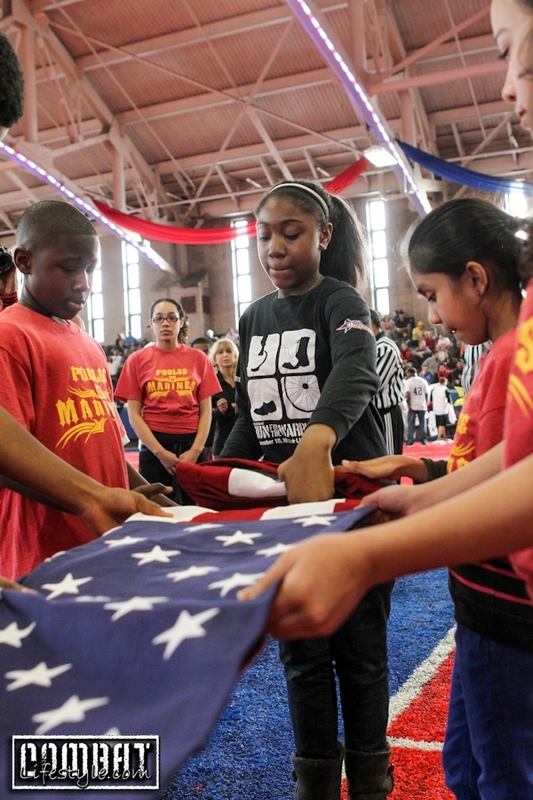 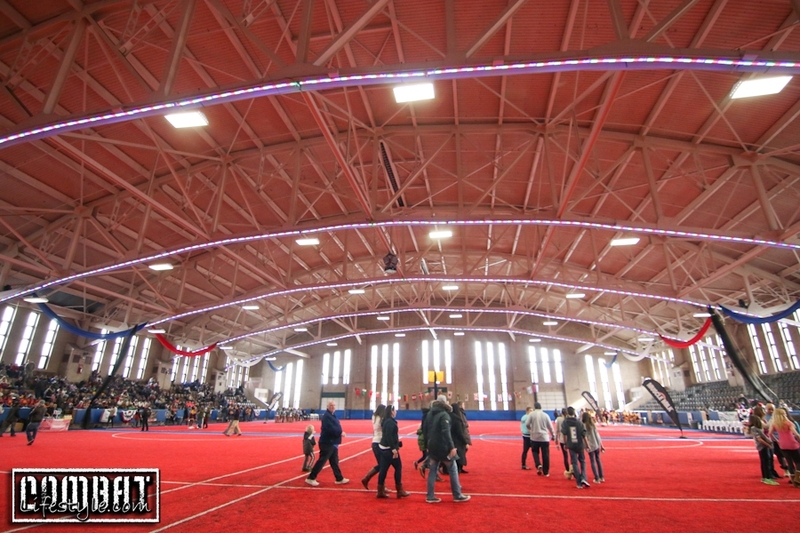 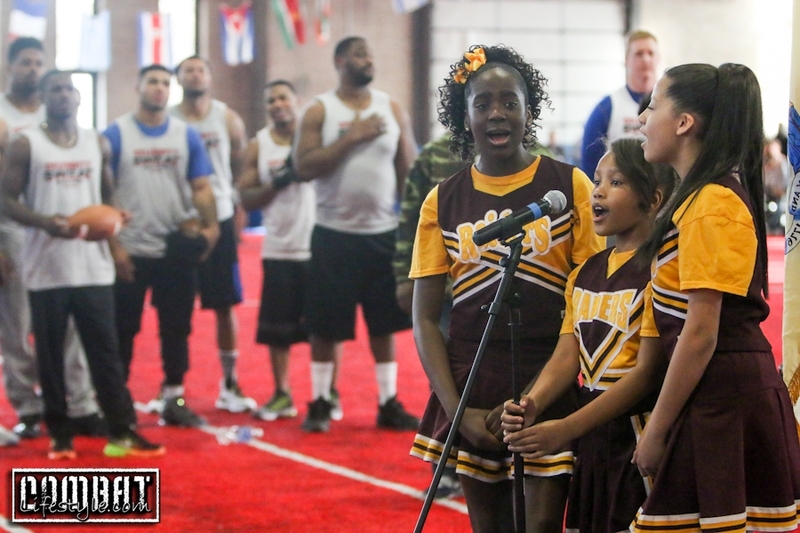 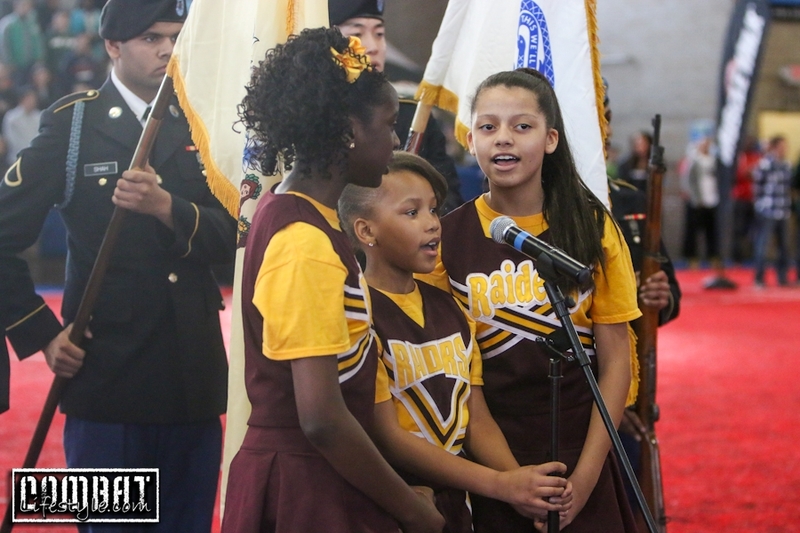 The event was emceed by DJ Martial and was kicked off with a presentation of colors and the singing of the National Anthem by 3 little girl from the Englewood squad. 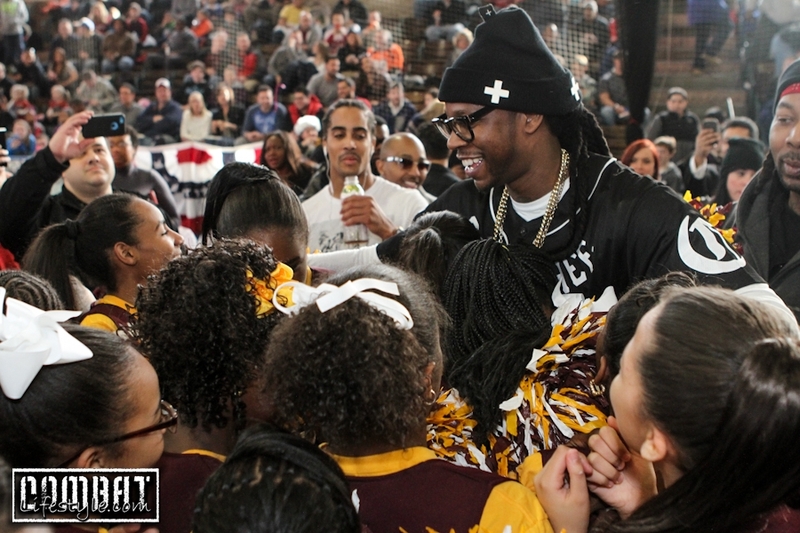 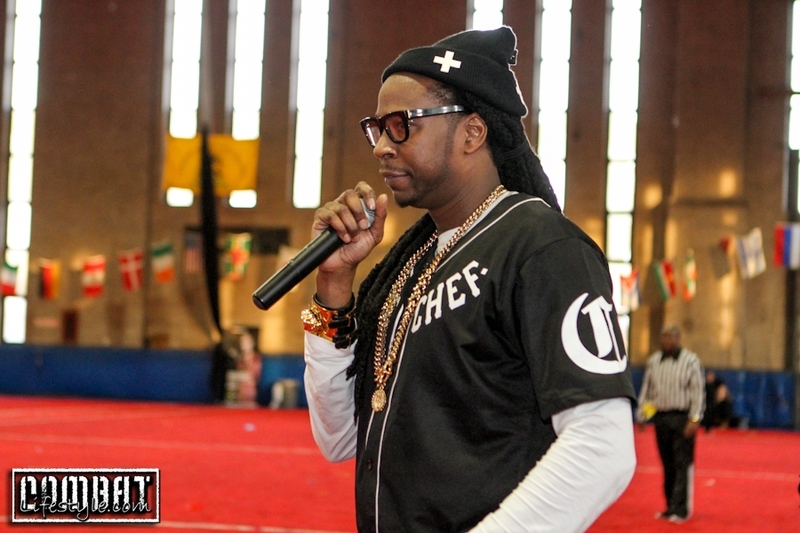 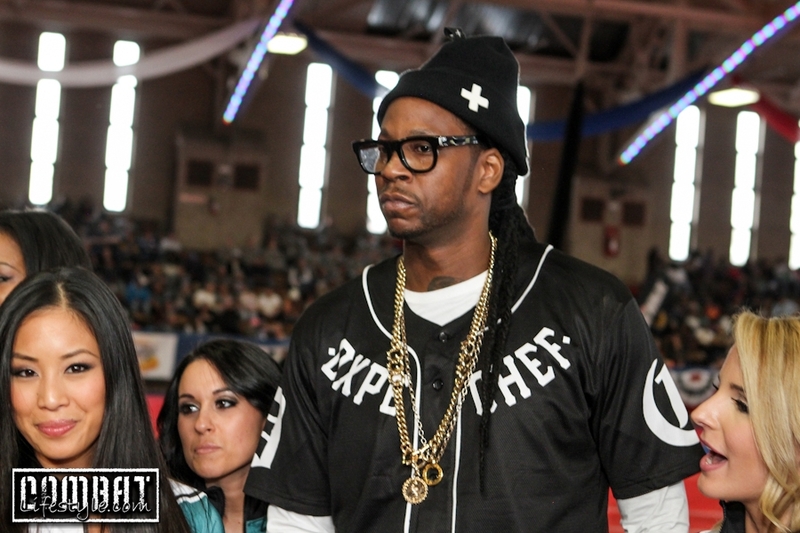 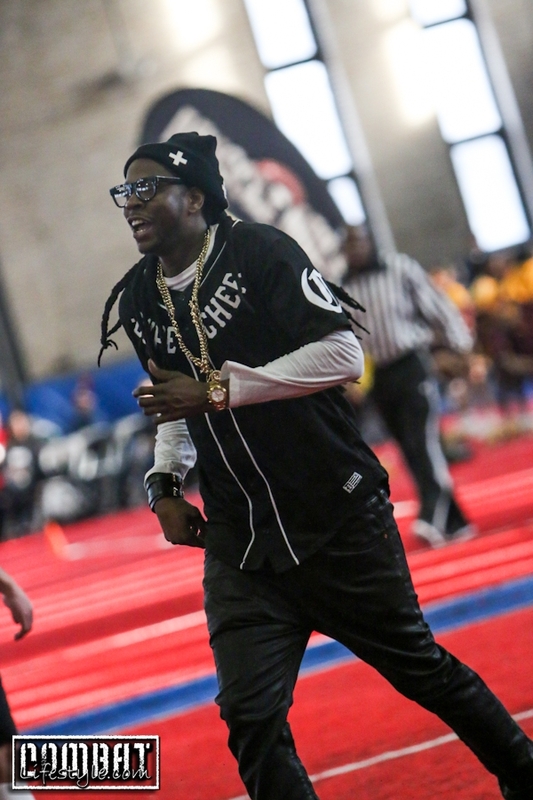 The game was super competitive with 2 Chainz running up and down the field with mic in hand. 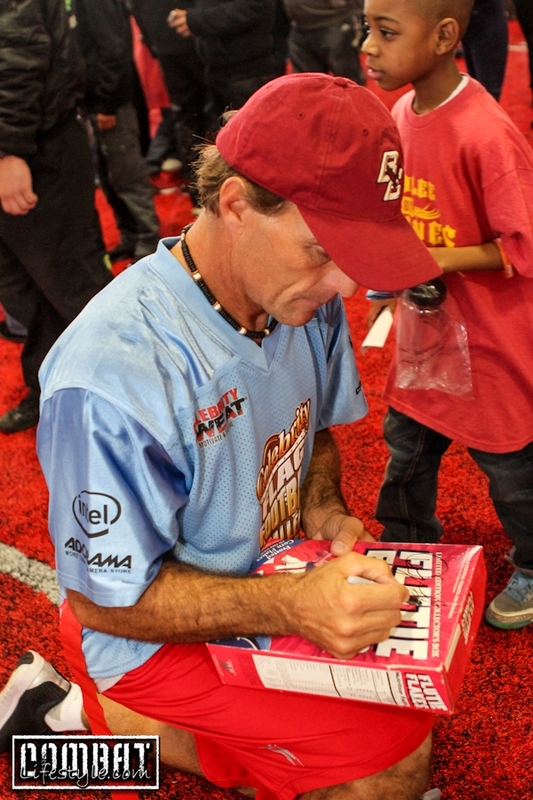 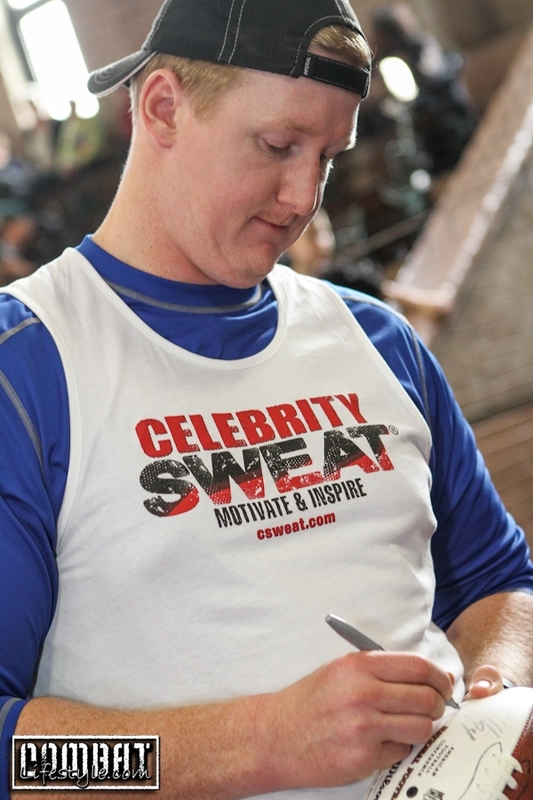 In between halves, the fans poured onto the field for impromptu autograph sessions. 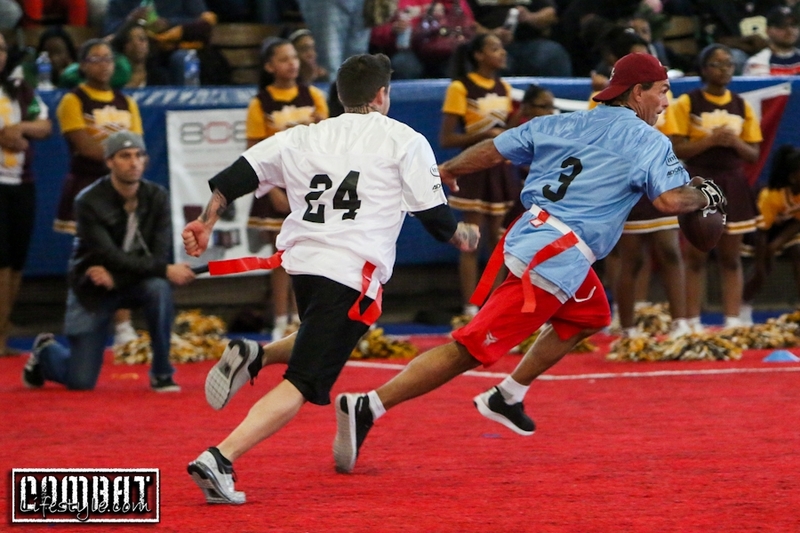 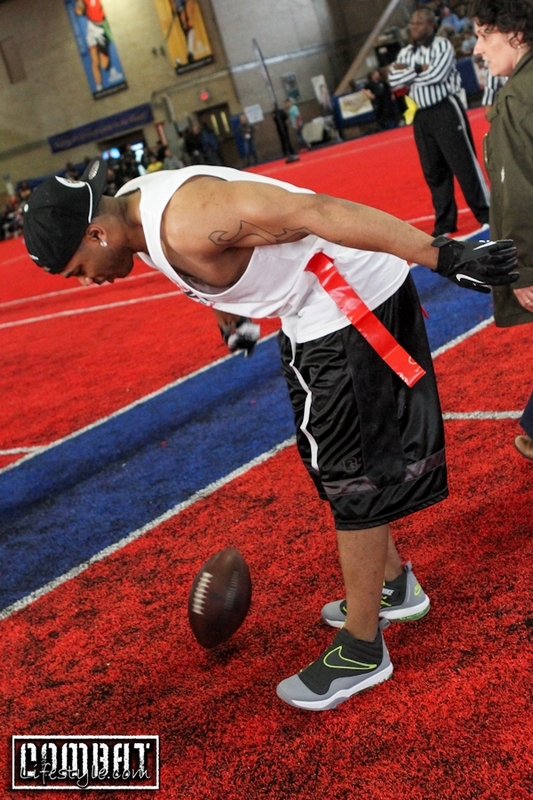 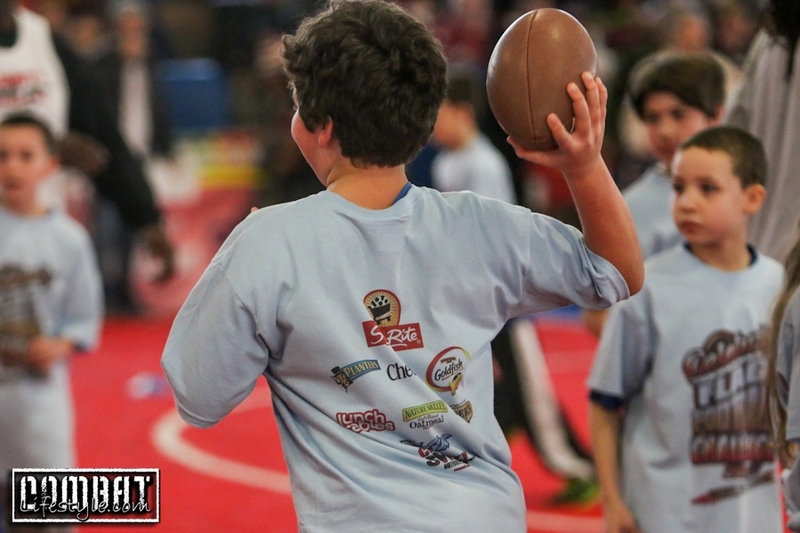 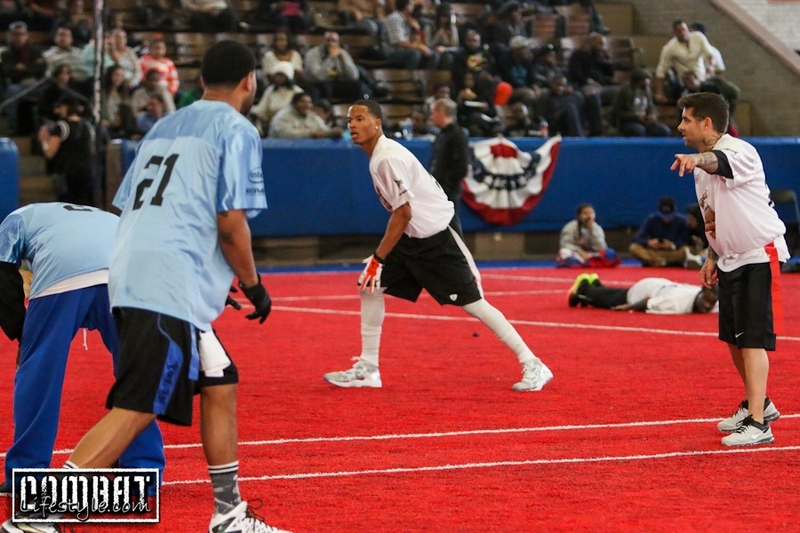 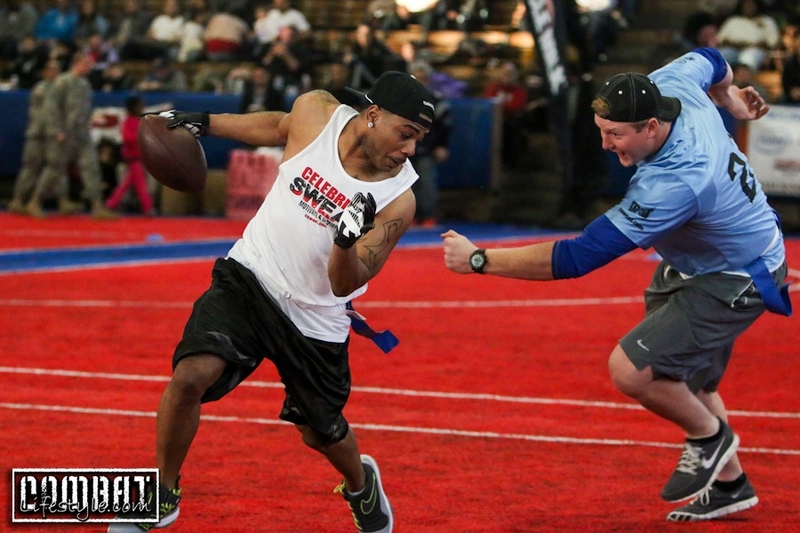 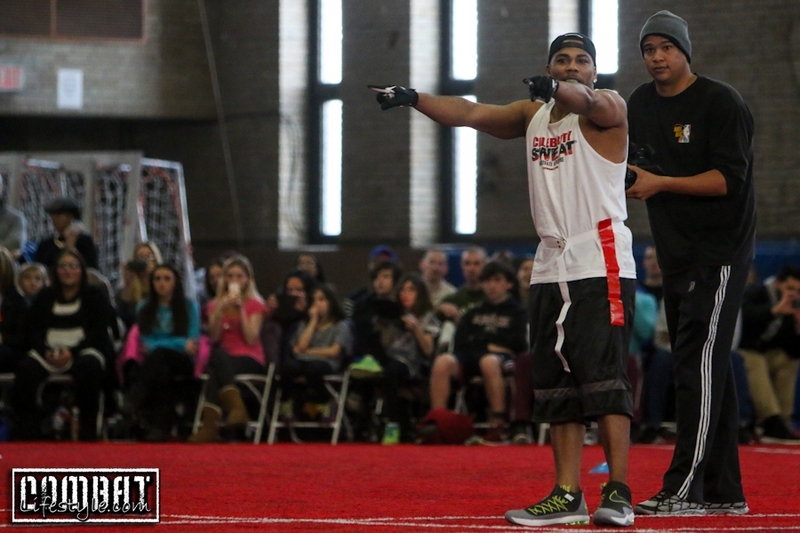 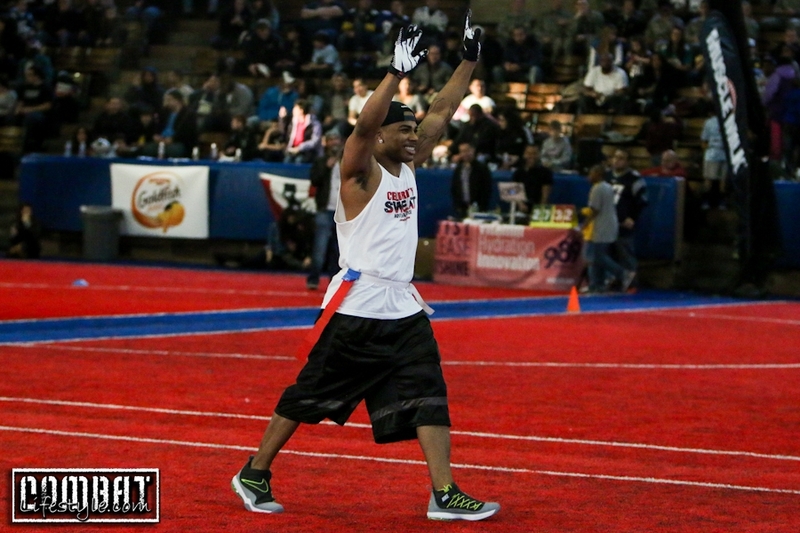 The score was back and forth through the entire event with it coming down to the final touchdown! 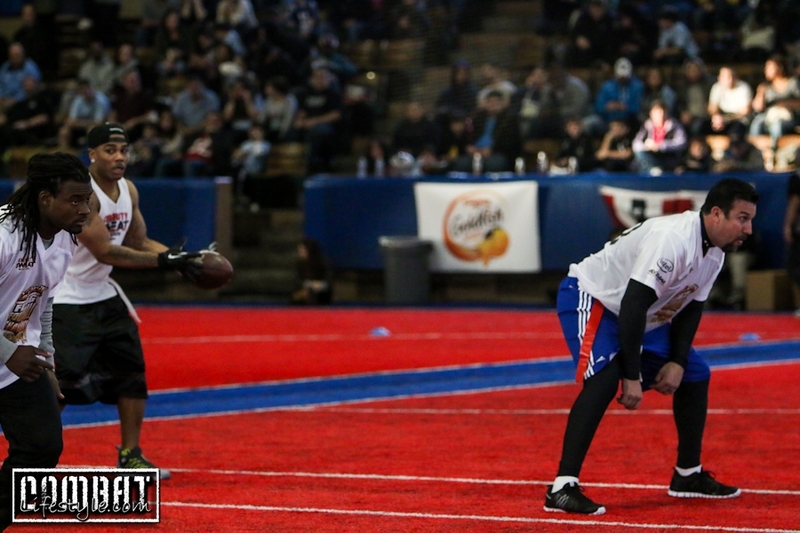 Score sitting at 64-60 (we think!) 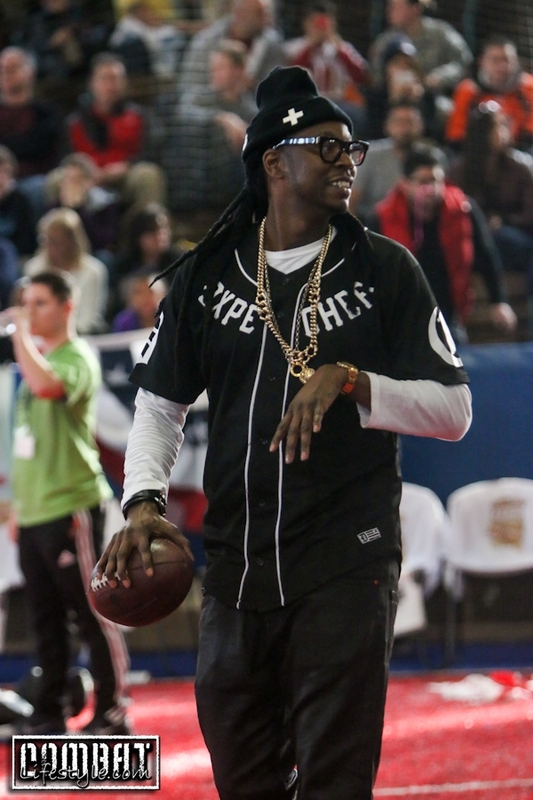 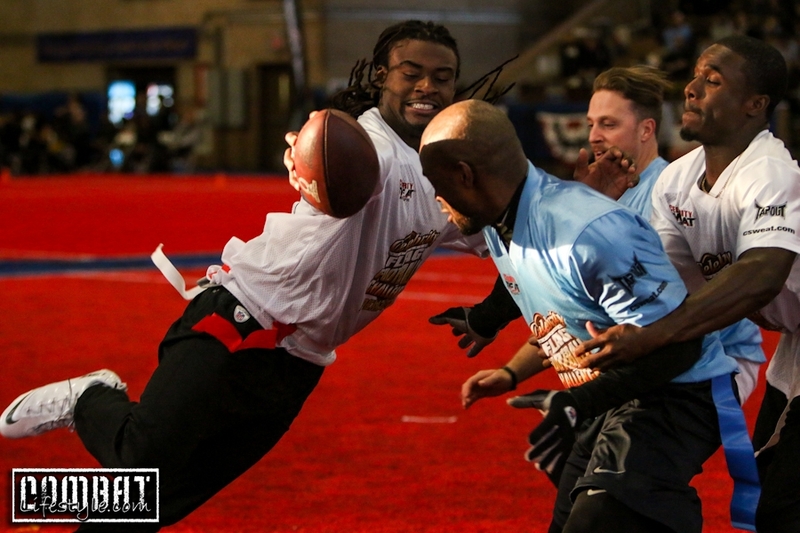 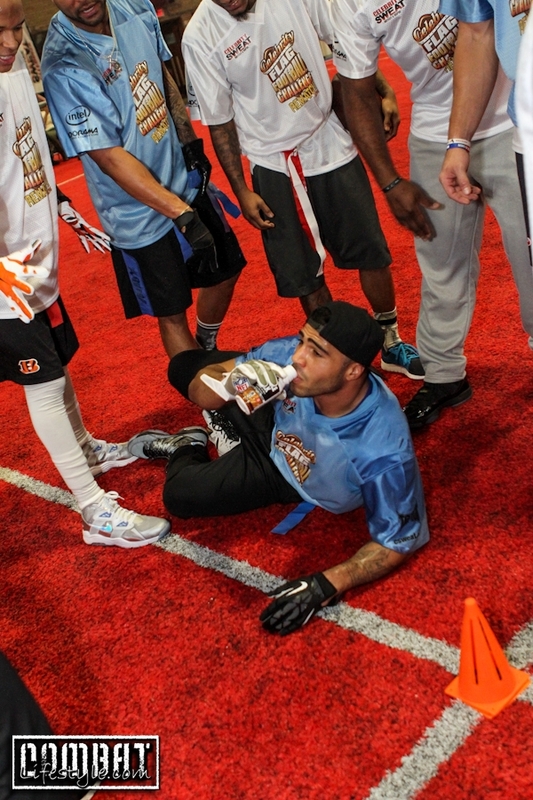 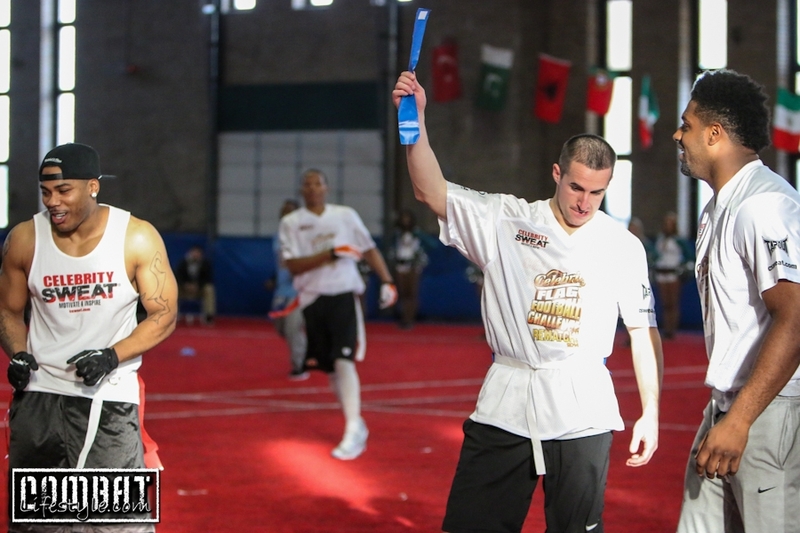 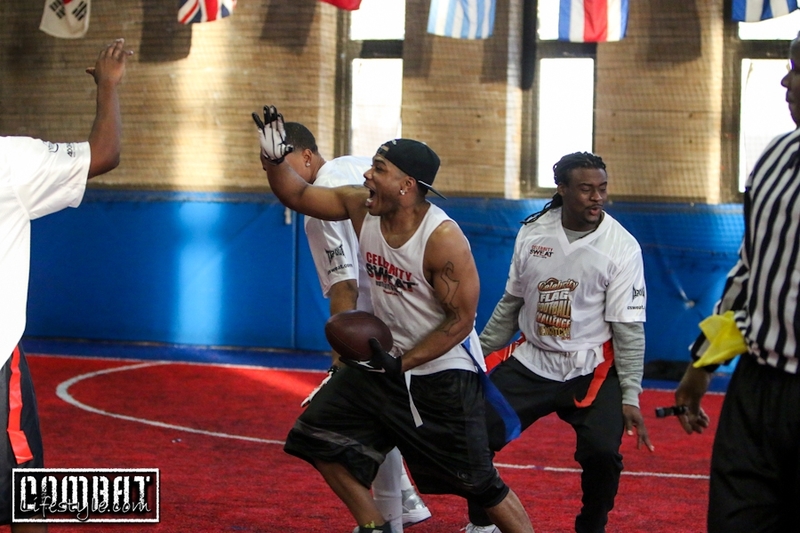 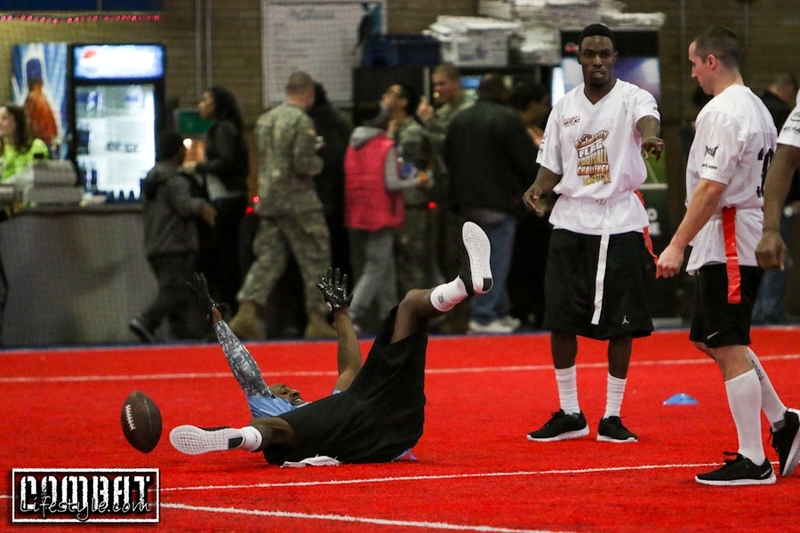 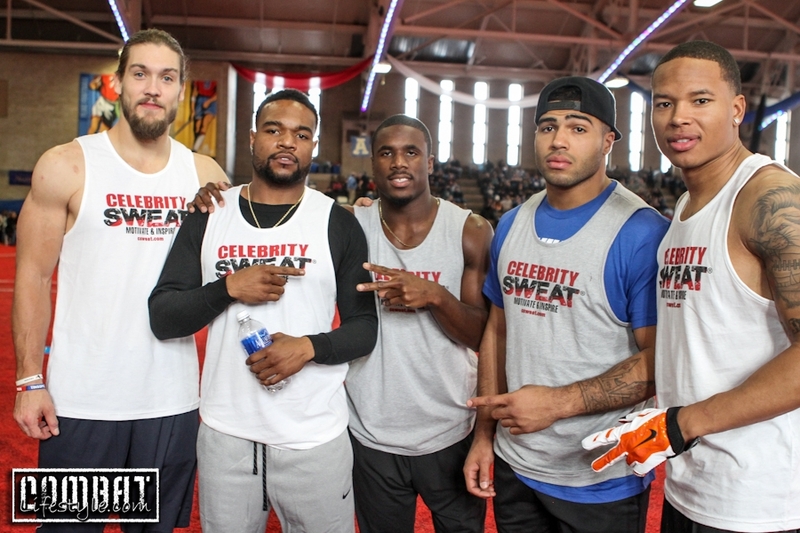 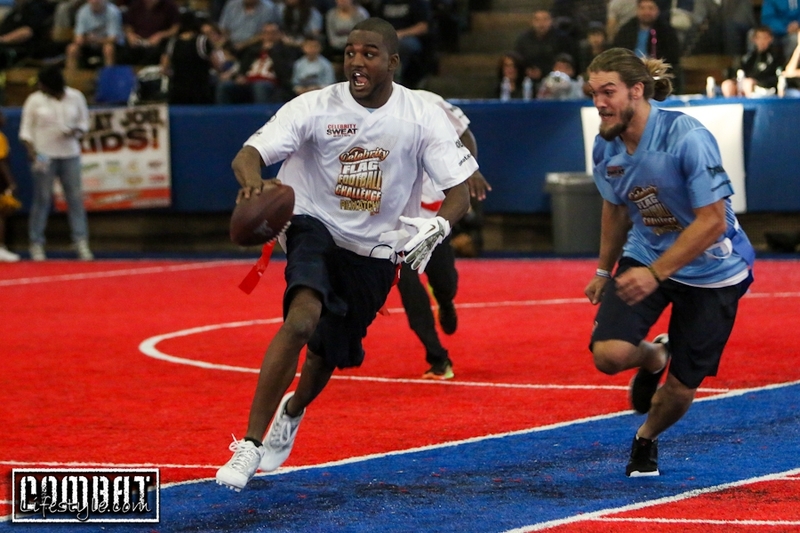 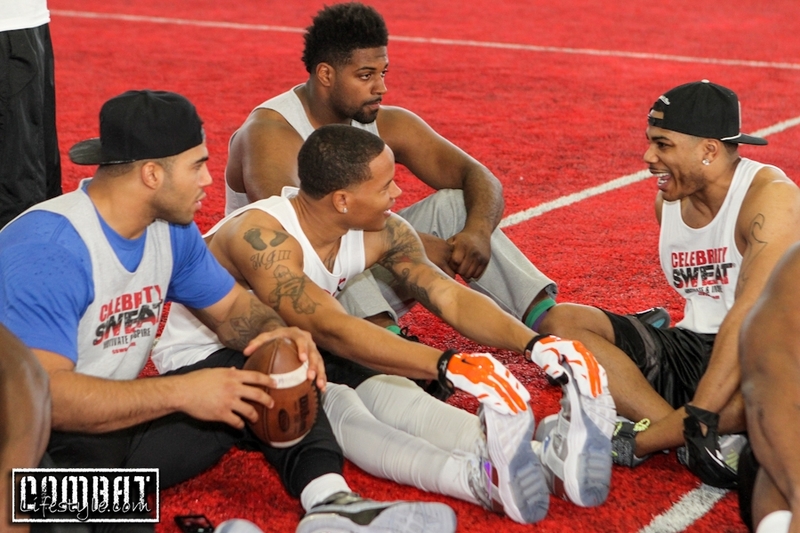 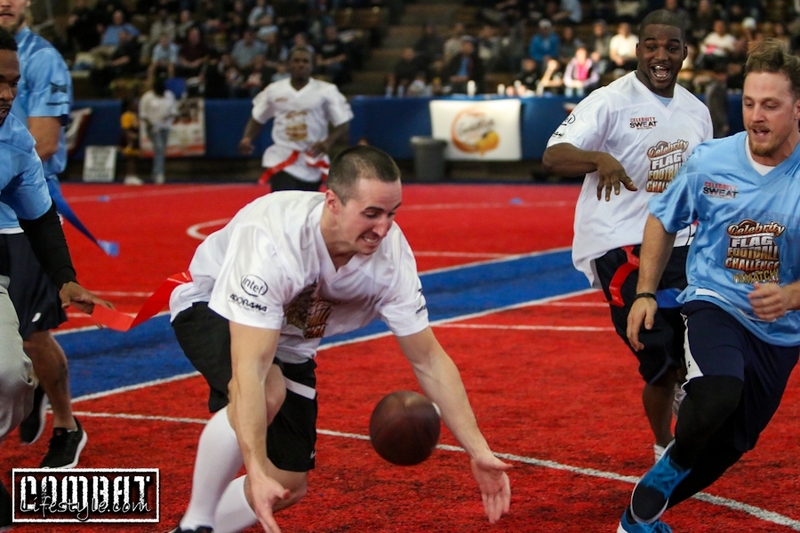 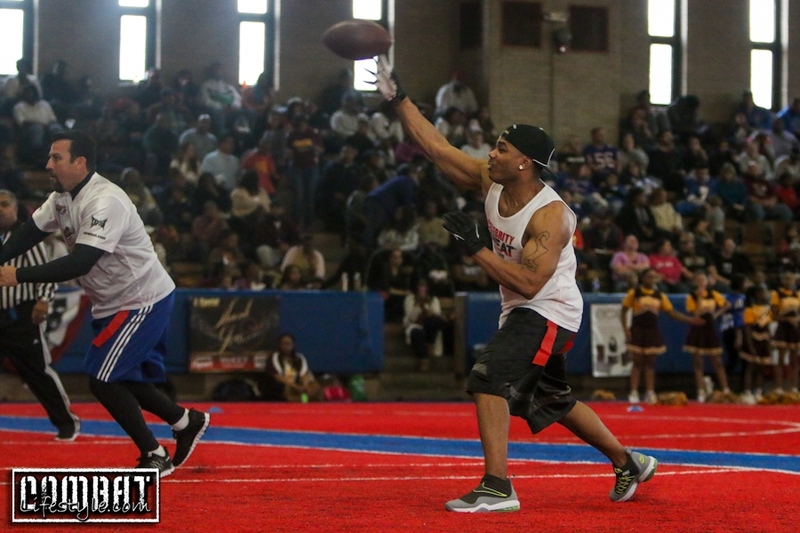 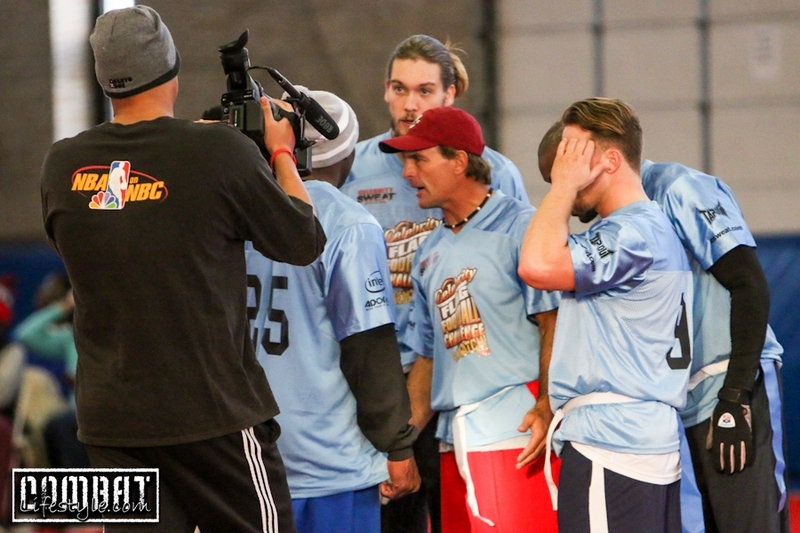 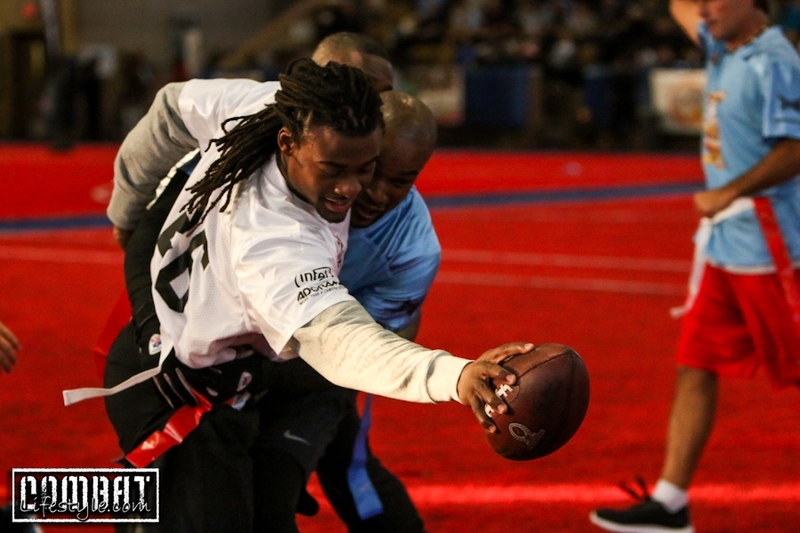 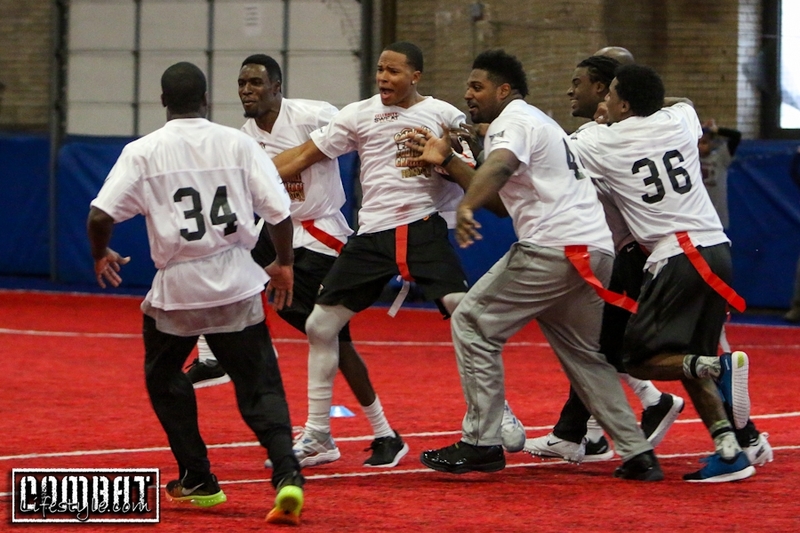 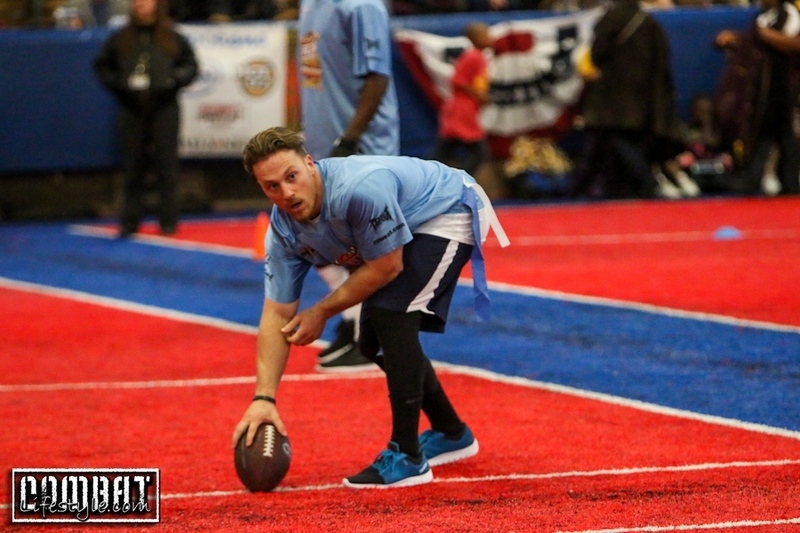 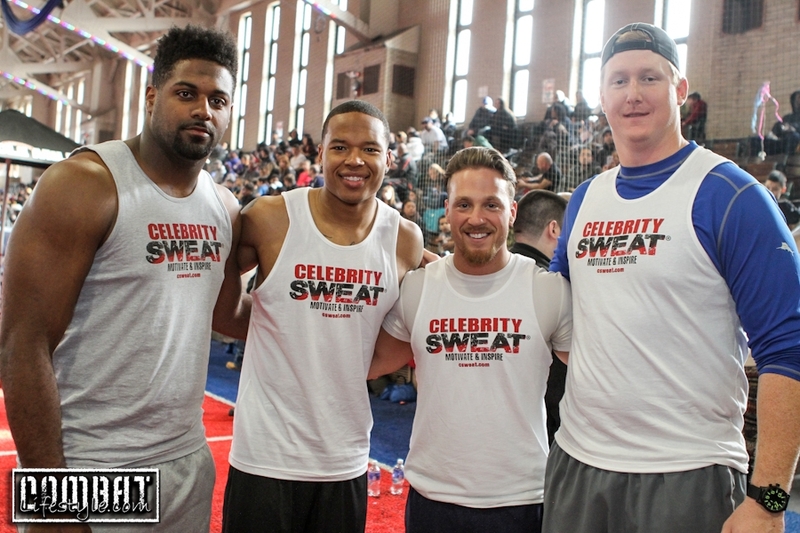 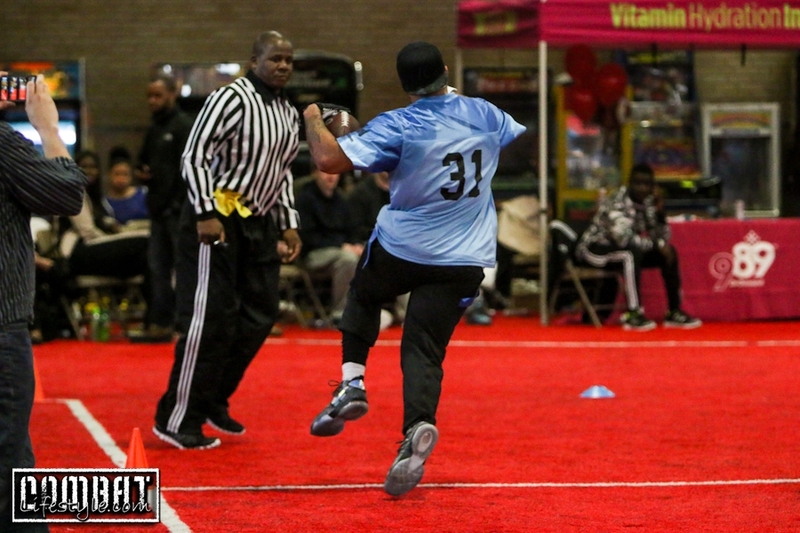 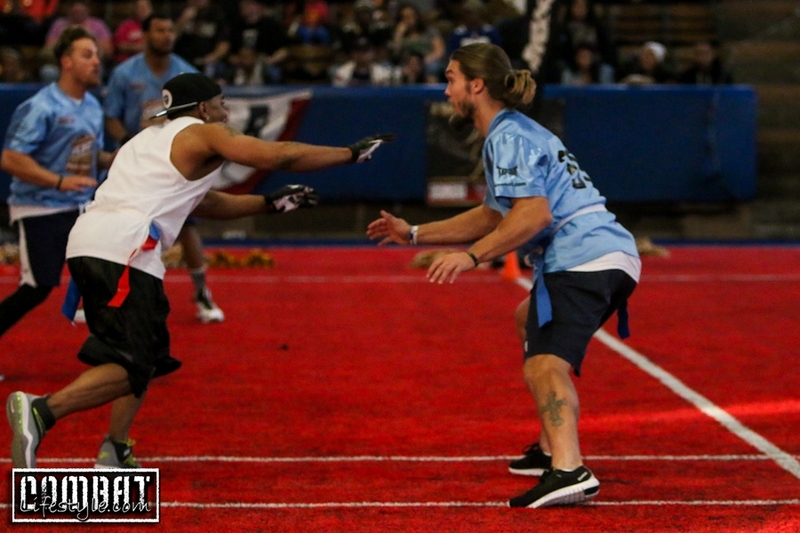 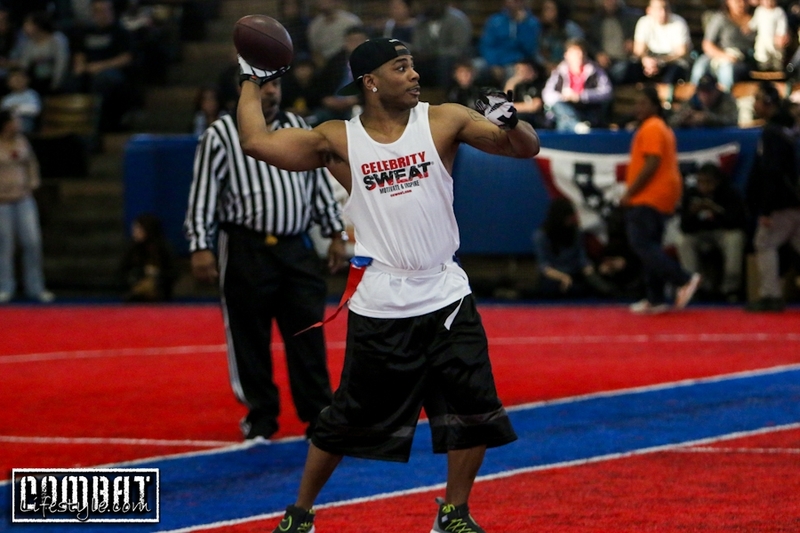 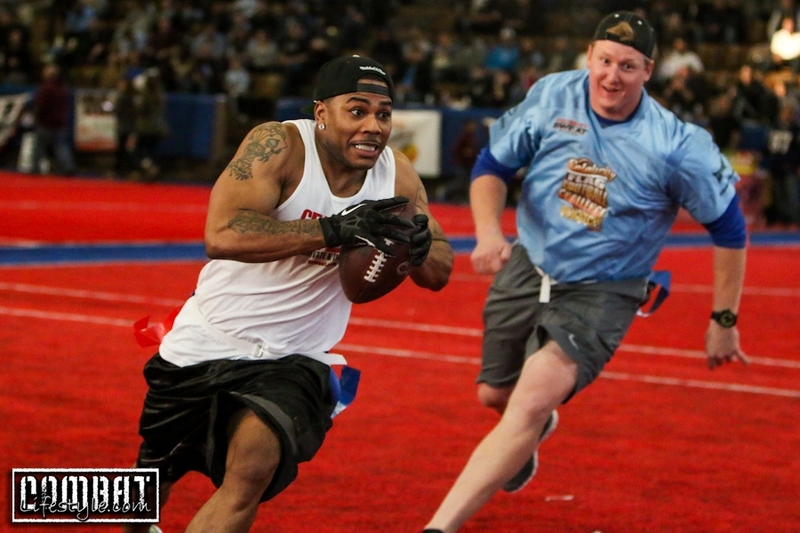 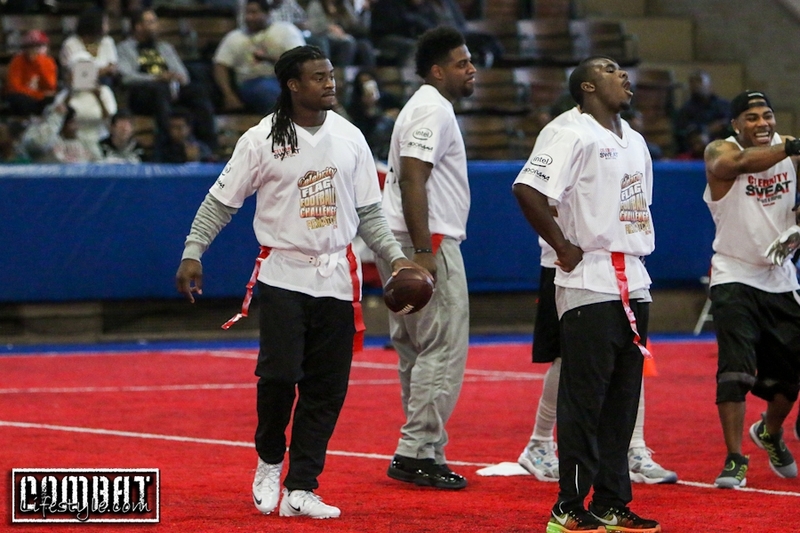 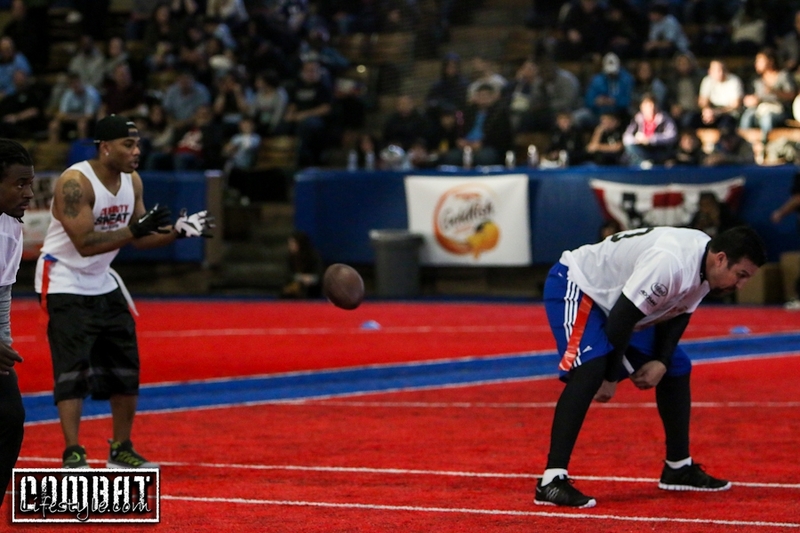 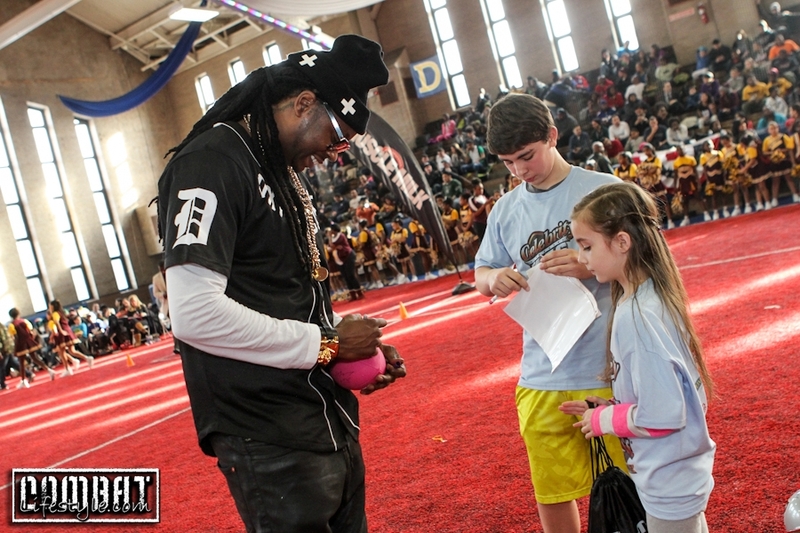 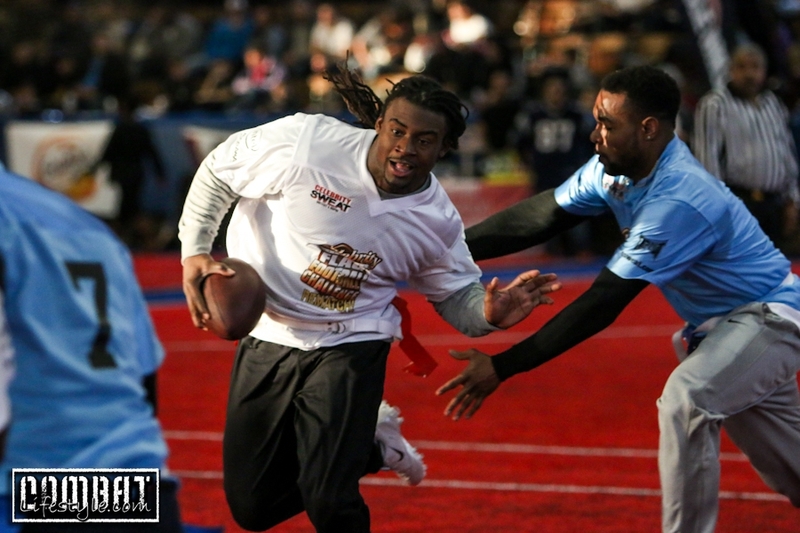 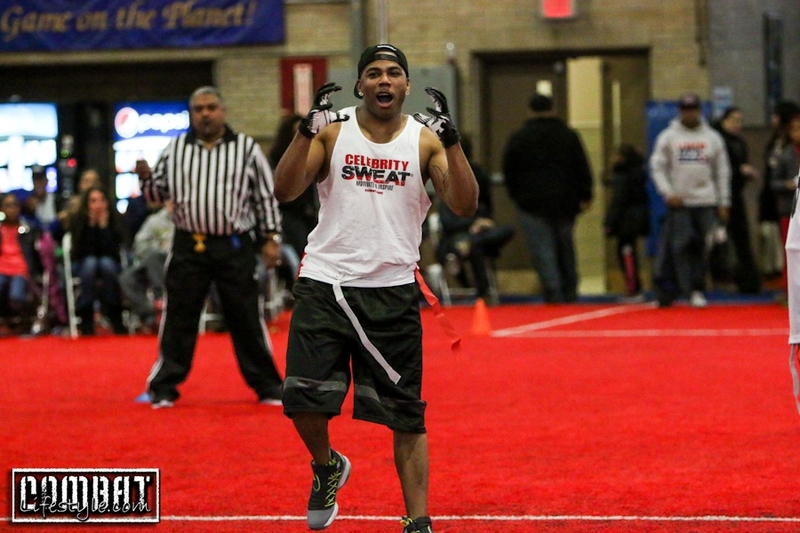 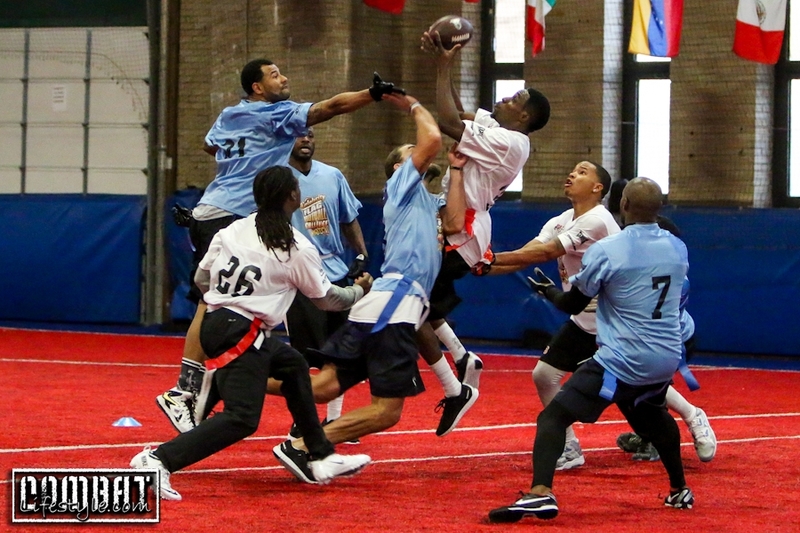 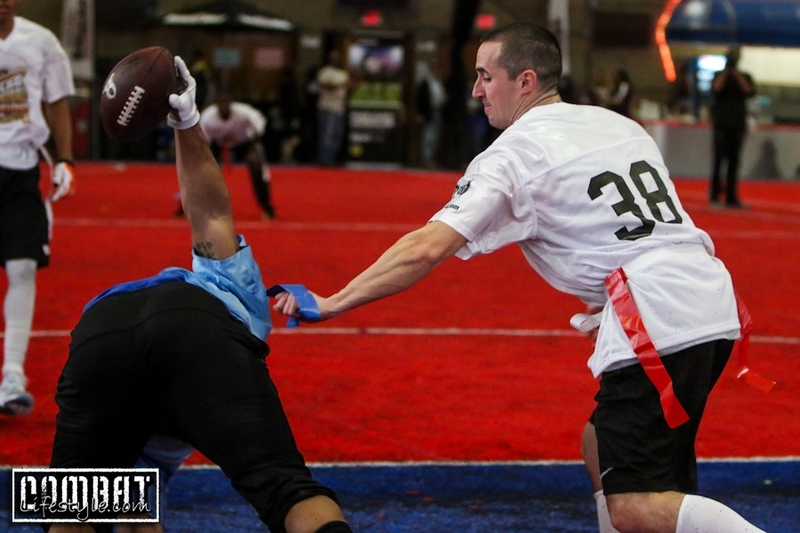 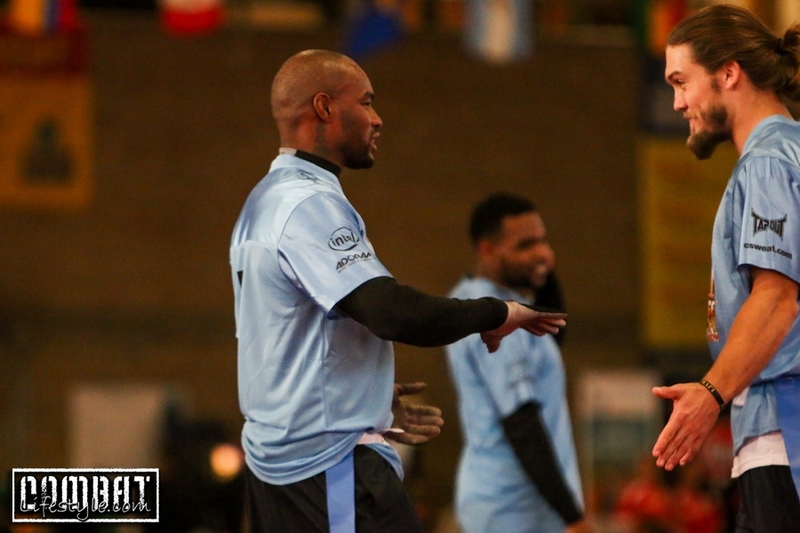 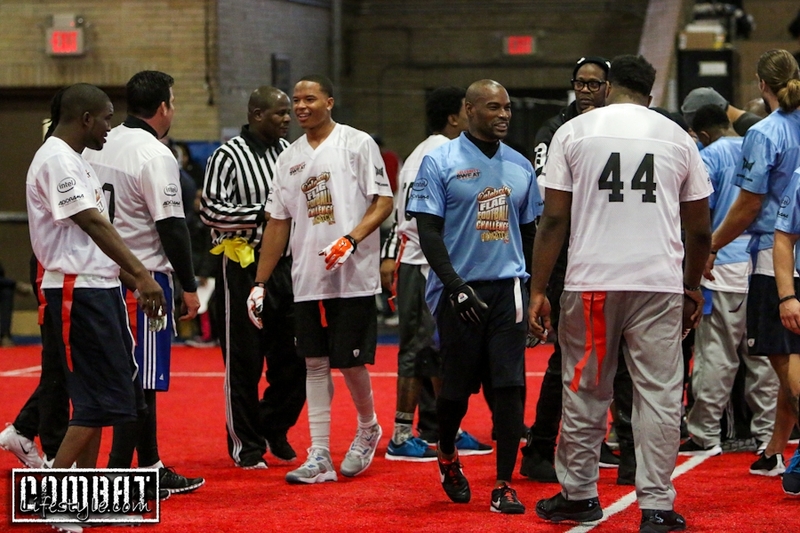 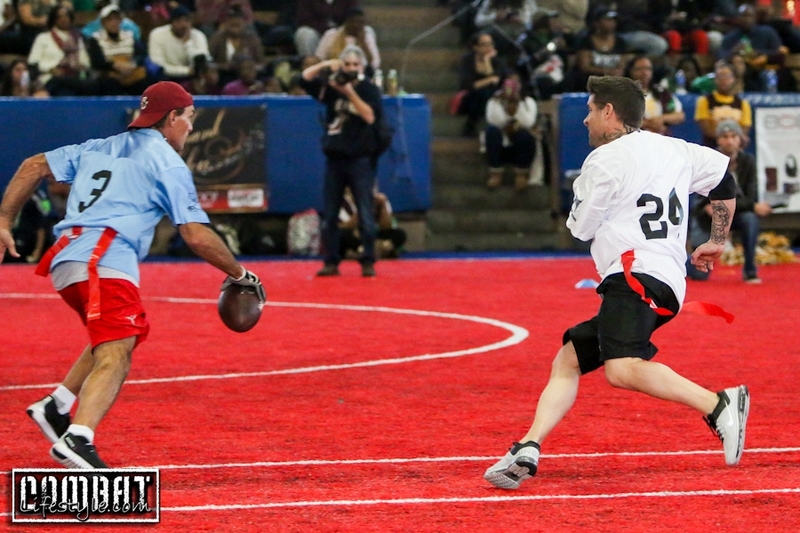 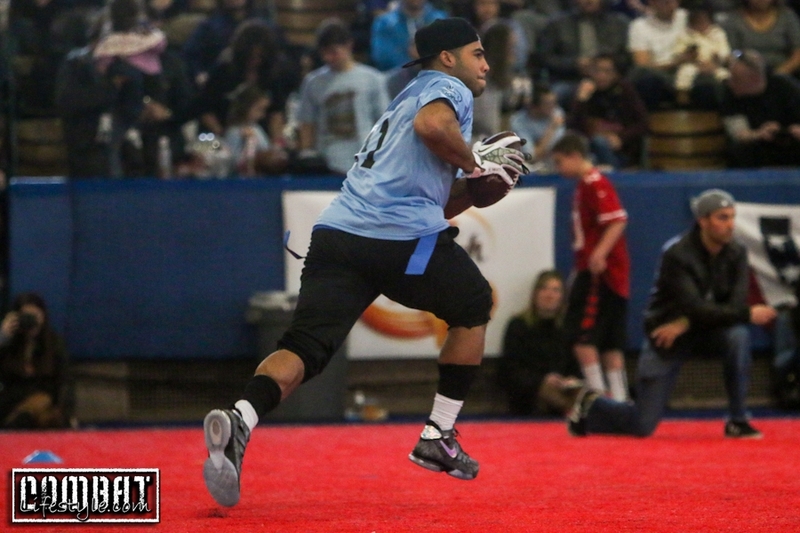 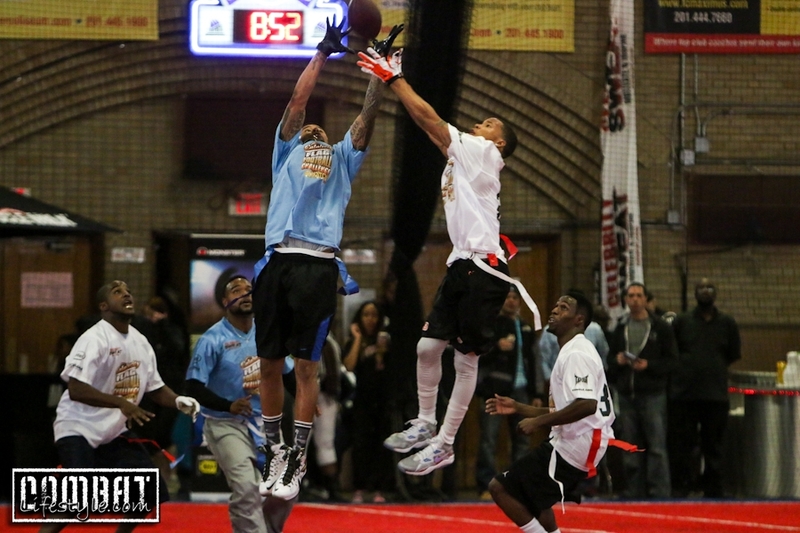 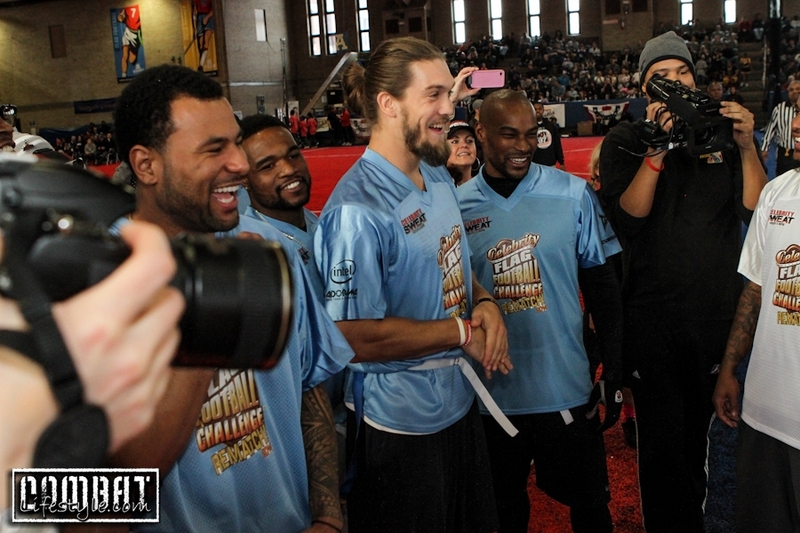 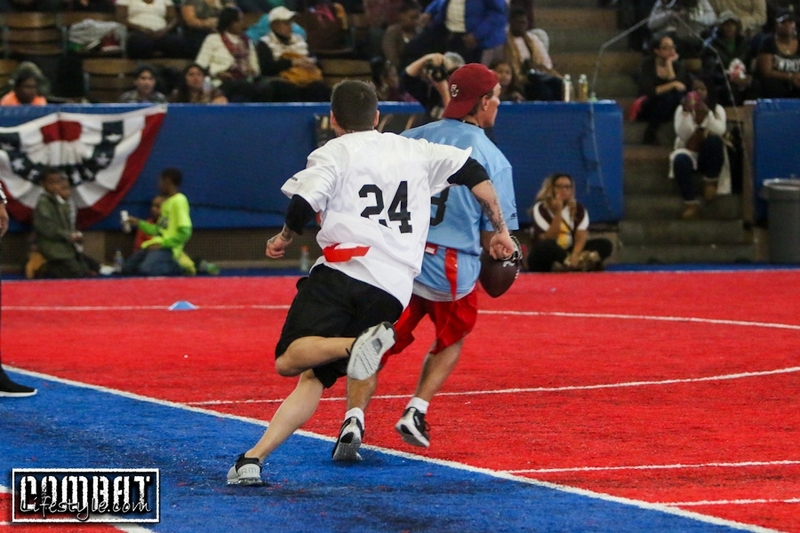 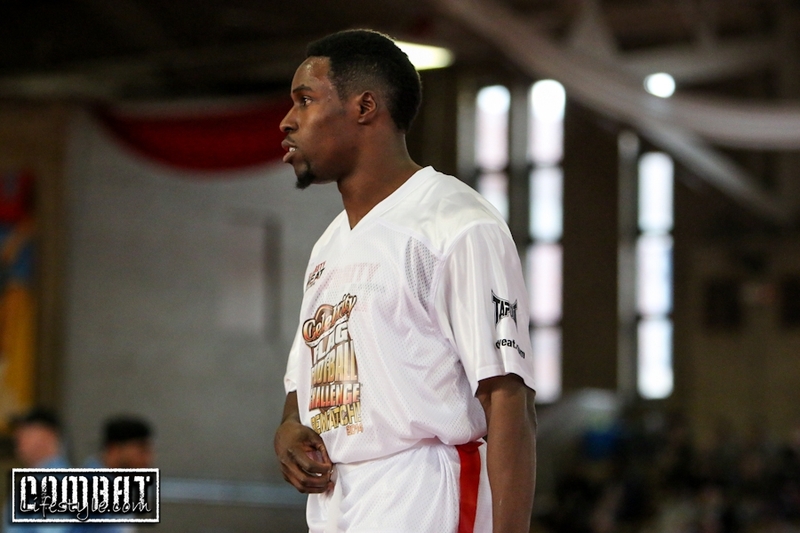 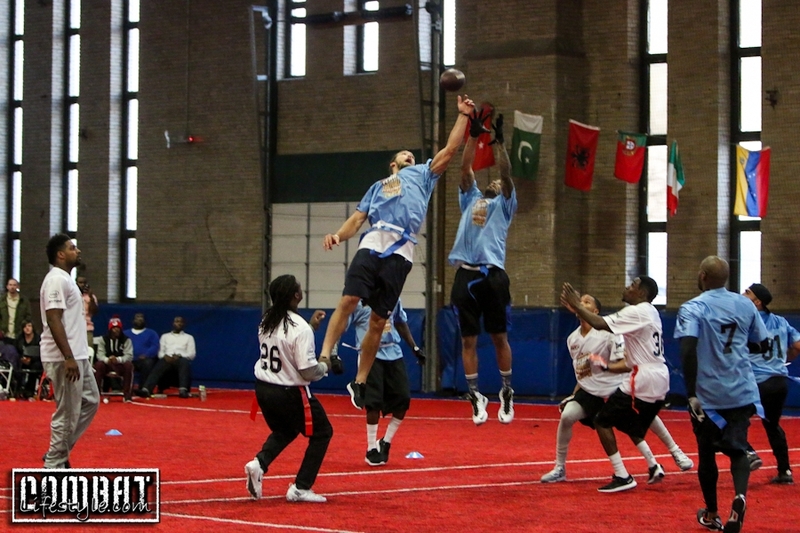 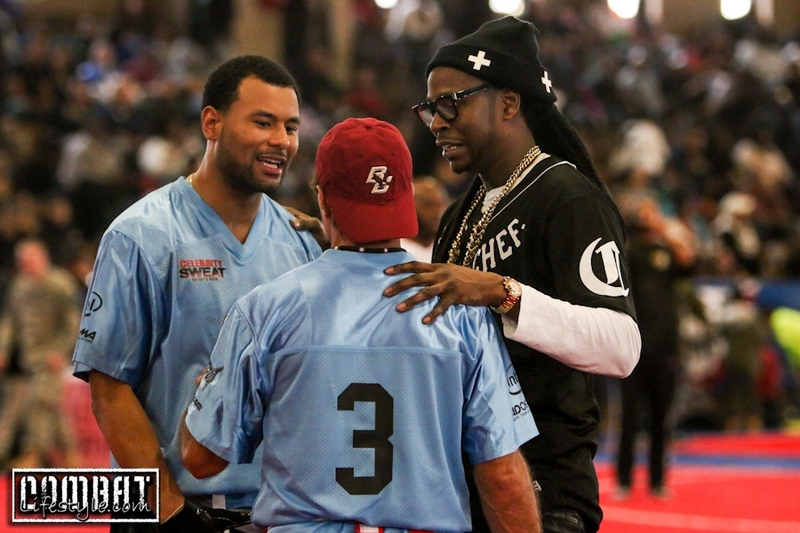 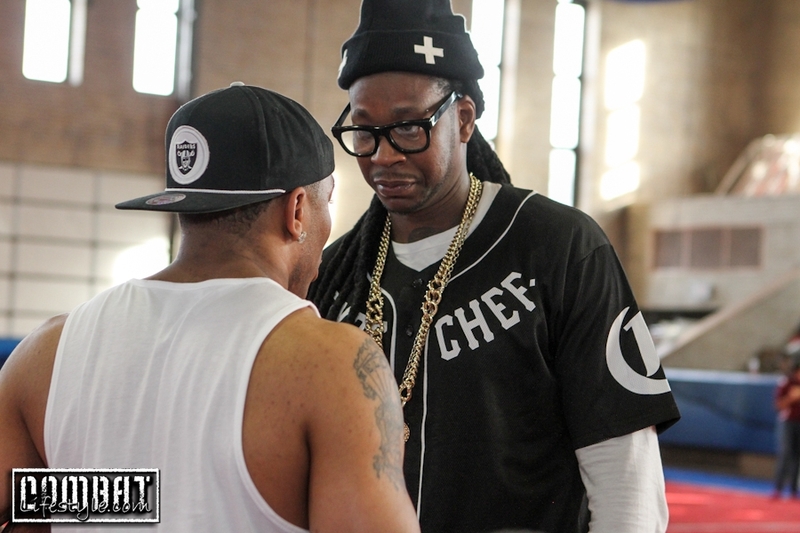 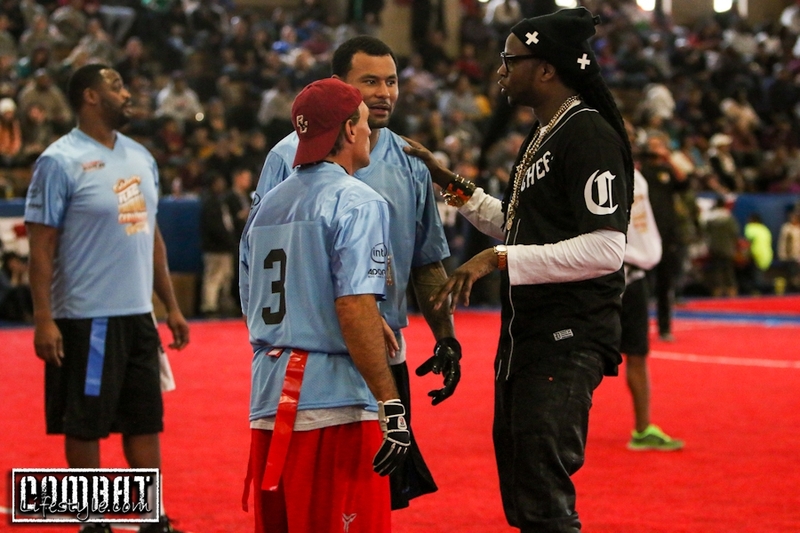 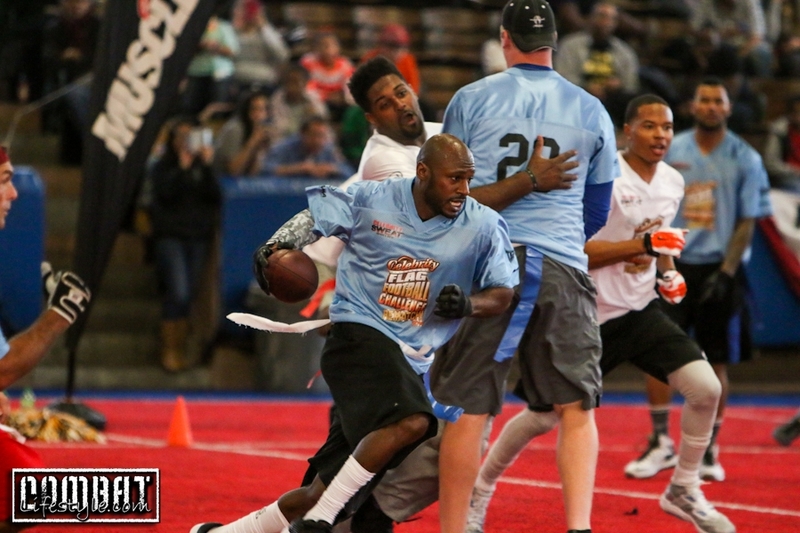 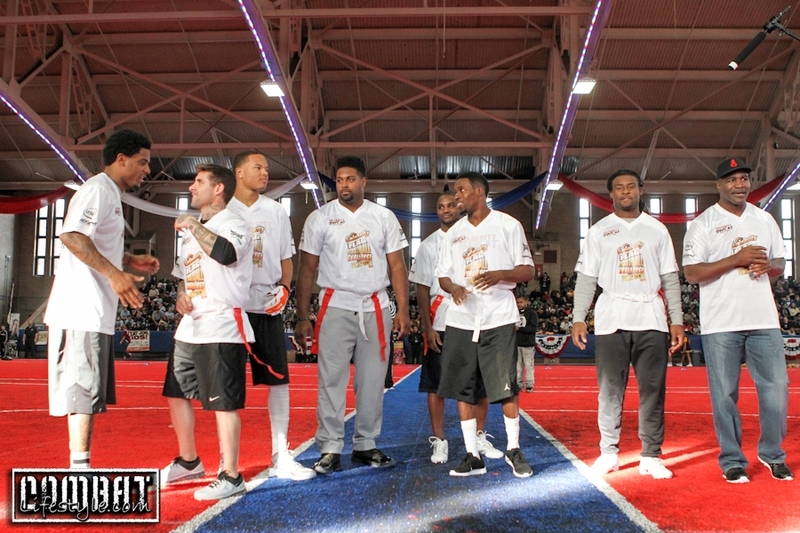 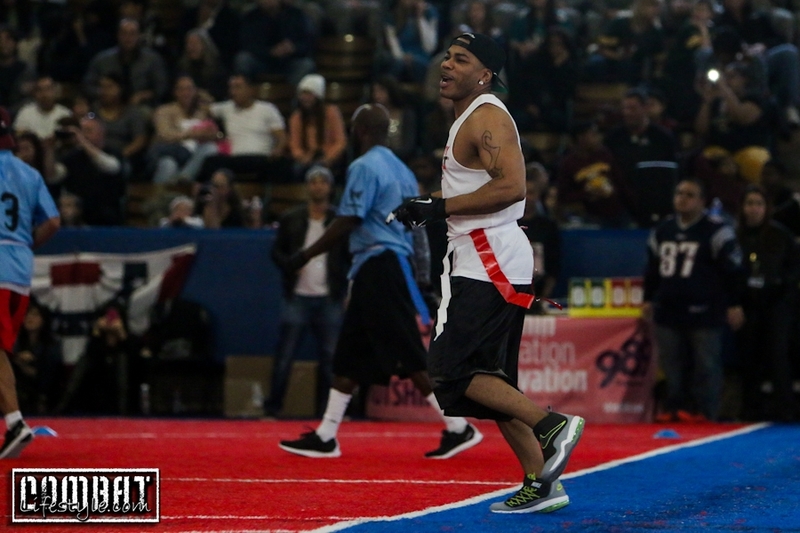 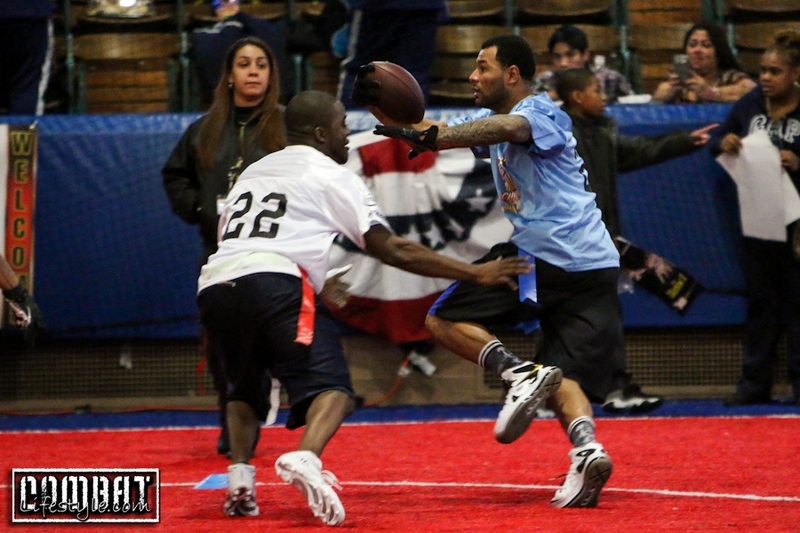 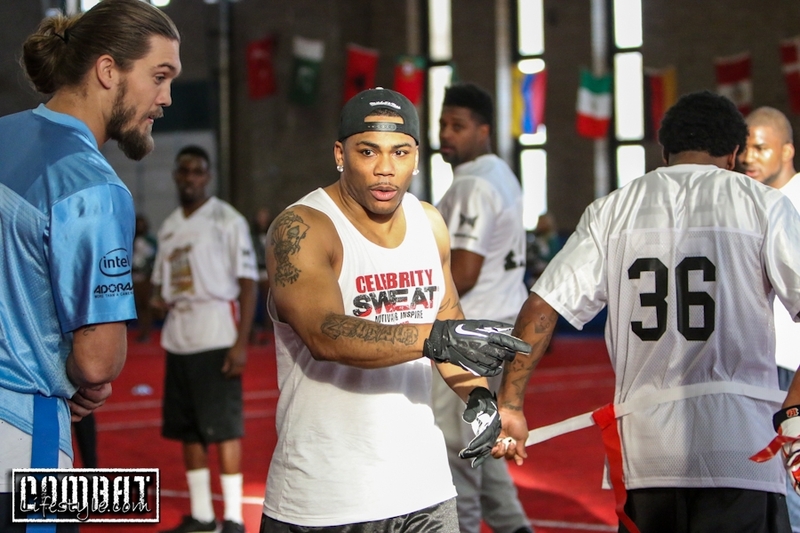 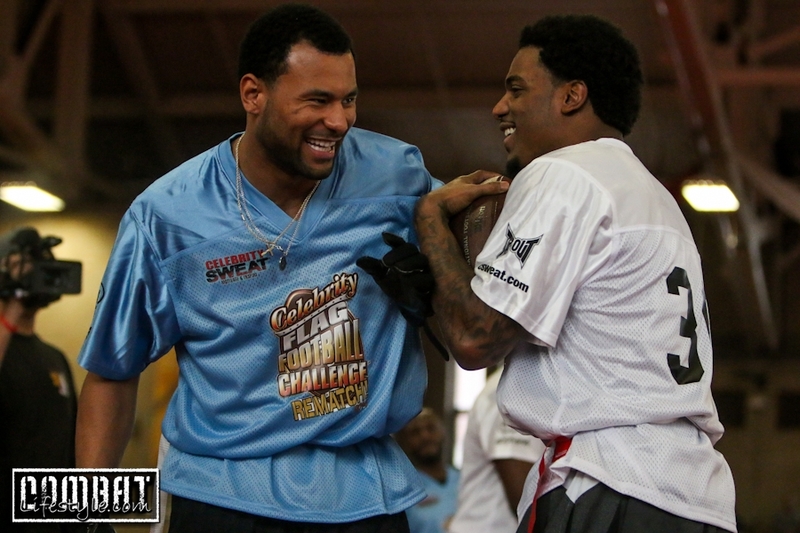 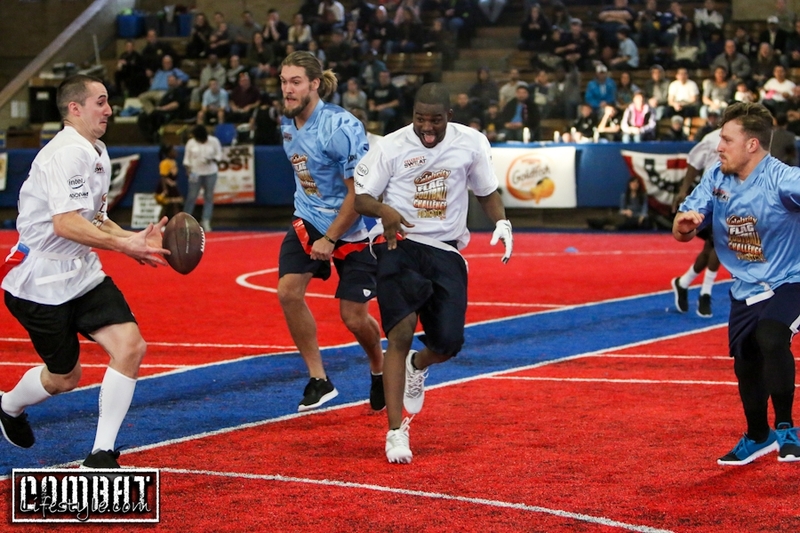 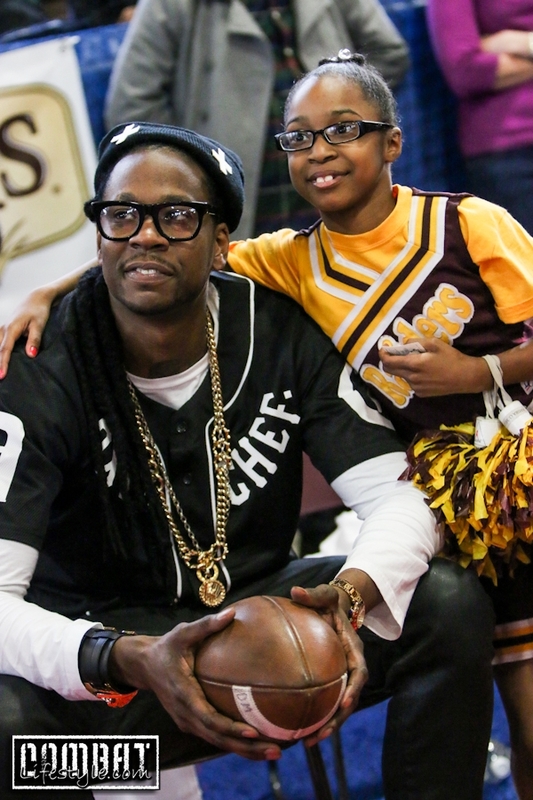 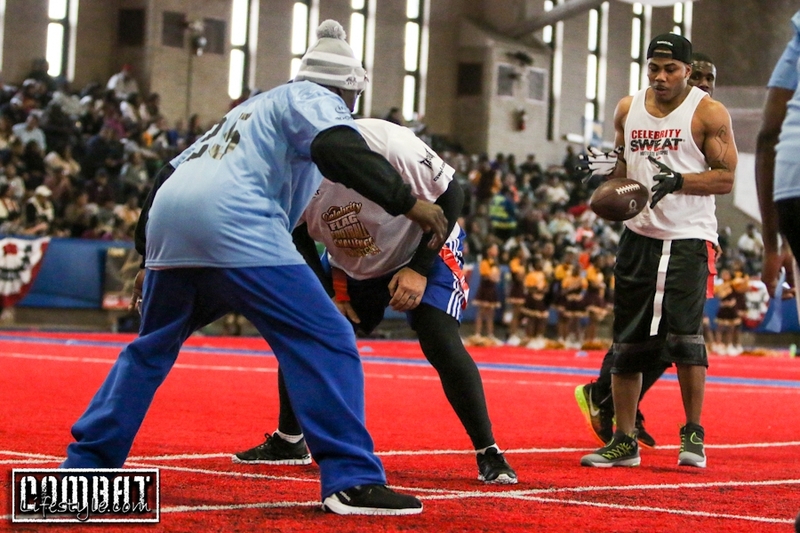 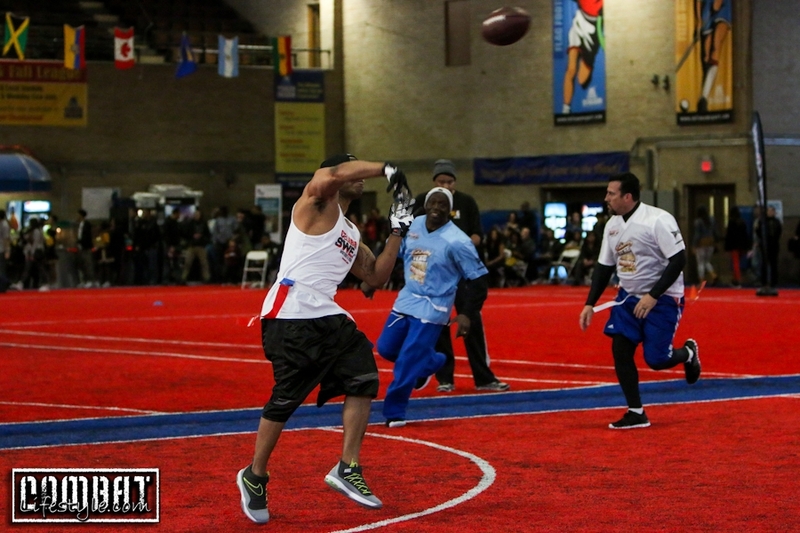 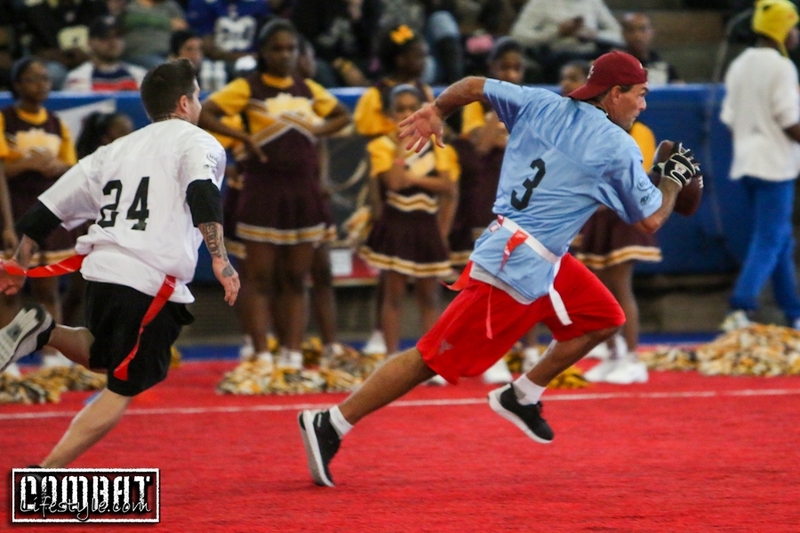 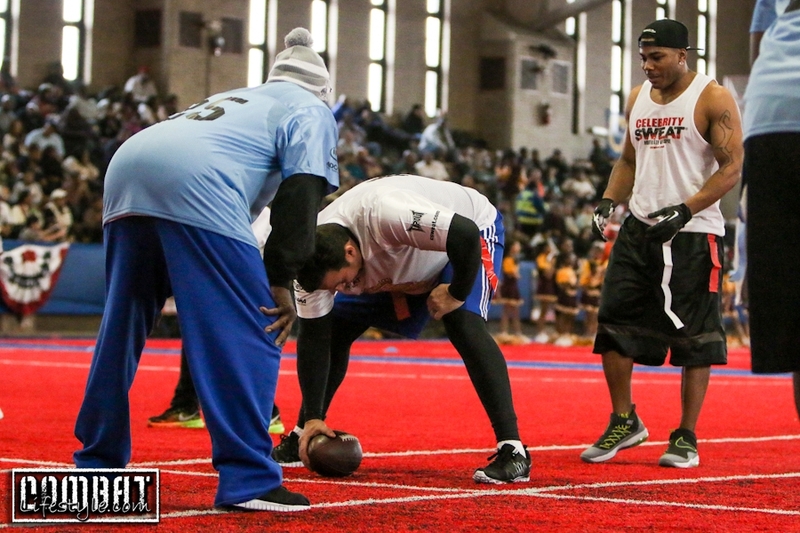 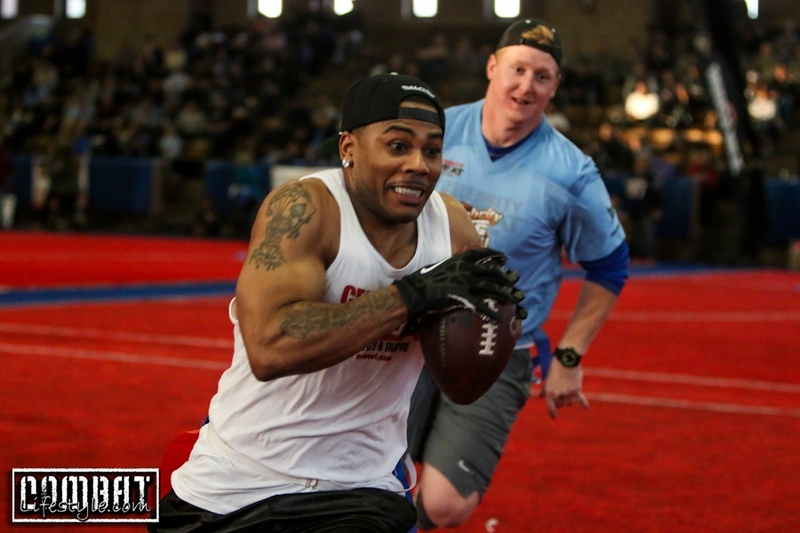 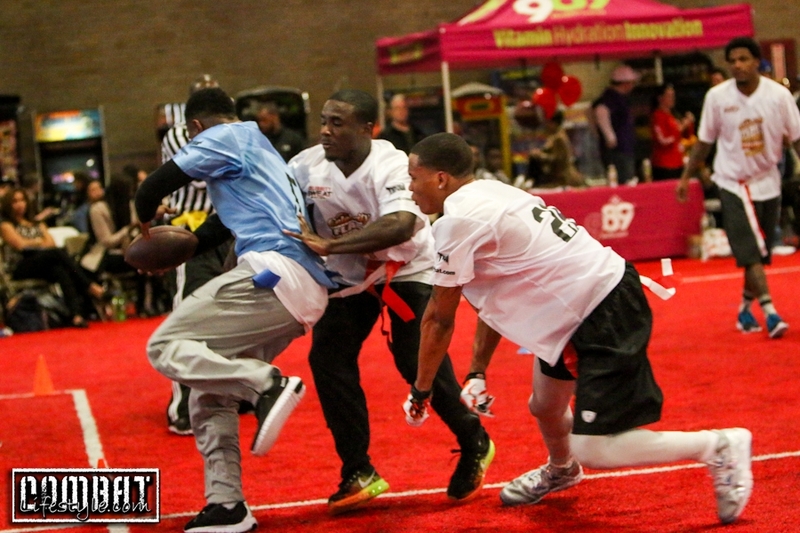 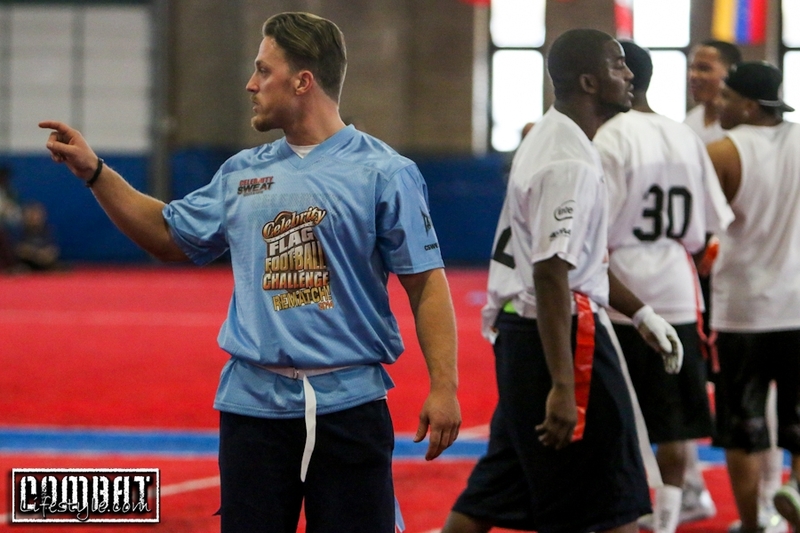 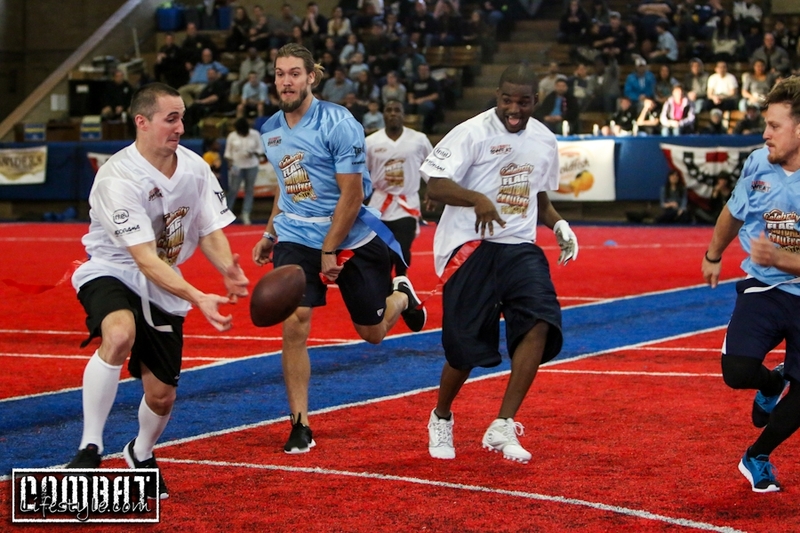 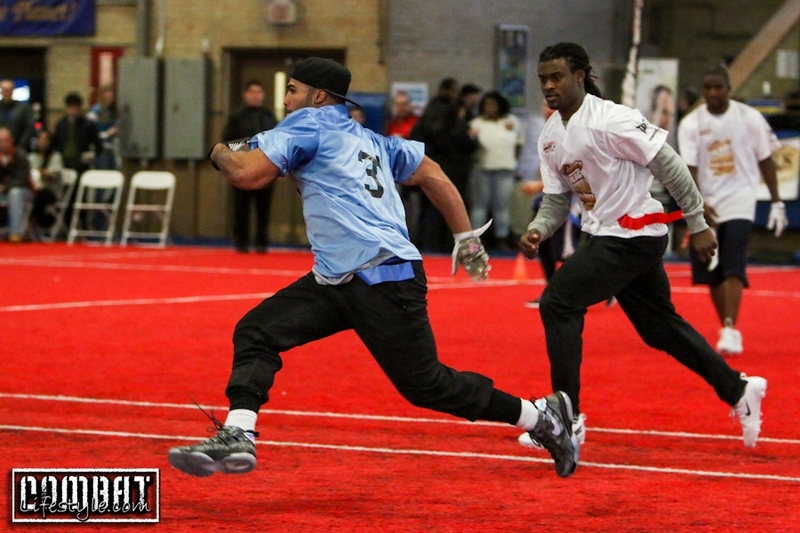 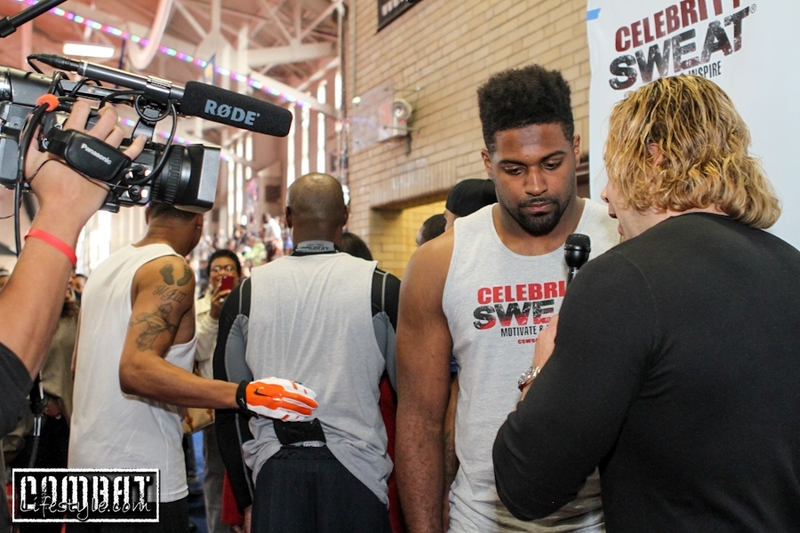 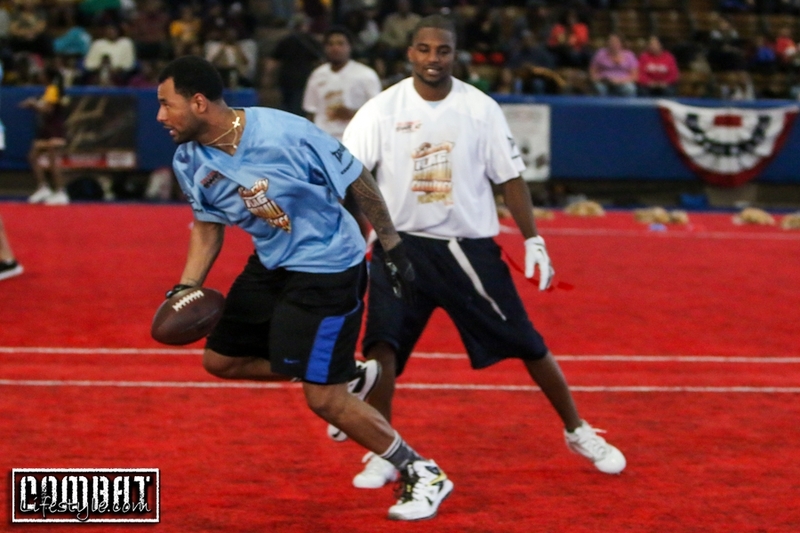 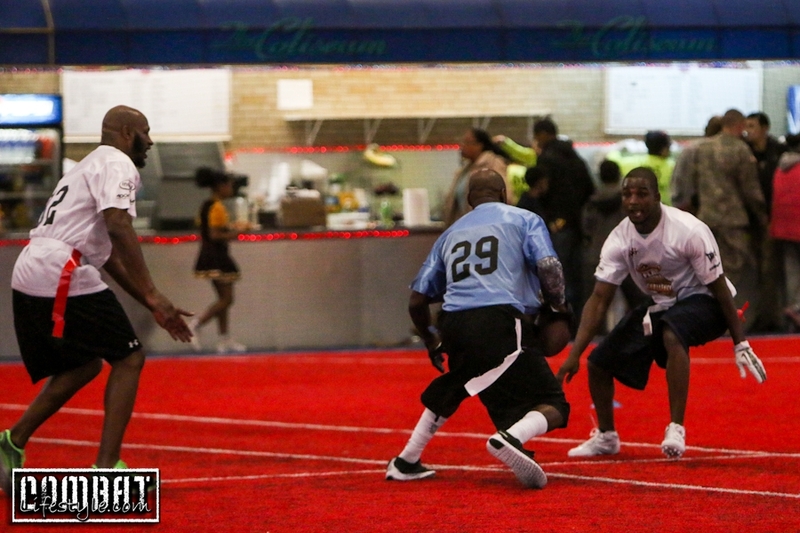 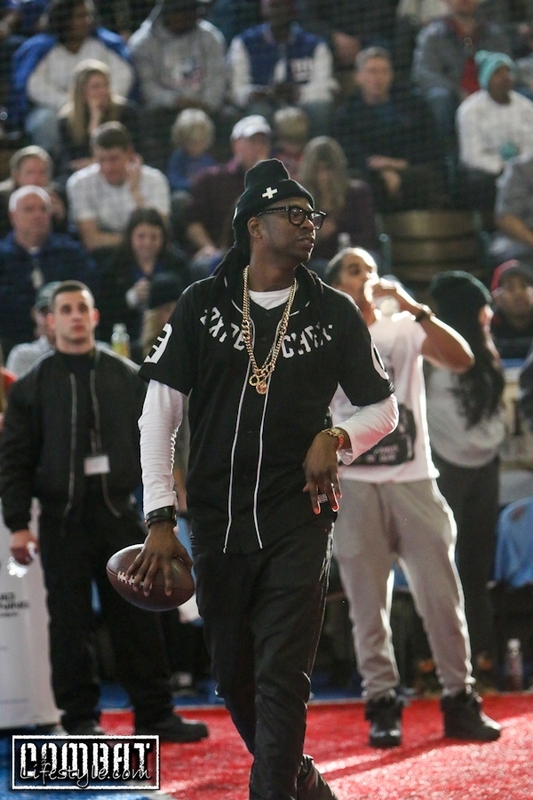 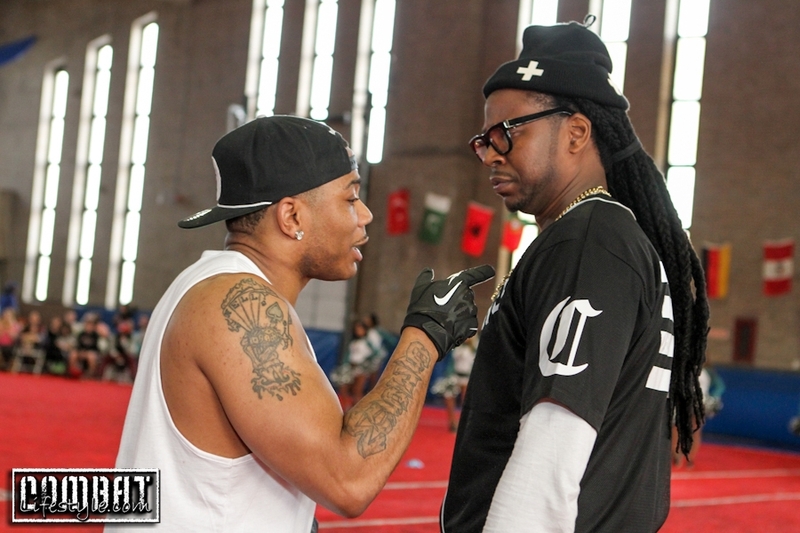 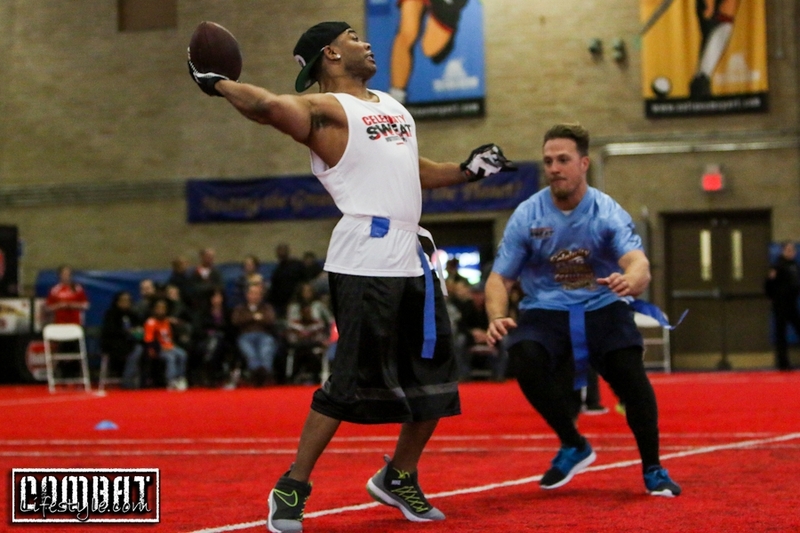 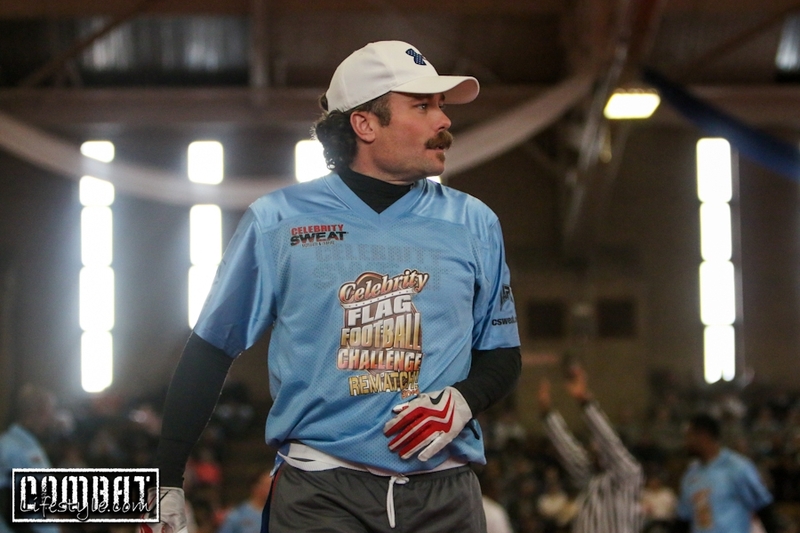 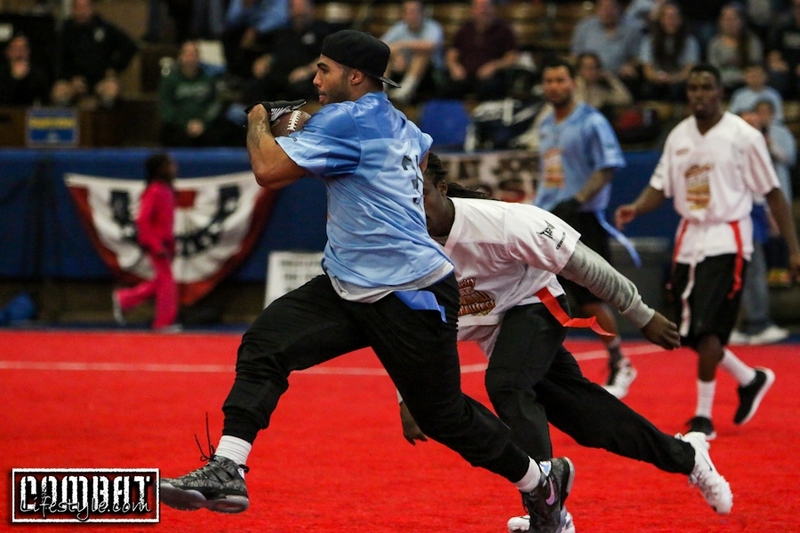 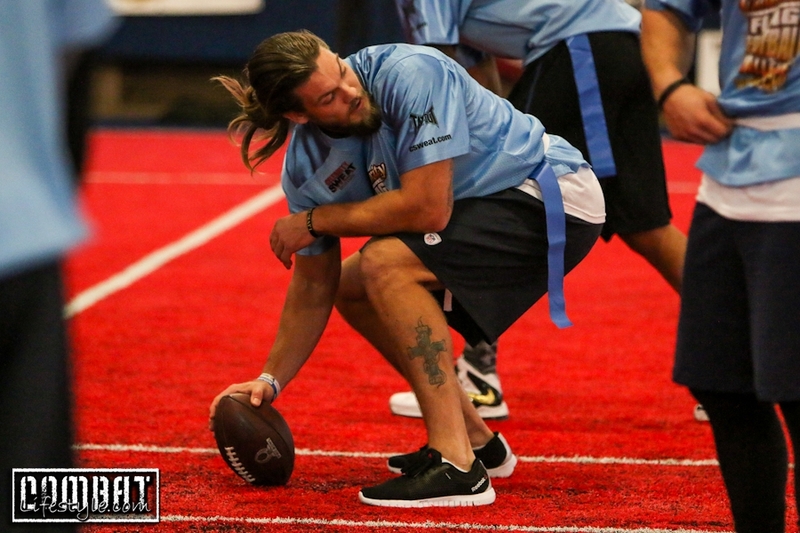 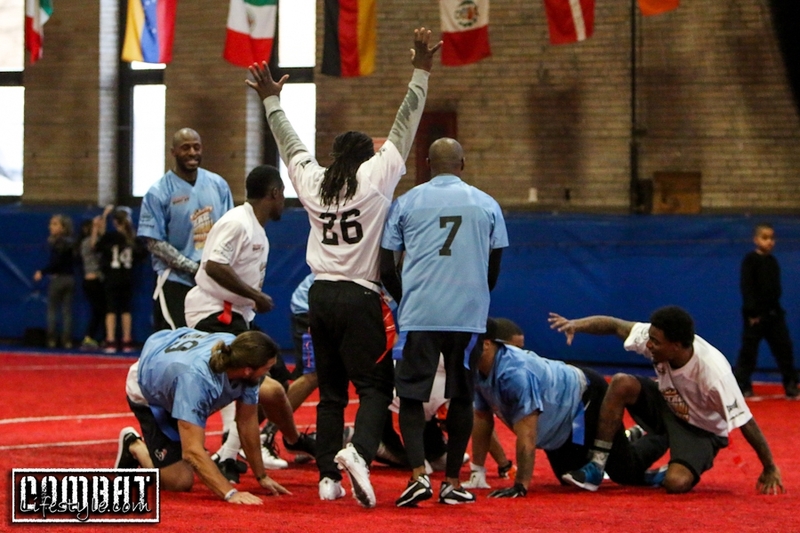 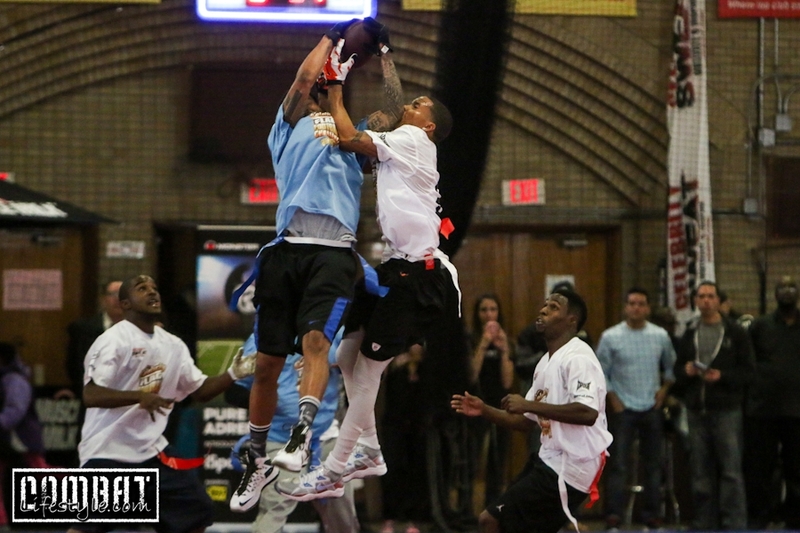 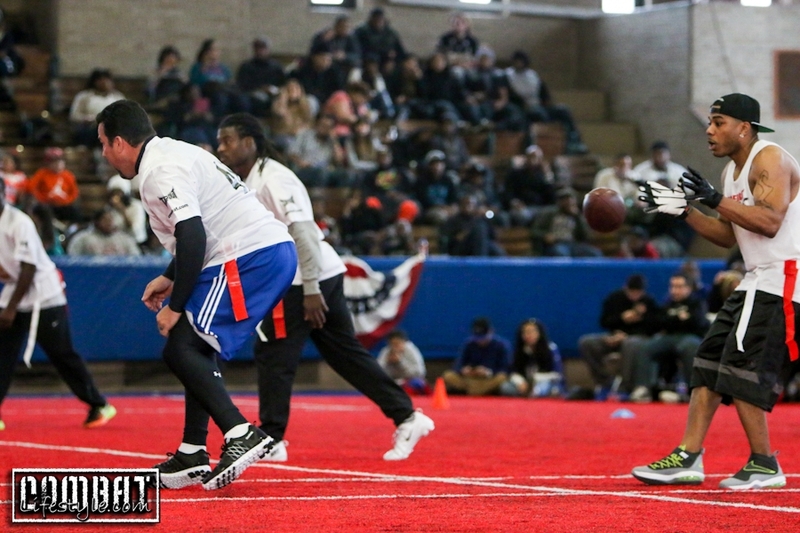 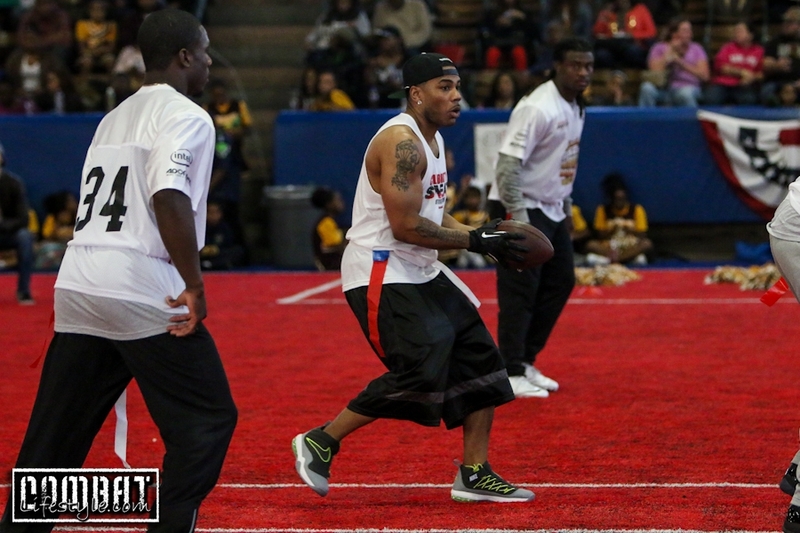 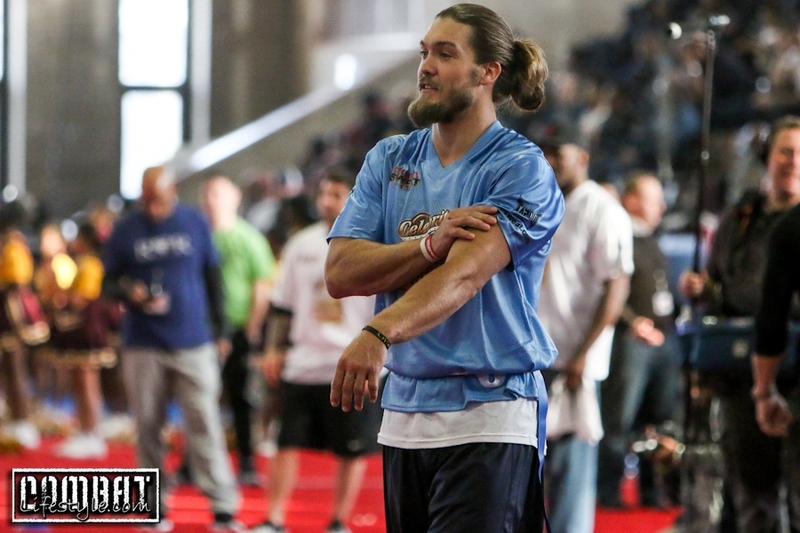 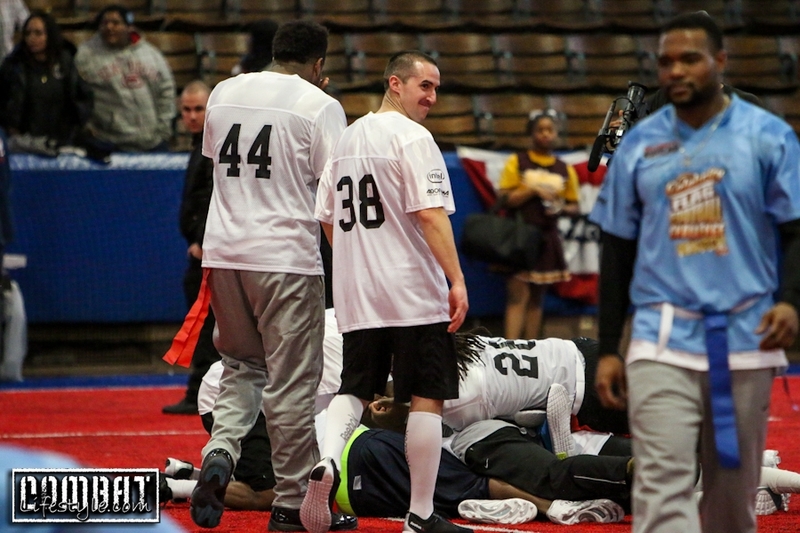 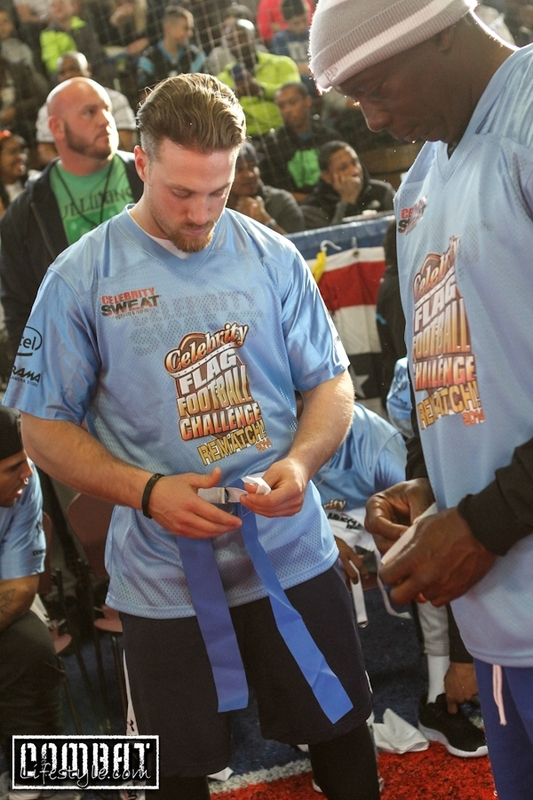 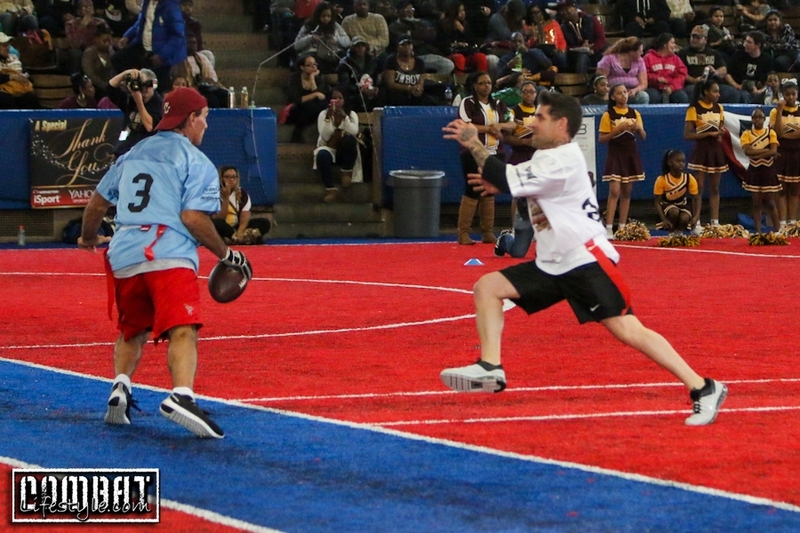 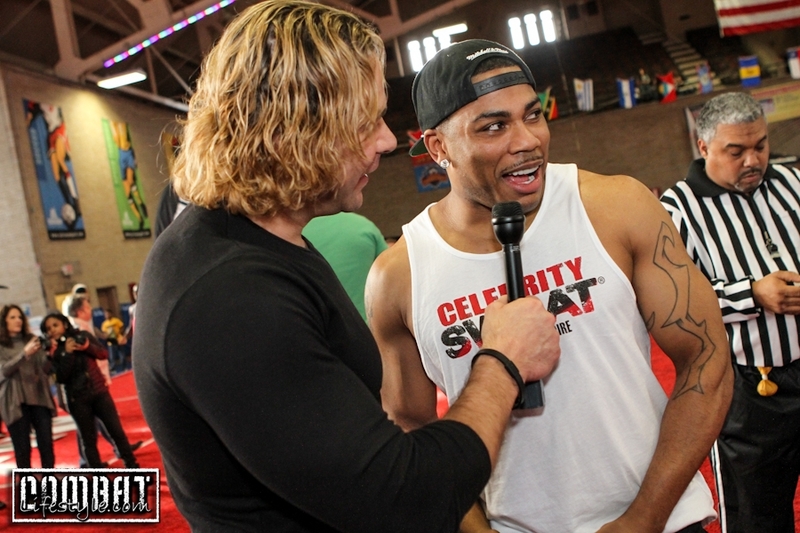 and Bryan Braman of 2 Chainz team nearly intercepted the ball, but it was instead caught by Evander/Nelly’s team to pull ahead in the score and win the entire game! 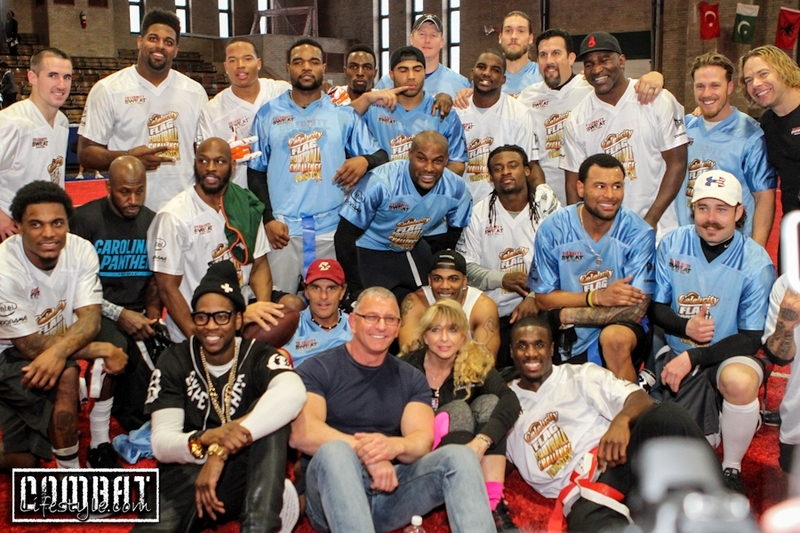 The full roster included: 2 chainz, The Bella Twins, Brianna and Nicole, Big John Mccarthy, Billy Blanks, Bryan Braman, Dan Punkass Caldwell, Doug Flutie, Evander Holyfield, Nelly, Tyson beckford, Louis Murphy Jr, DeAngelo Hall, Ahmad Bradshaw, Chimdi Chekwa, Leger Douzable, Johnathan Cyprien, Drayton Florence, Stephen Tulloch, Sam Young, Kenny Stills, Cam Jordan, Mychal Kendricks, Marvin Jones, Eddie Pleasant, Brandon Mychal Smith, Alec Penix, Robert Irvine and more!